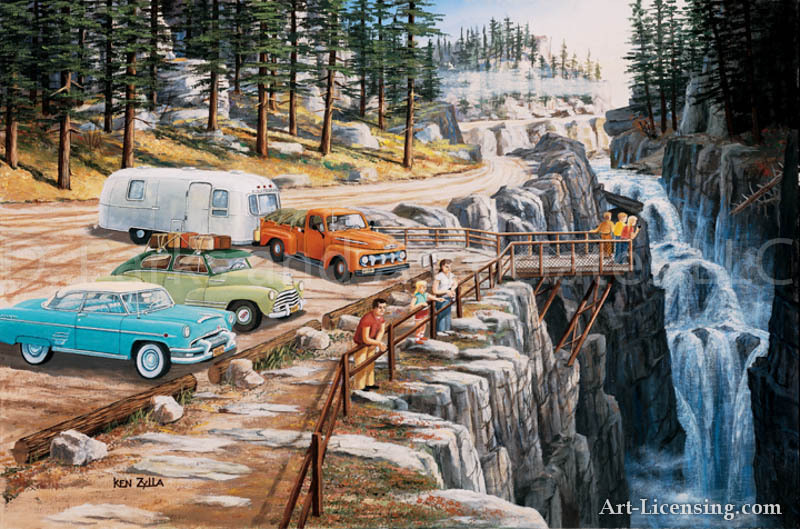 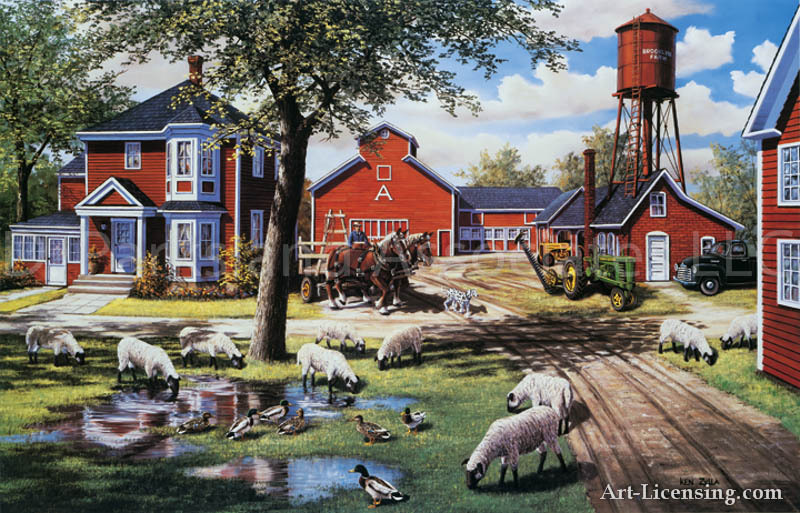 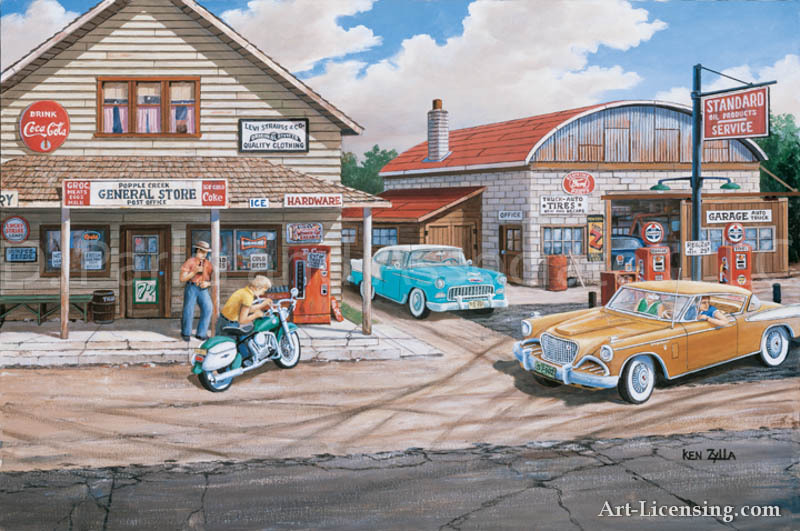 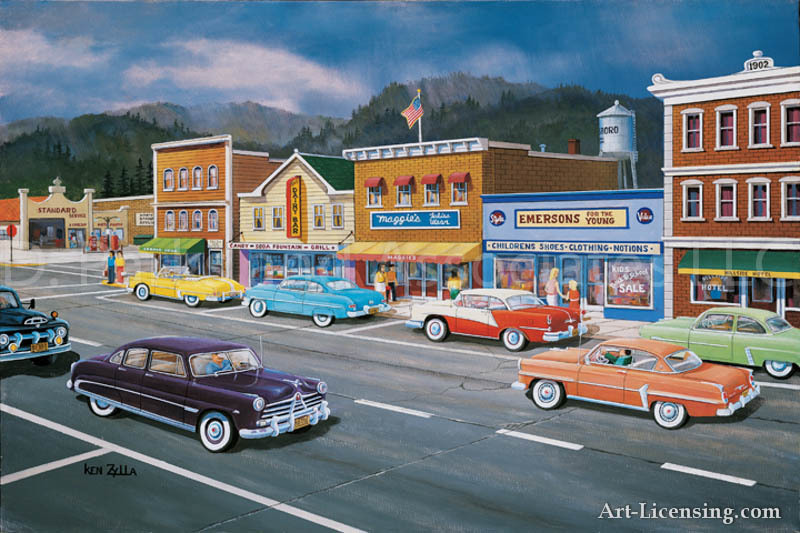 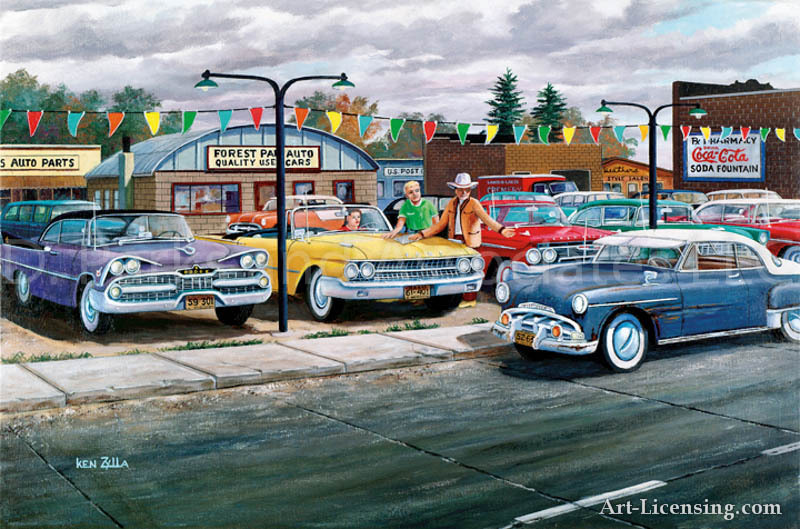 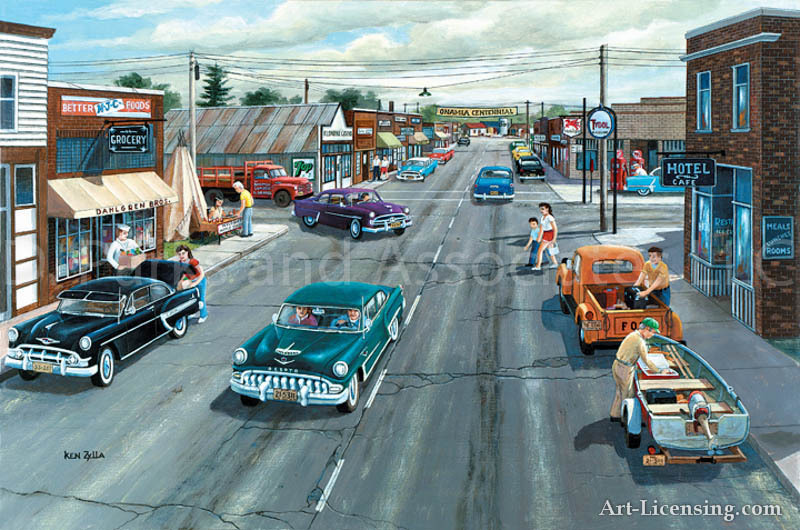 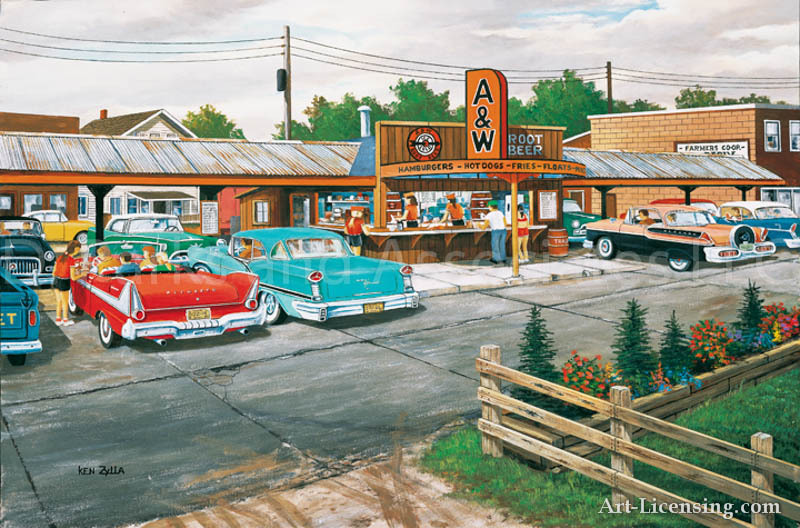 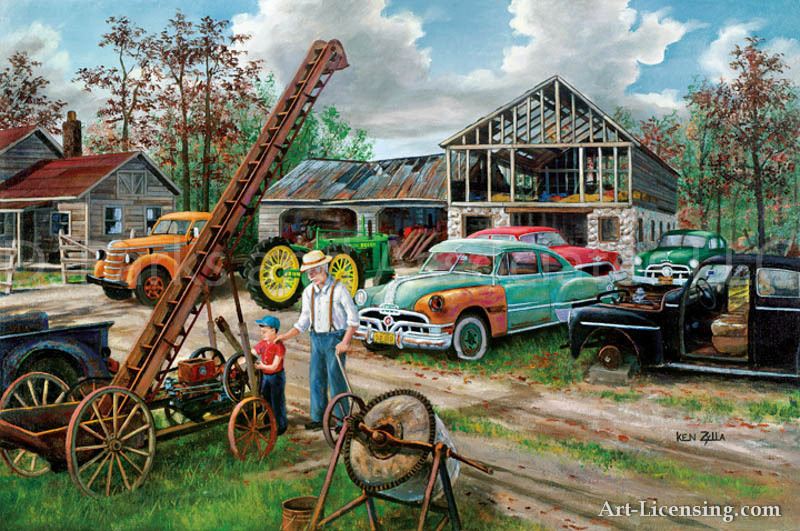 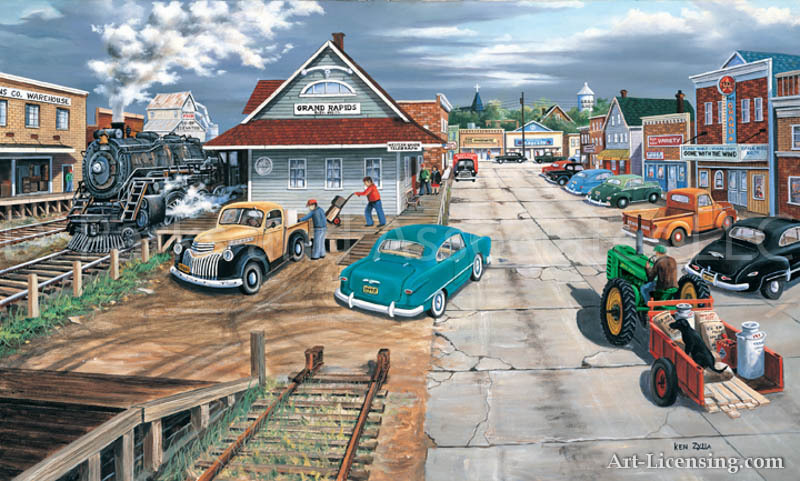 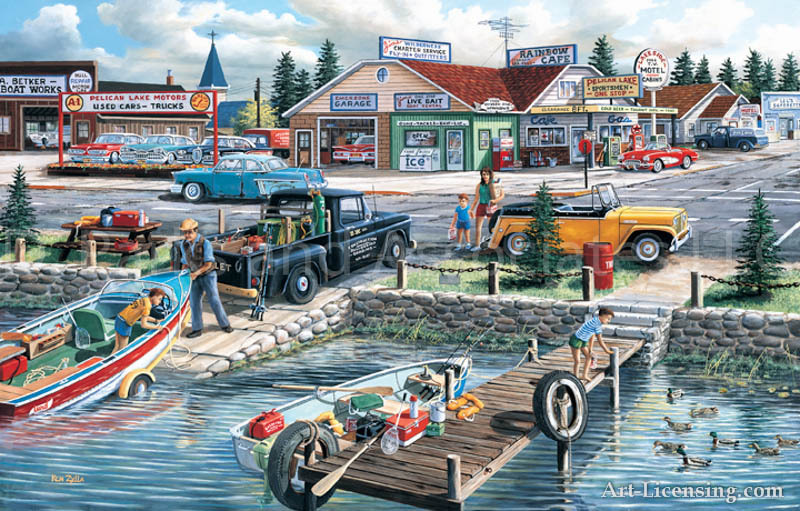 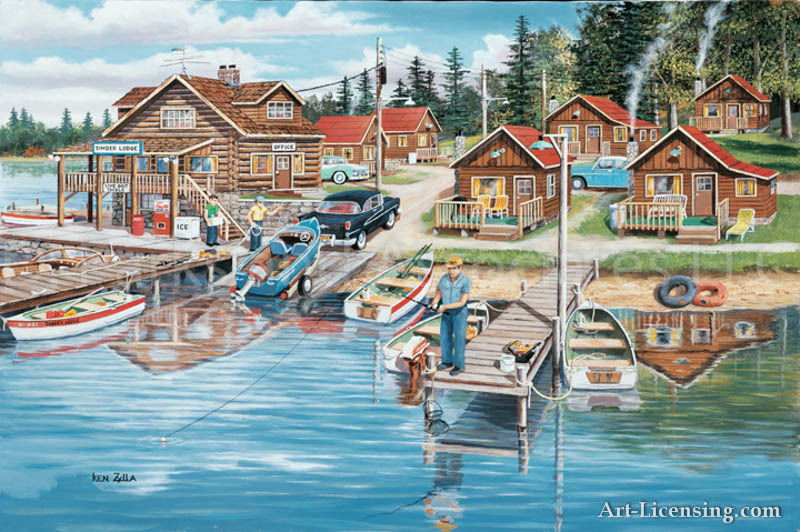 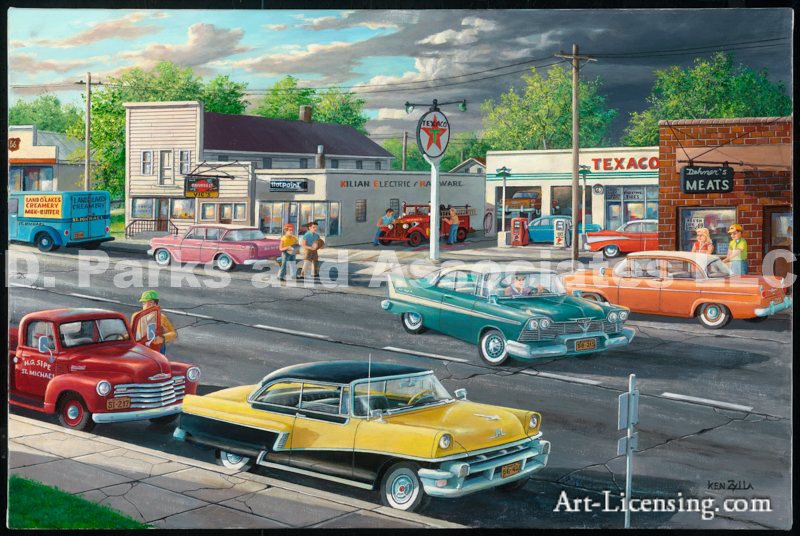 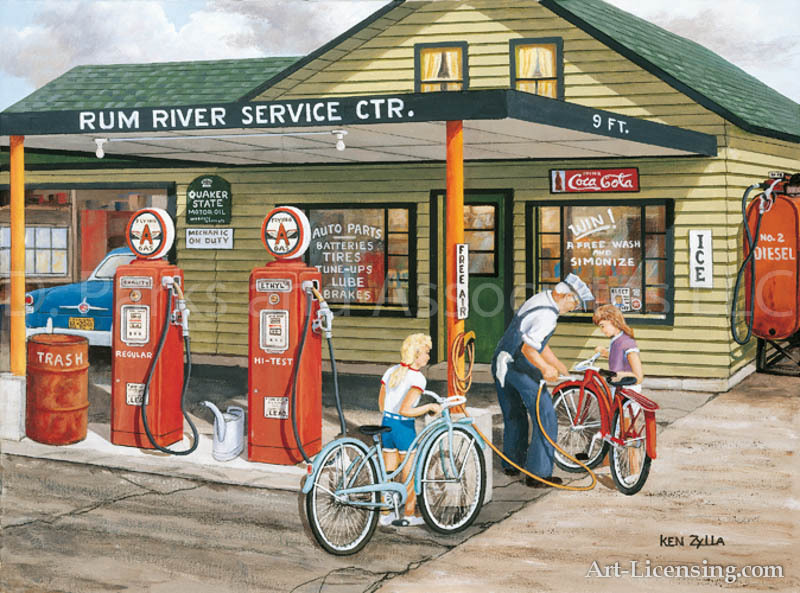 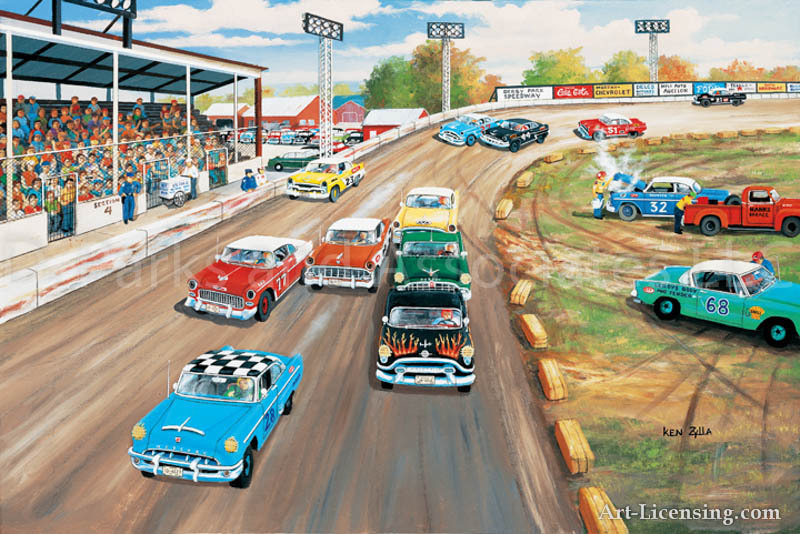 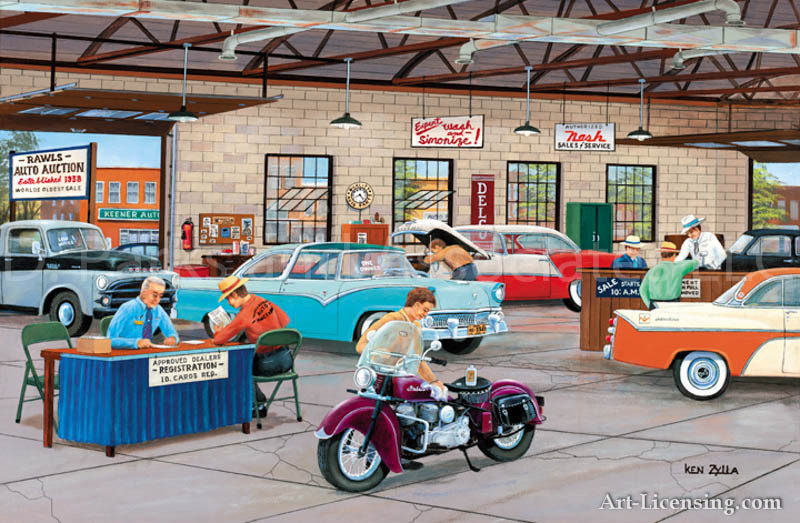 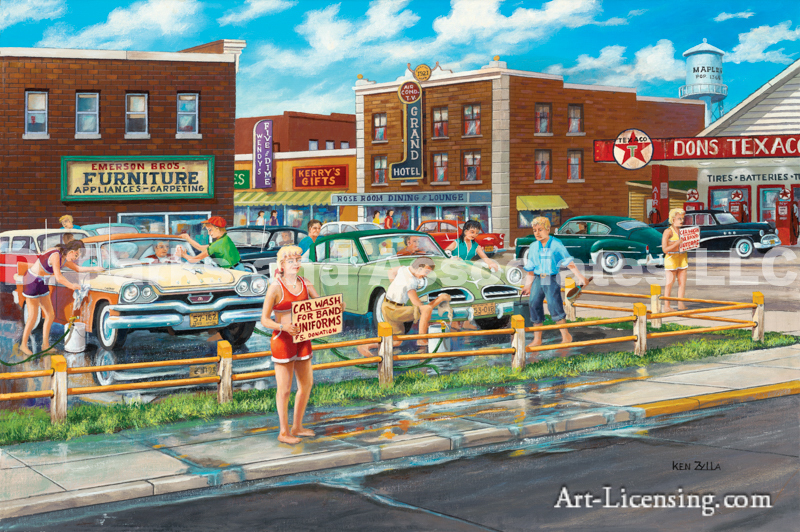 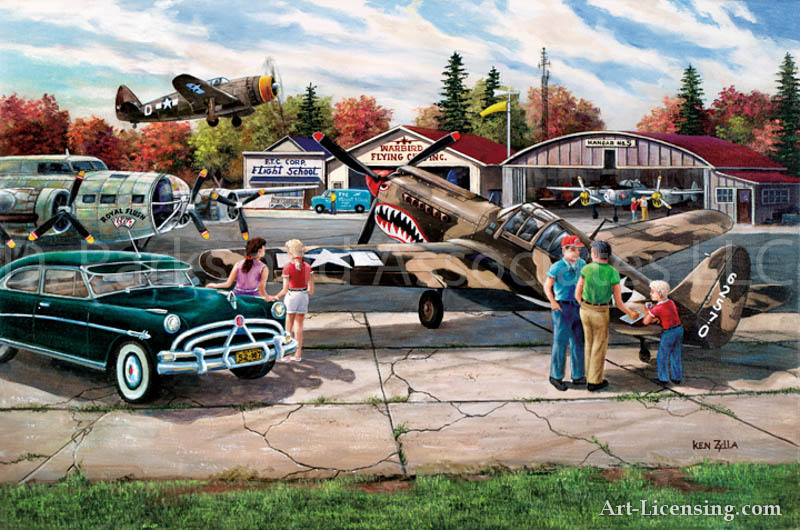 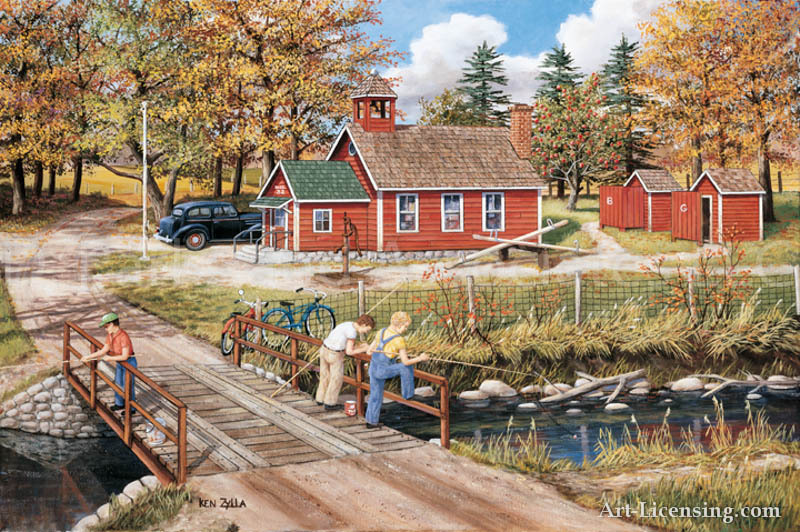 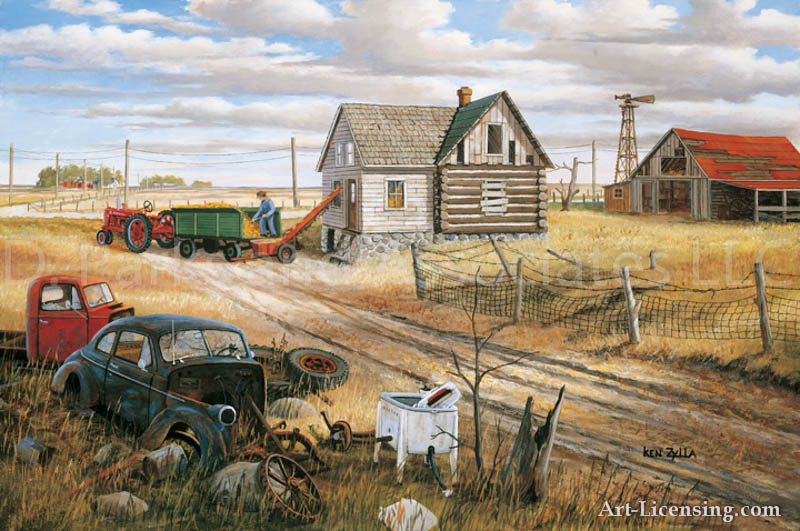 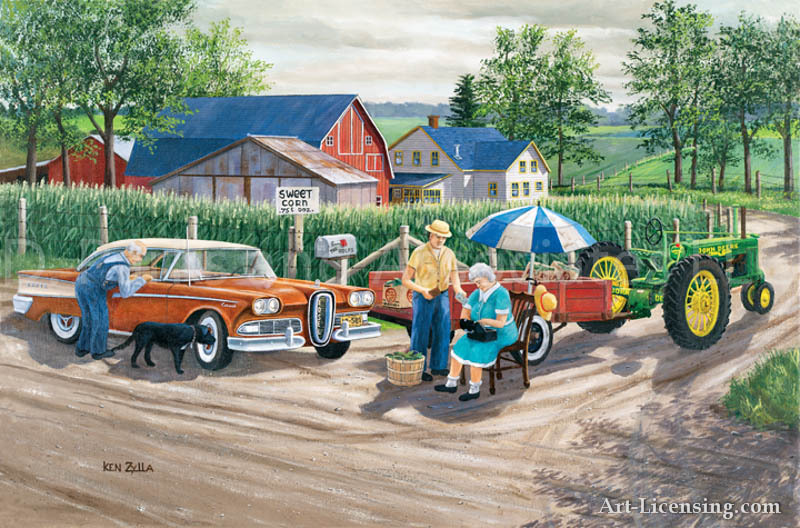 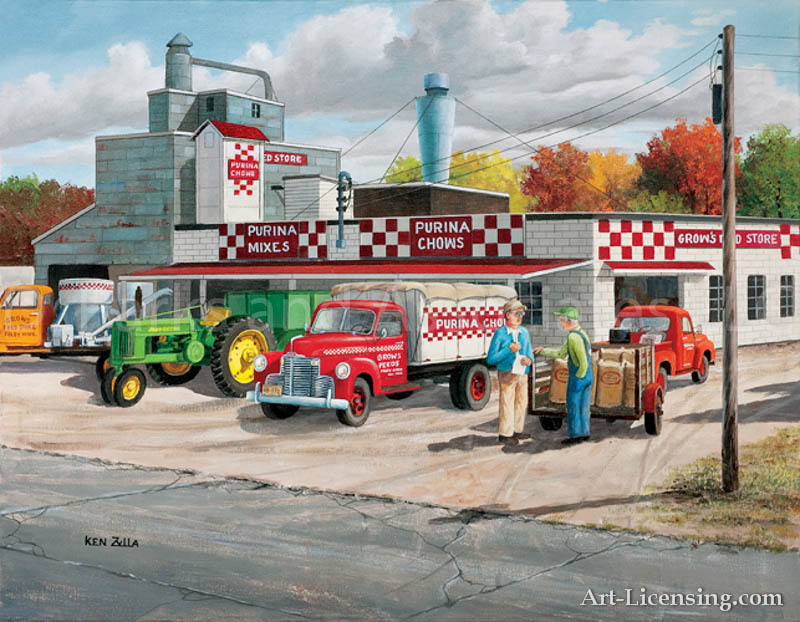 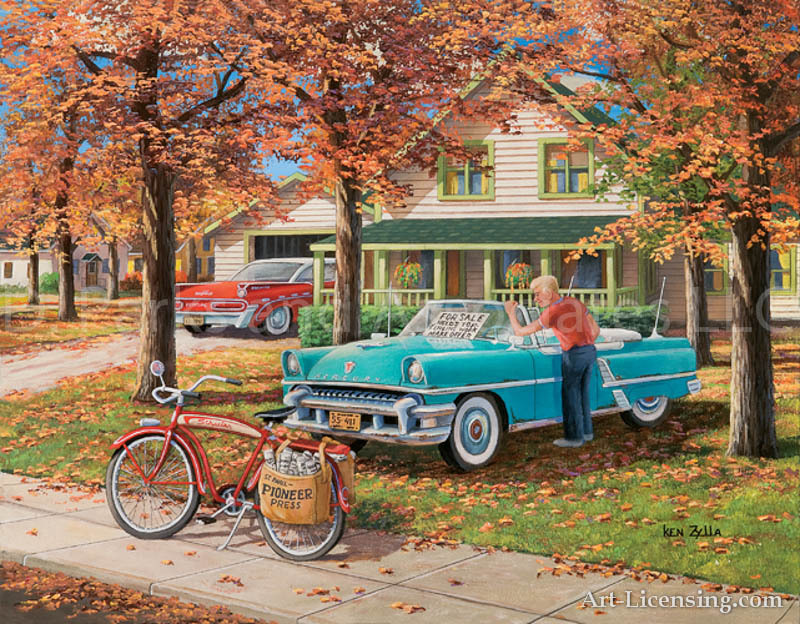 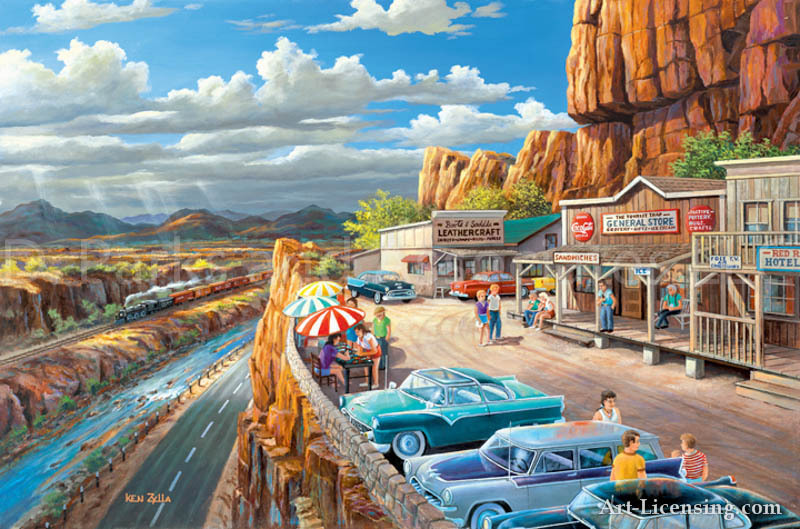 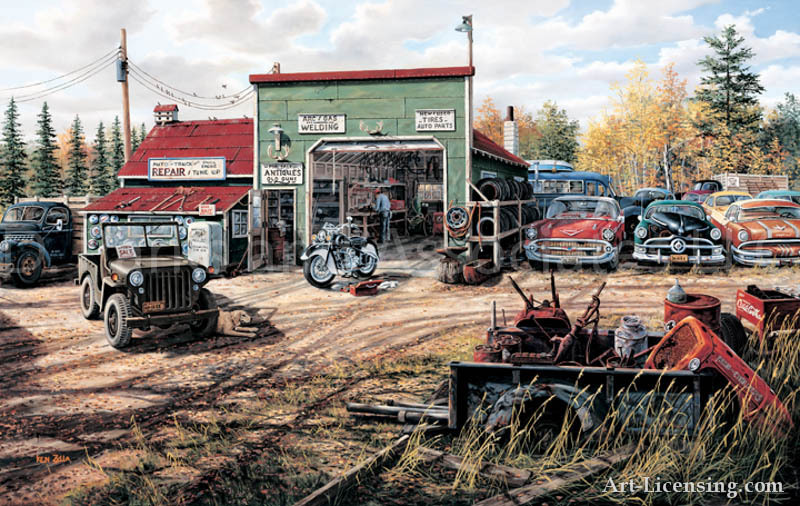 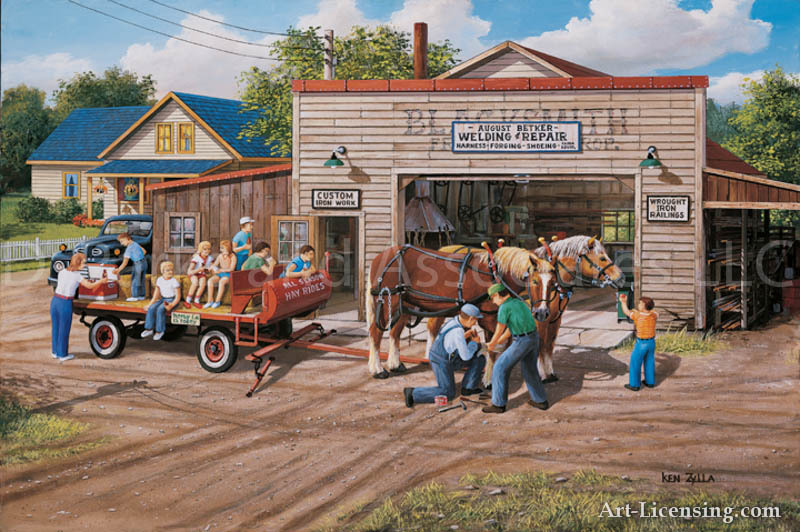 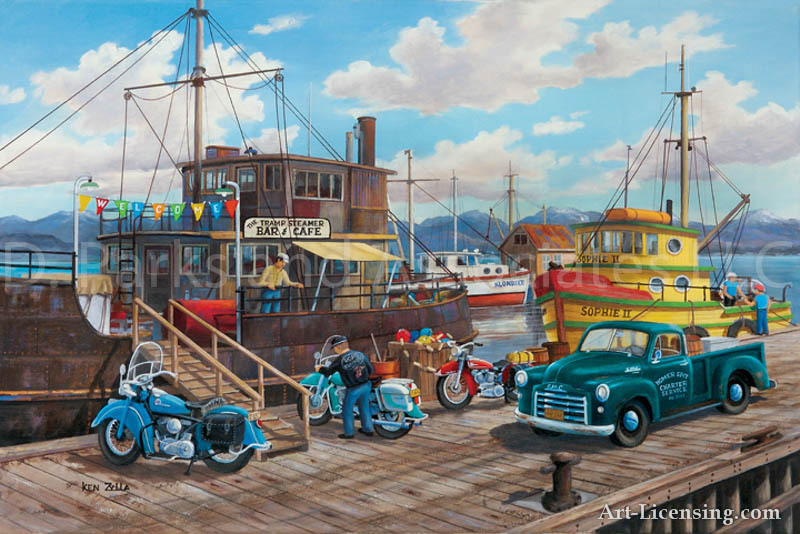 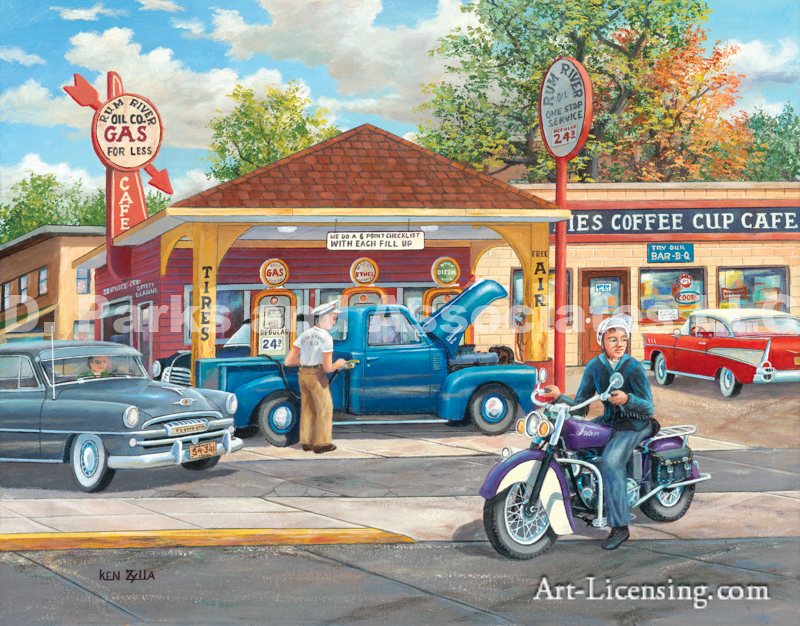 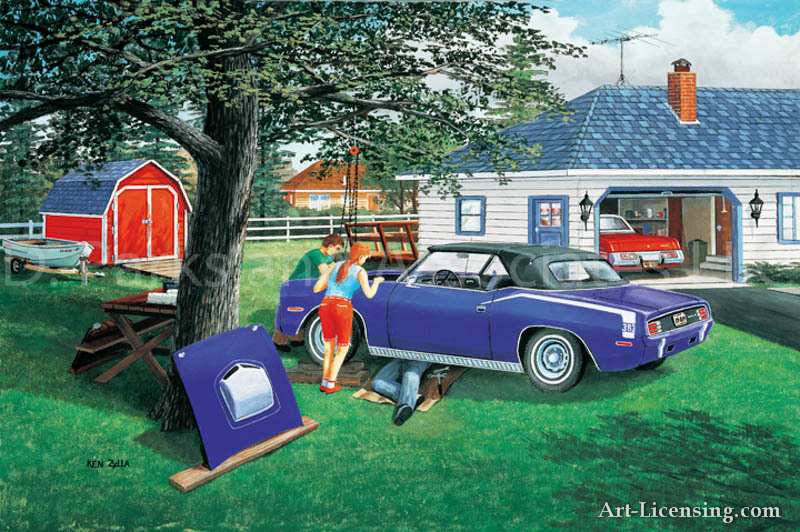 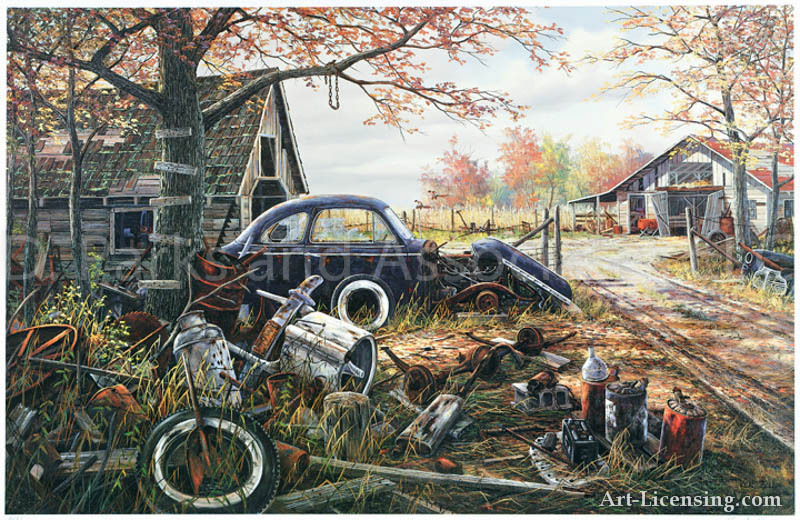 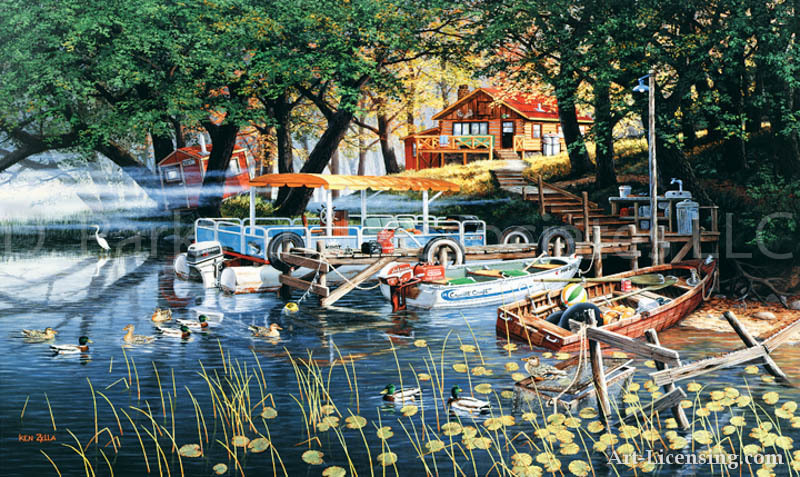 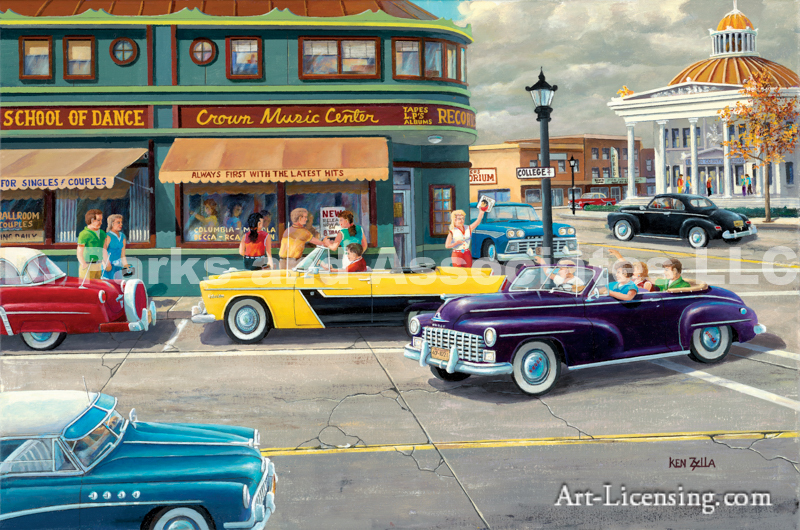 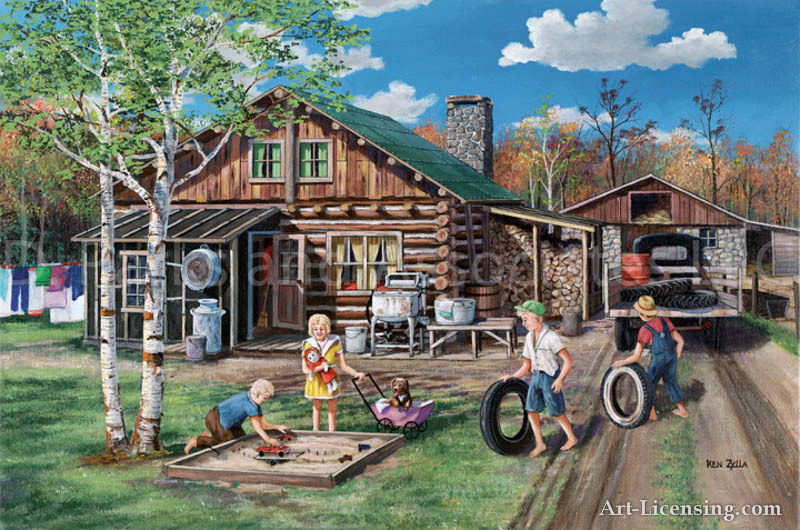 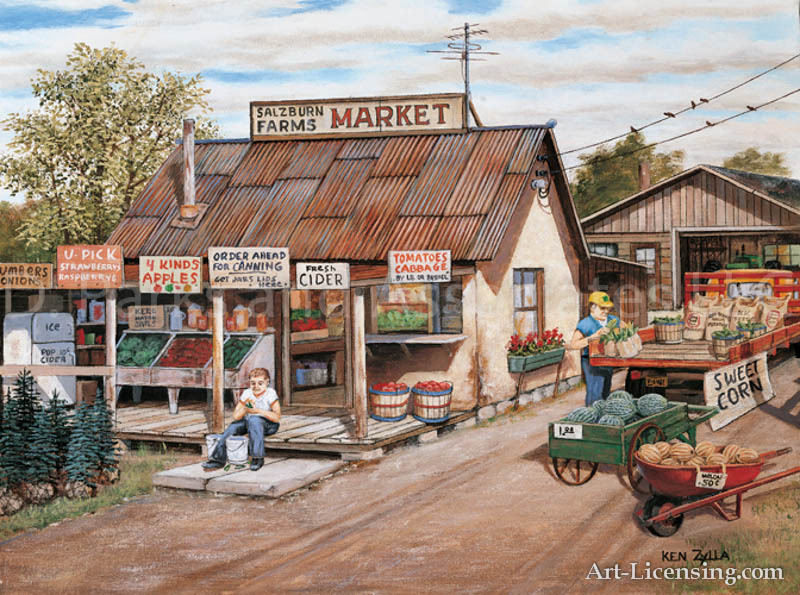 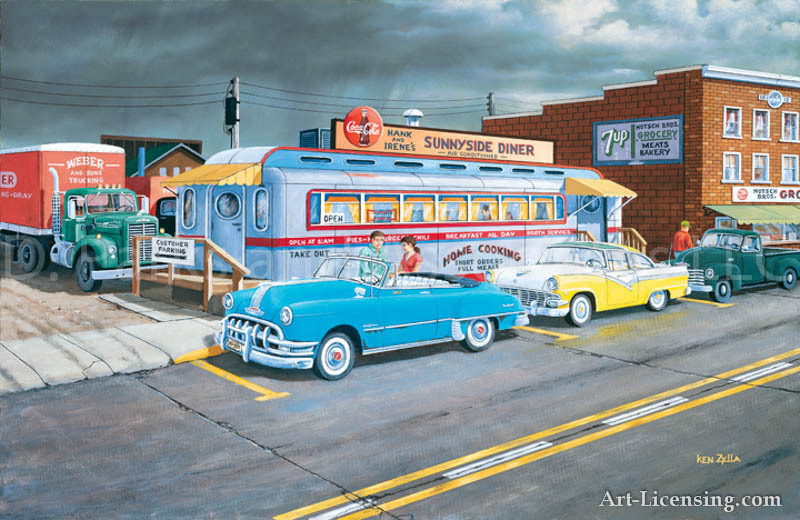 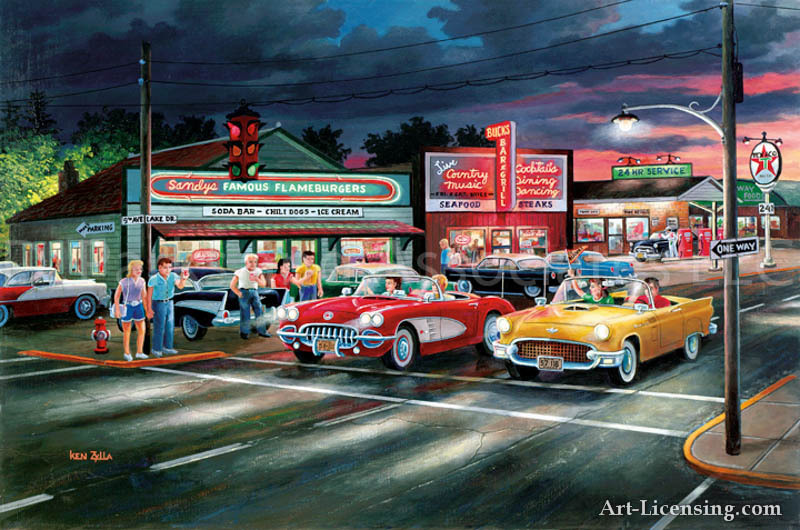 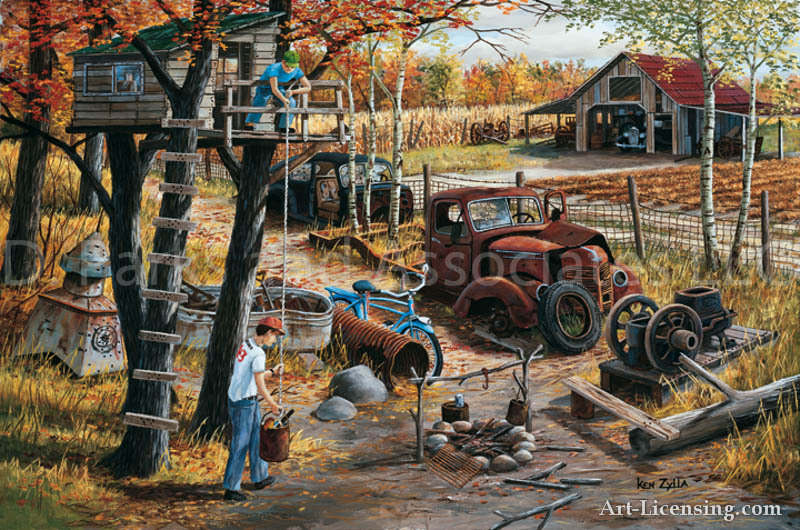 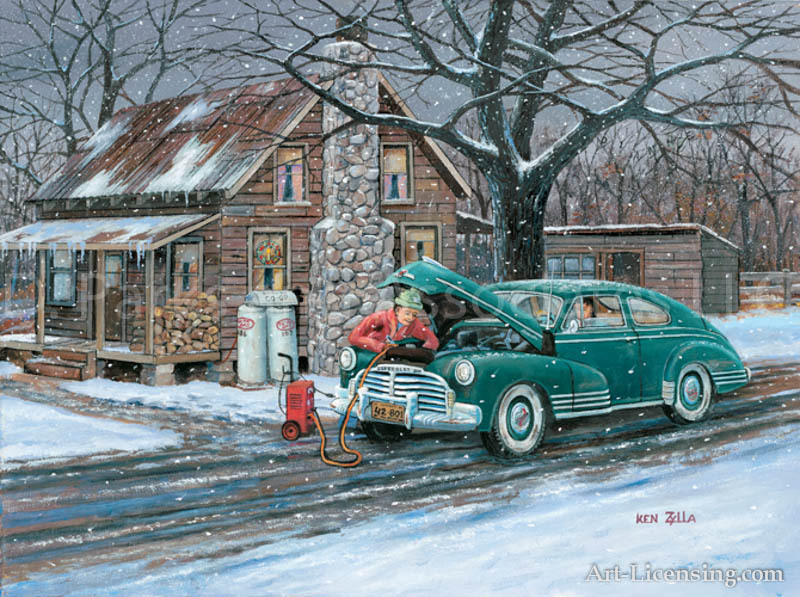 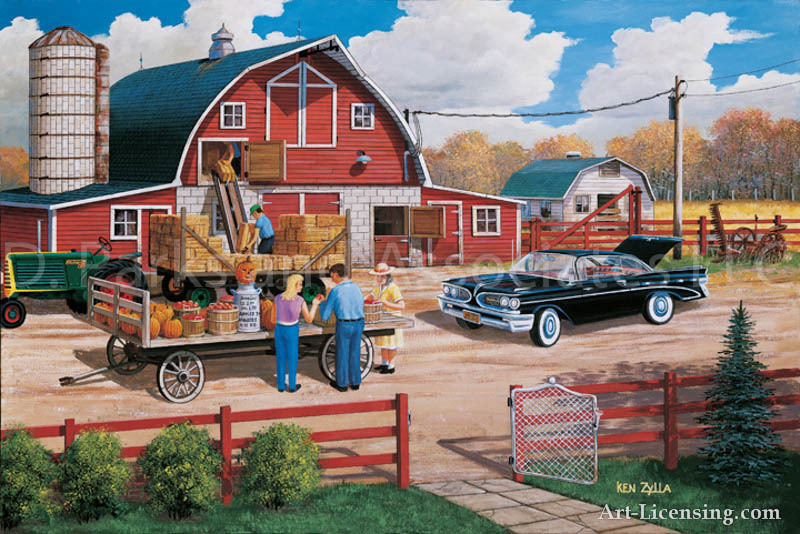 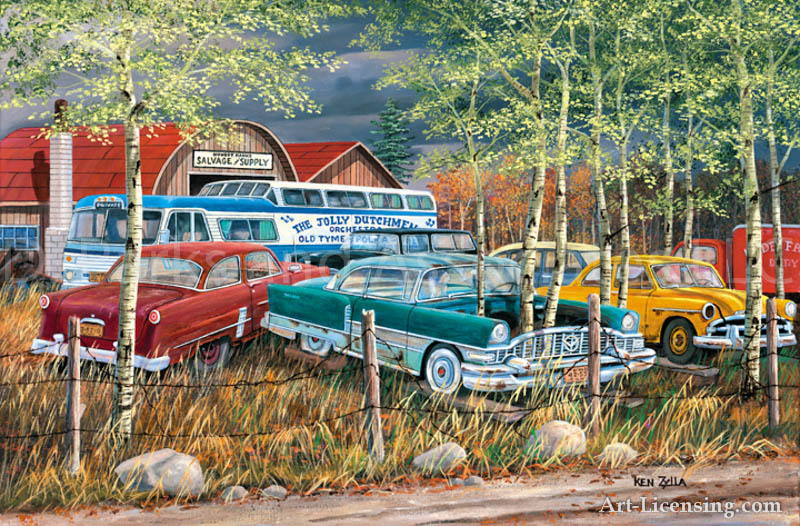 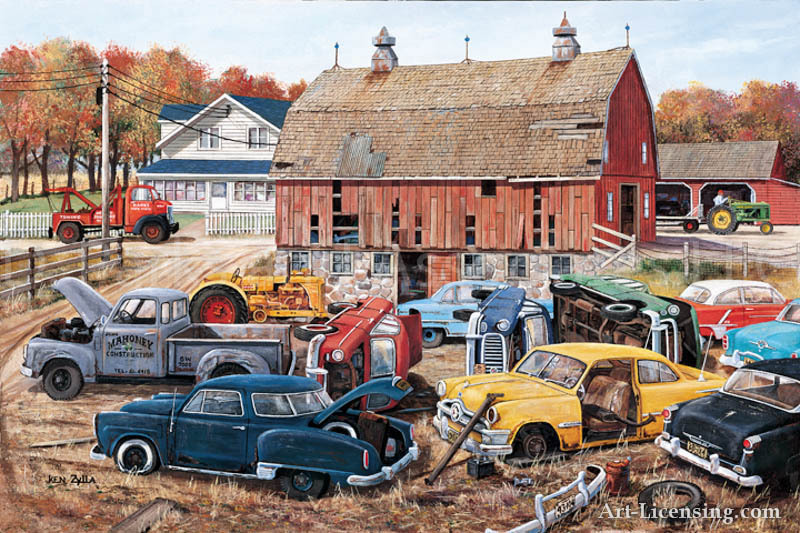 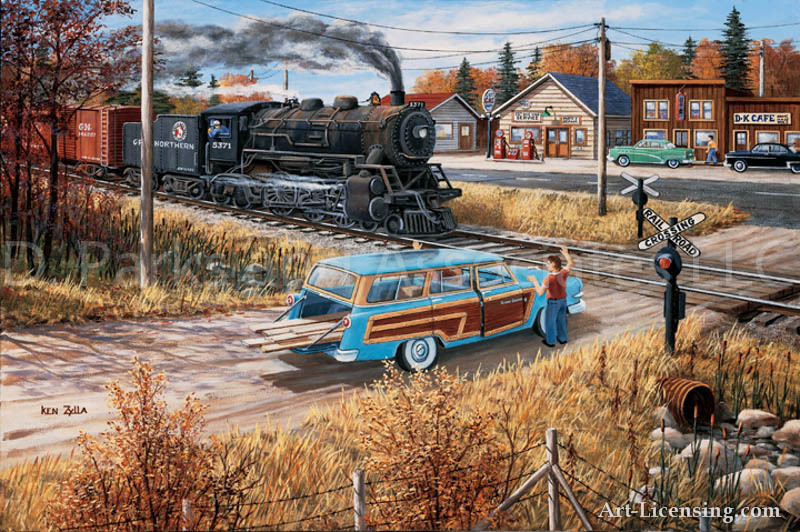 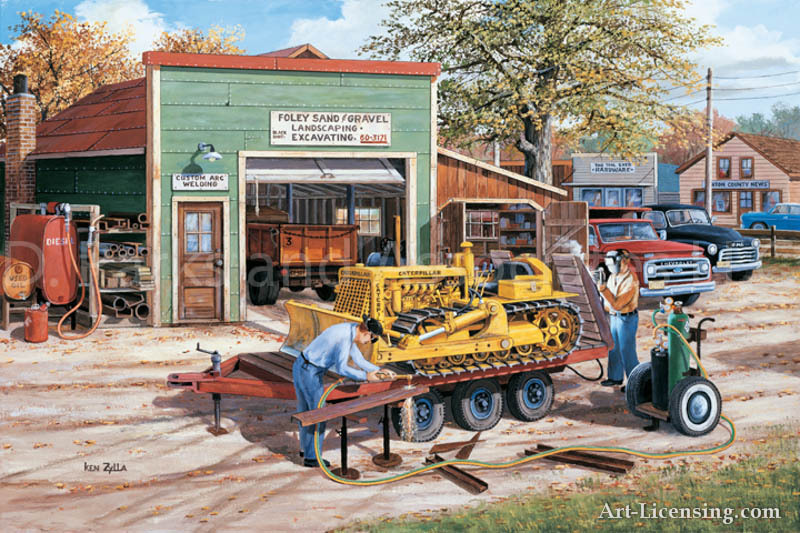 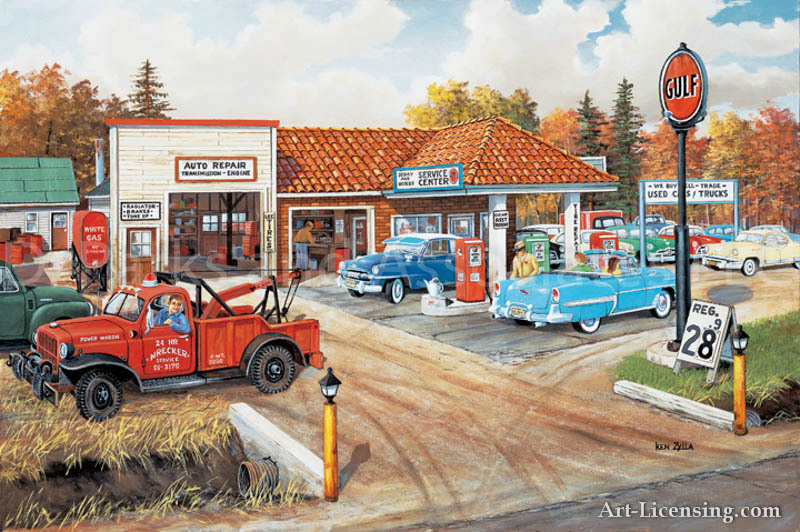 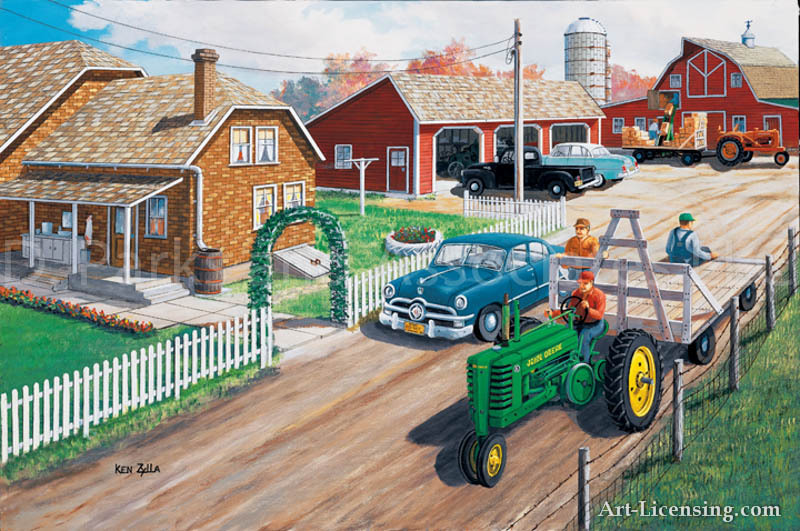 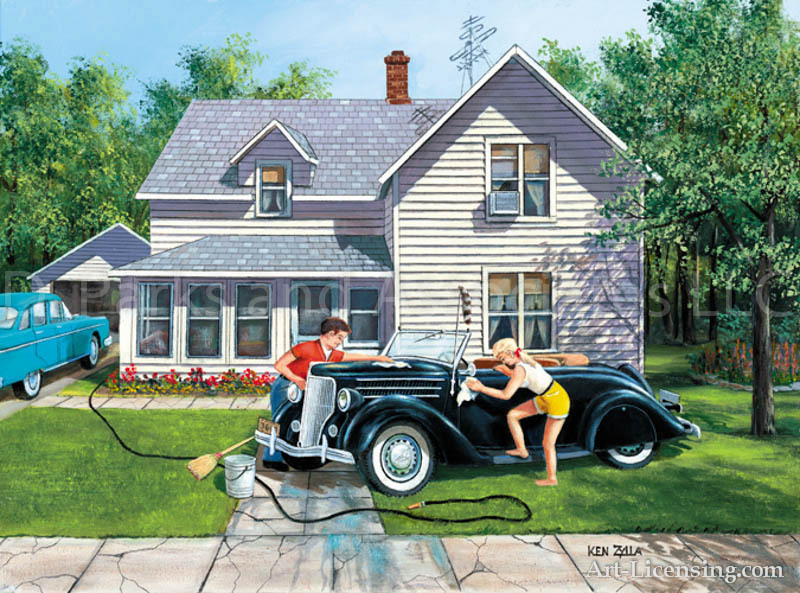 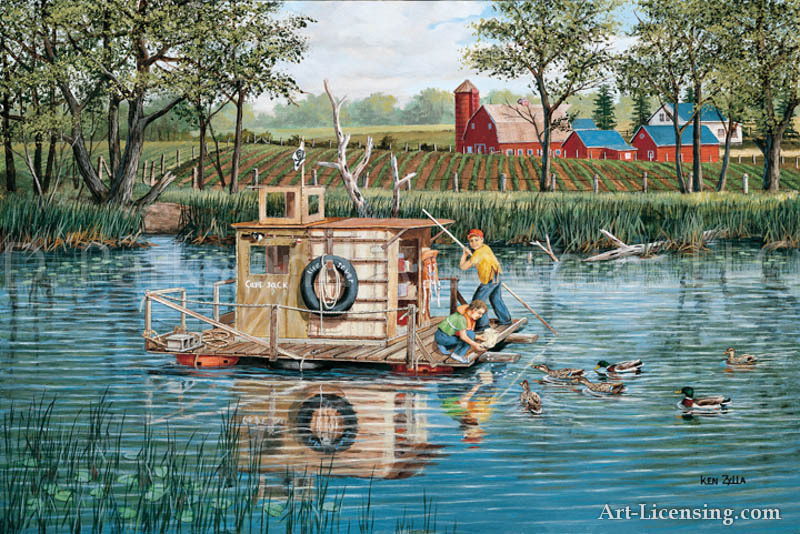 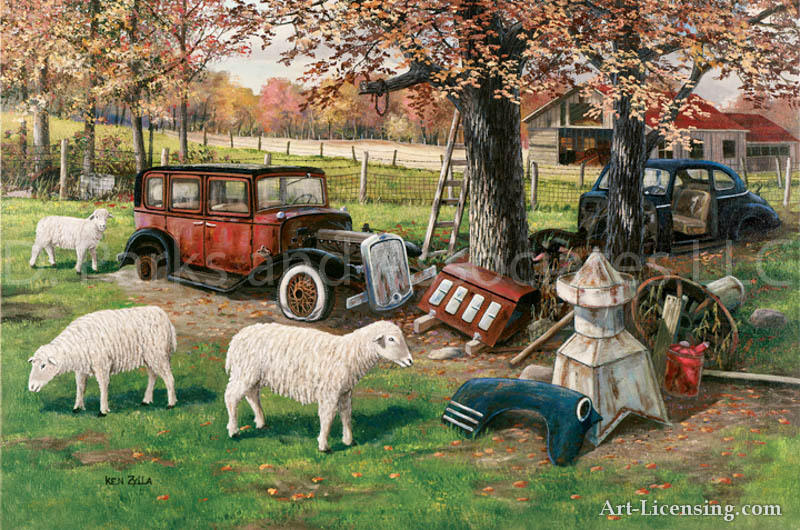 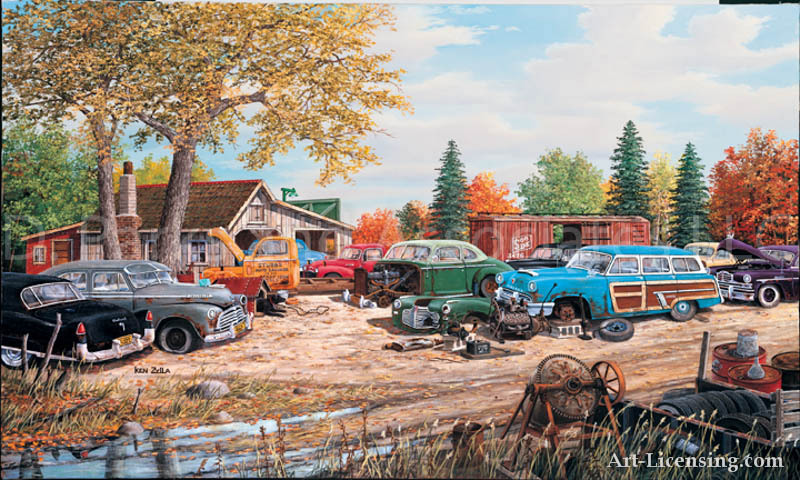 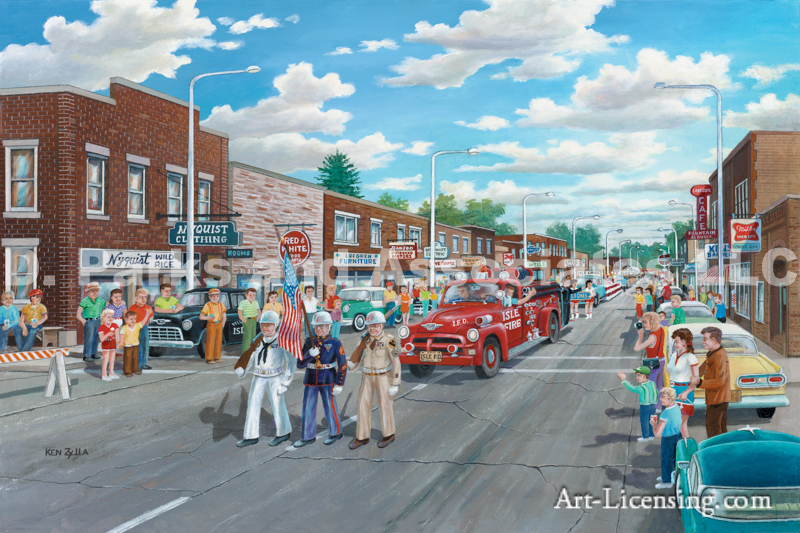 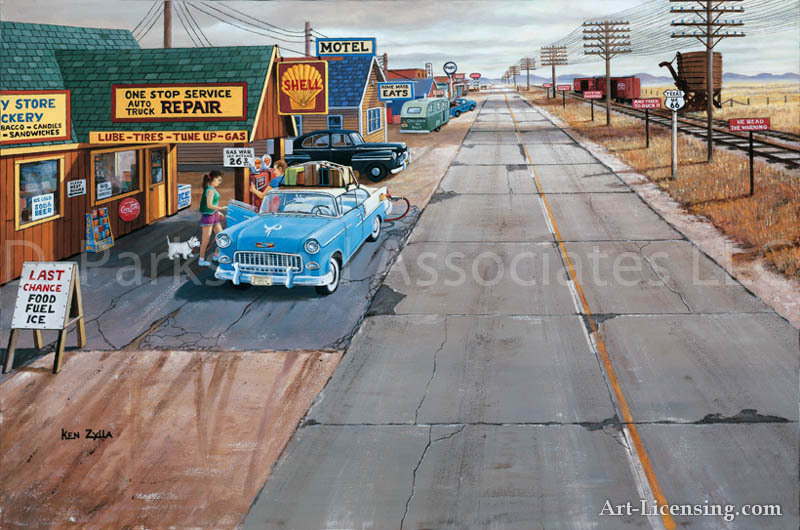 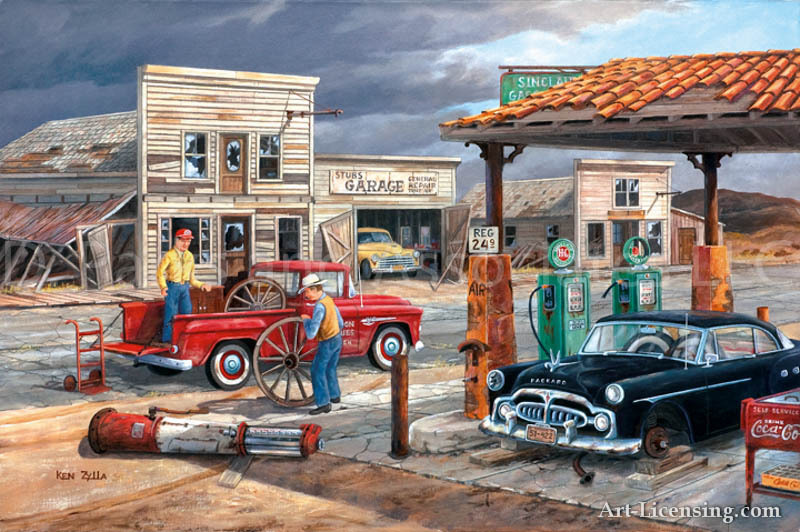 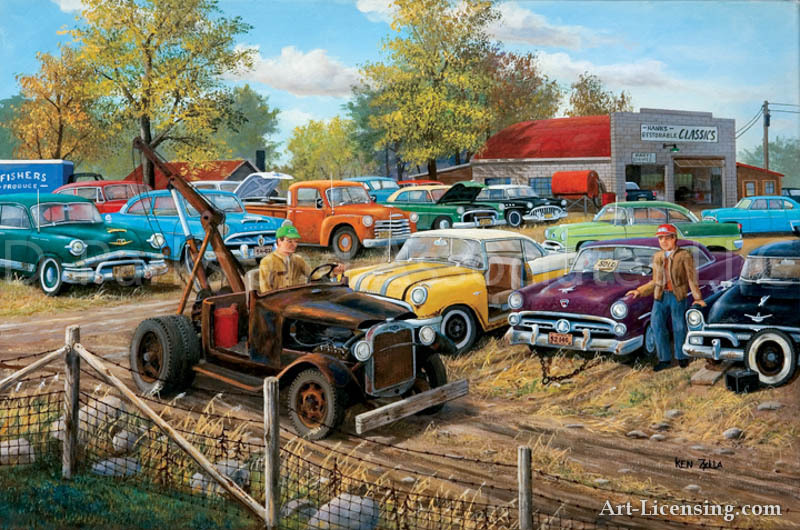 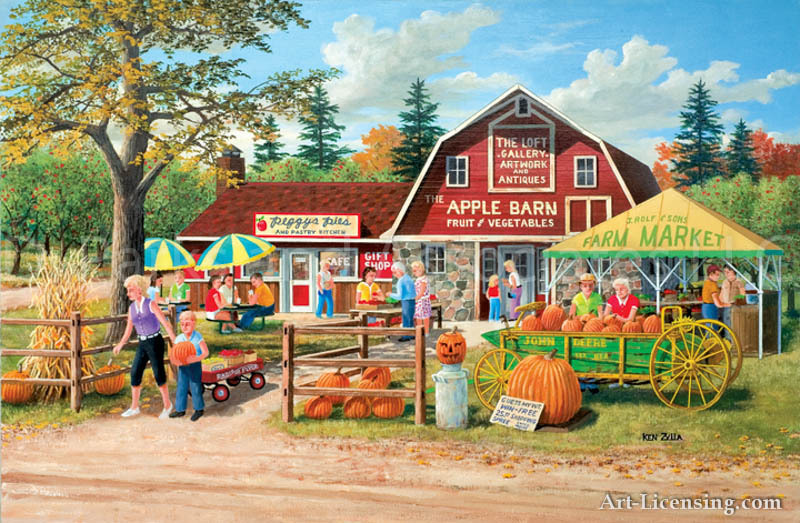 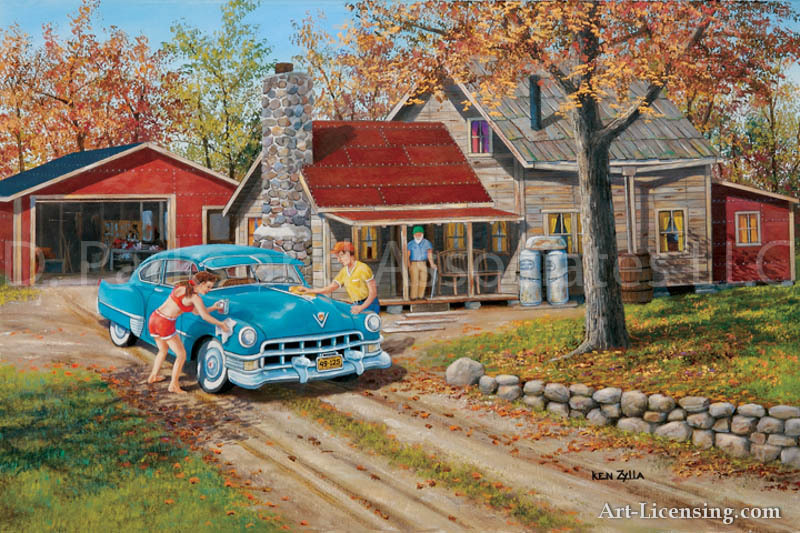 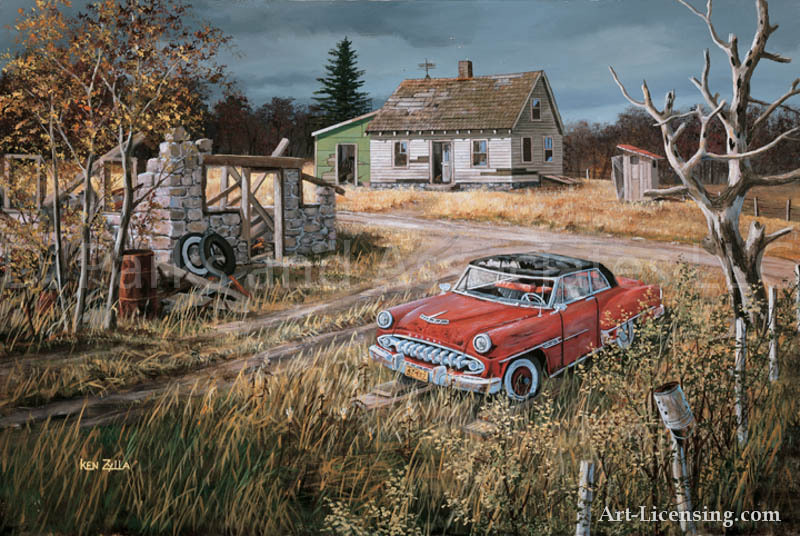 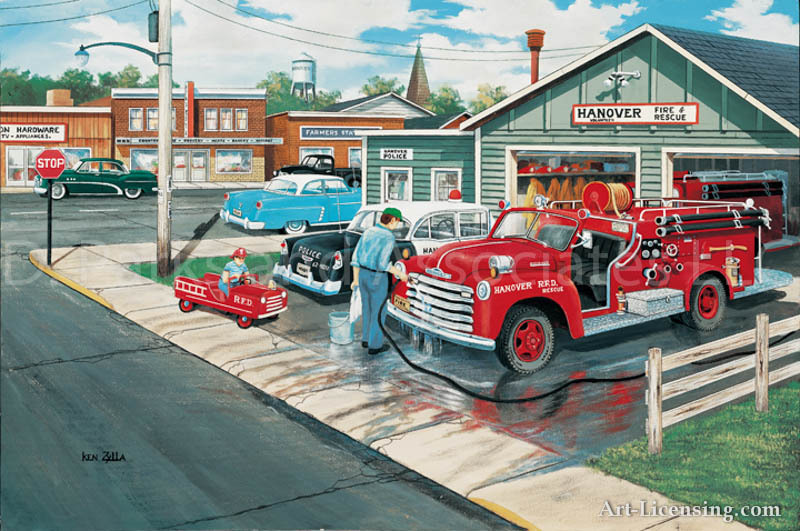 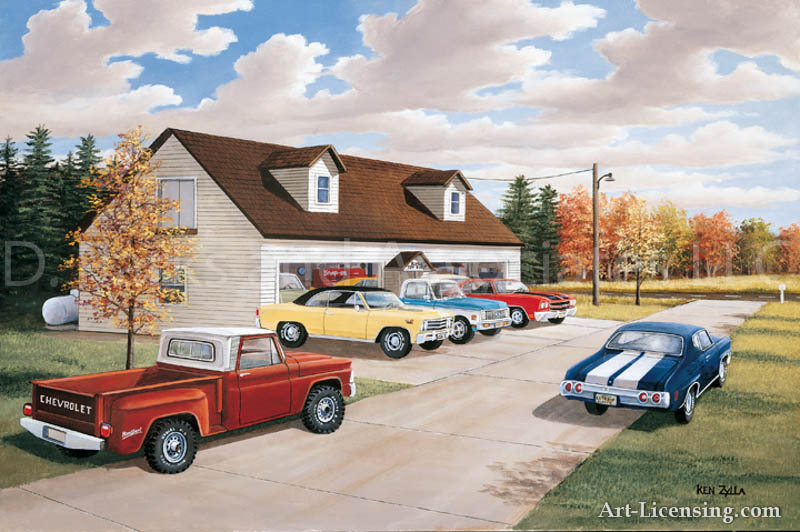 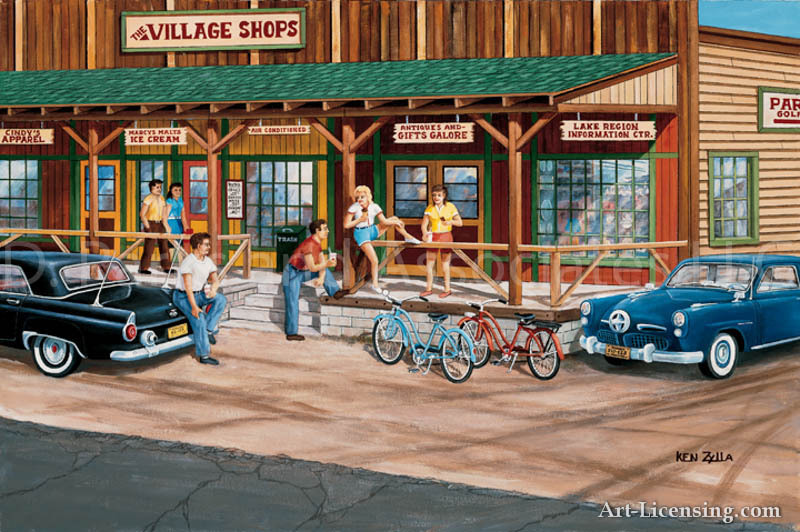 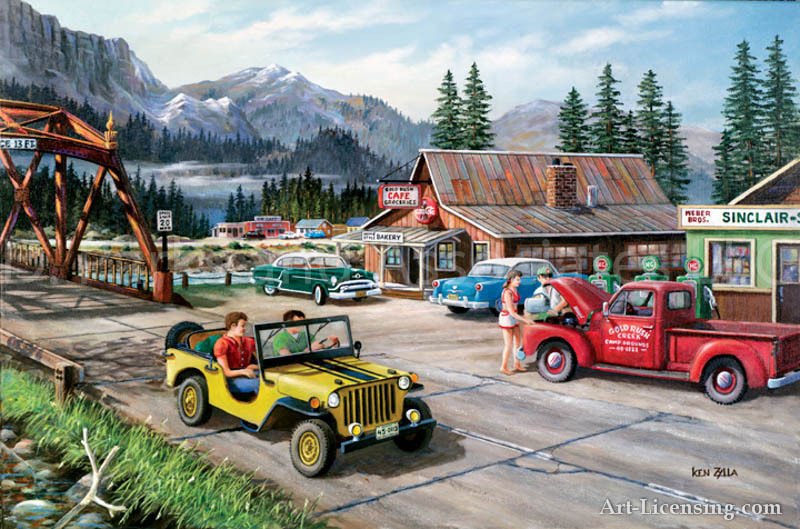 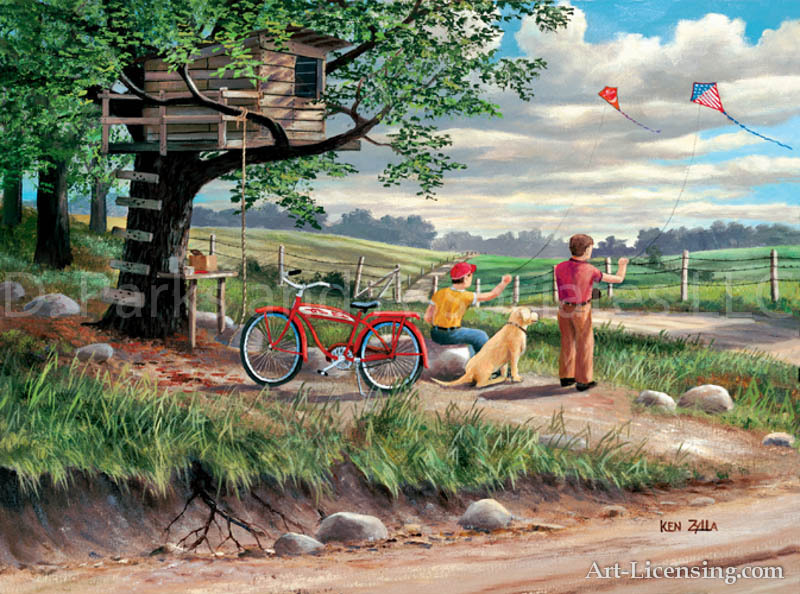 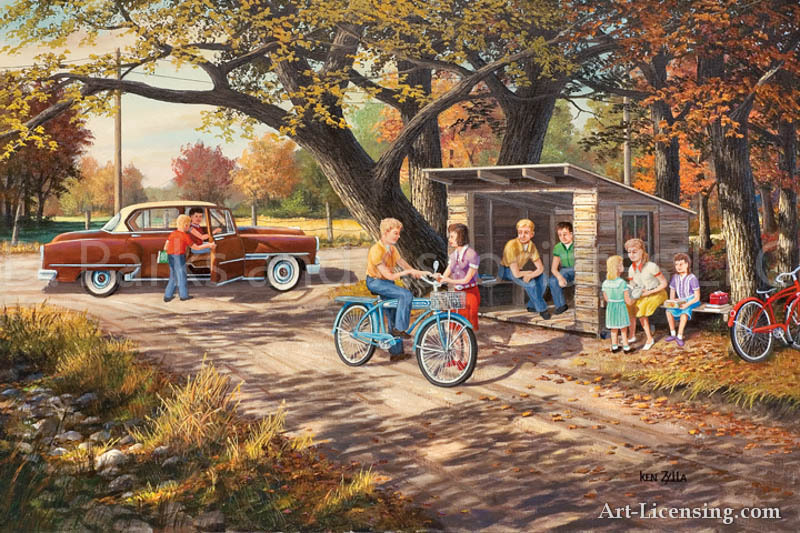 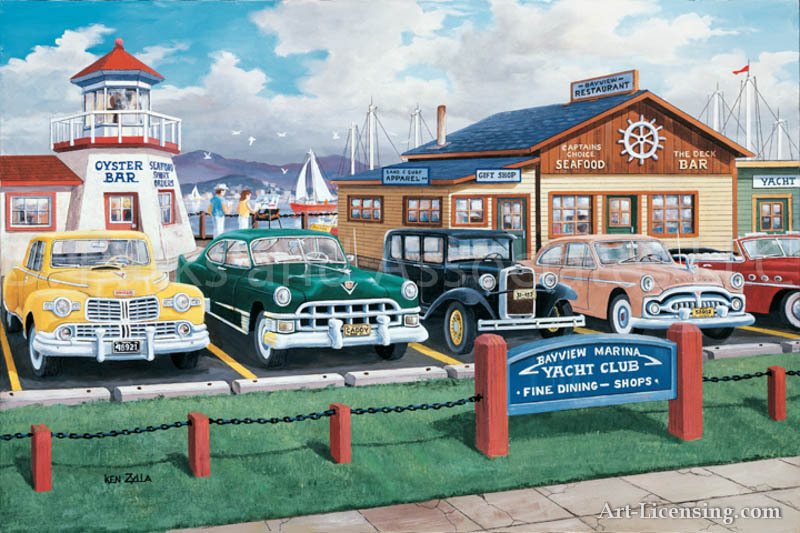 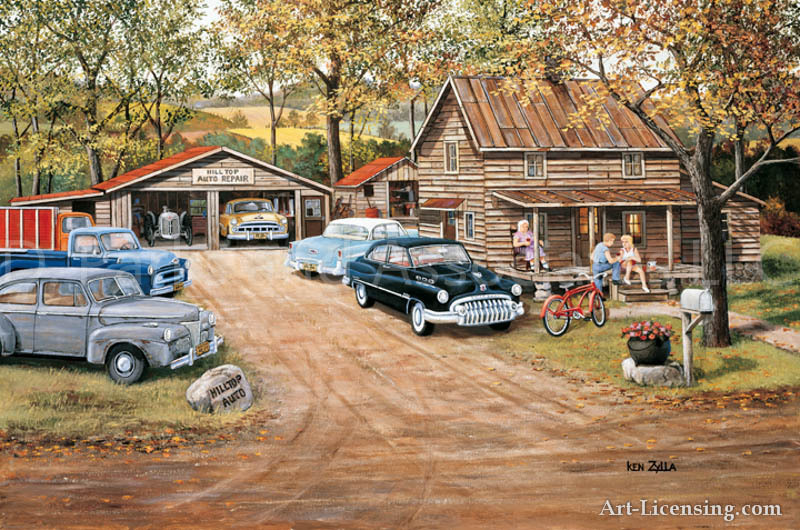 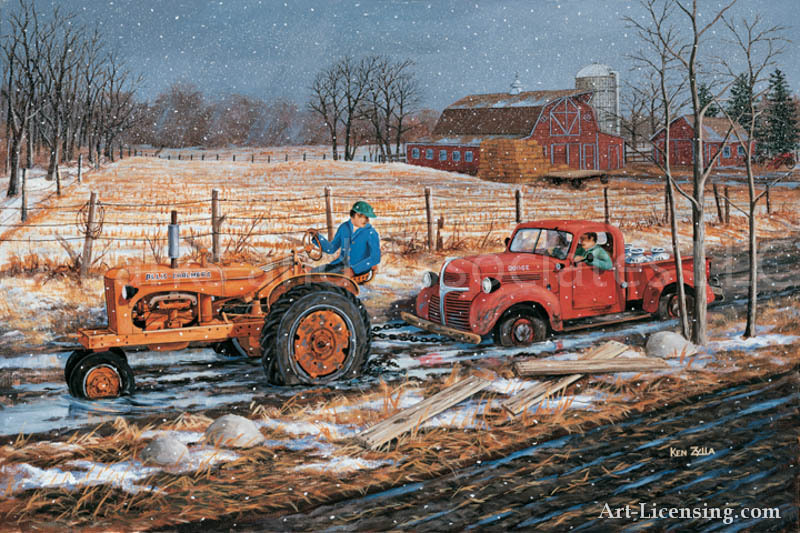 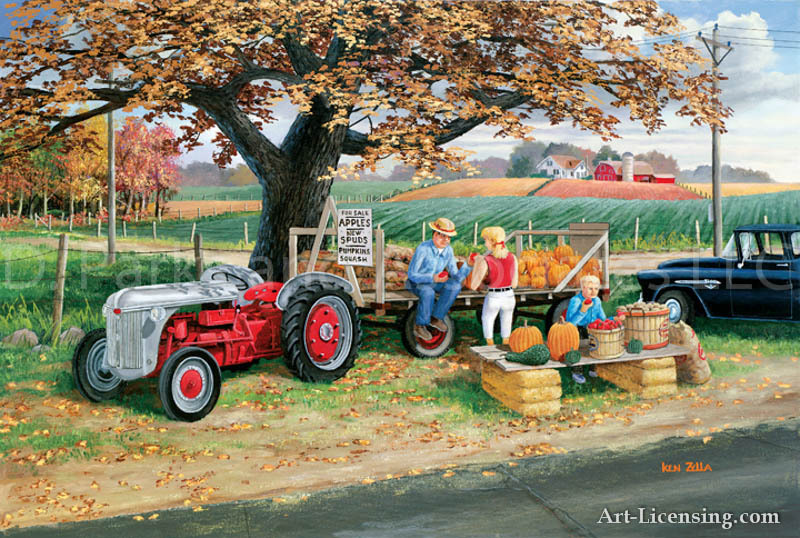 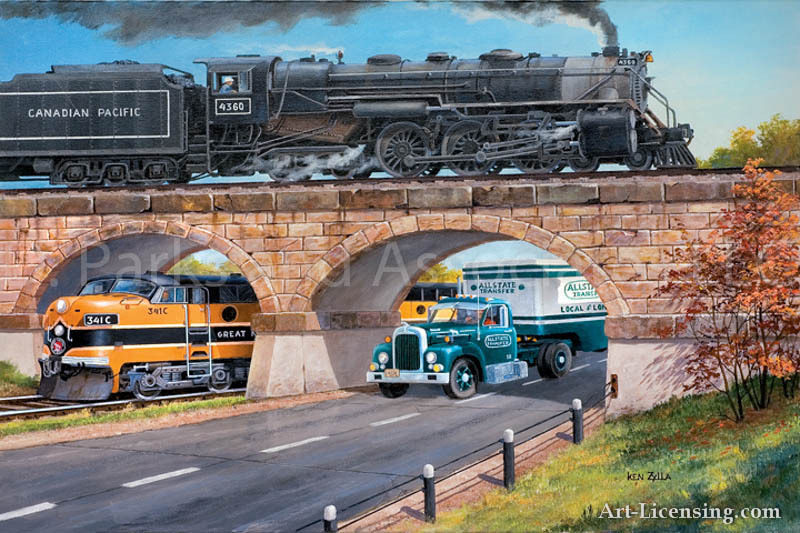 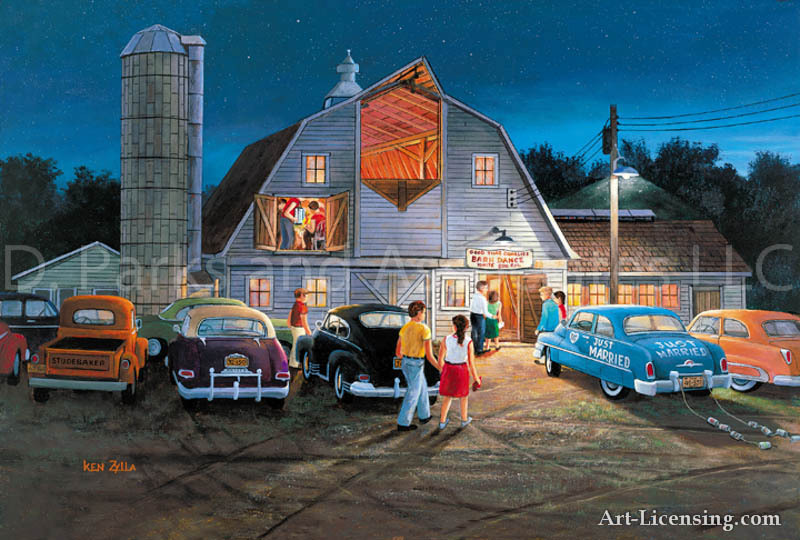 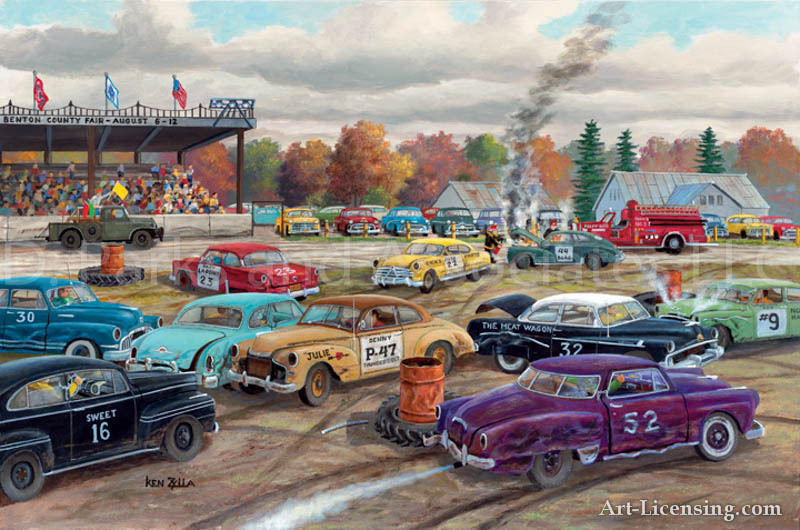 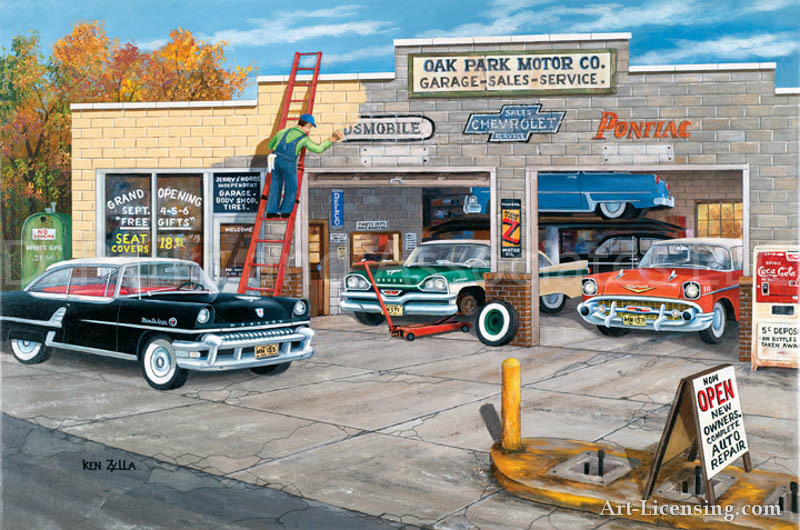 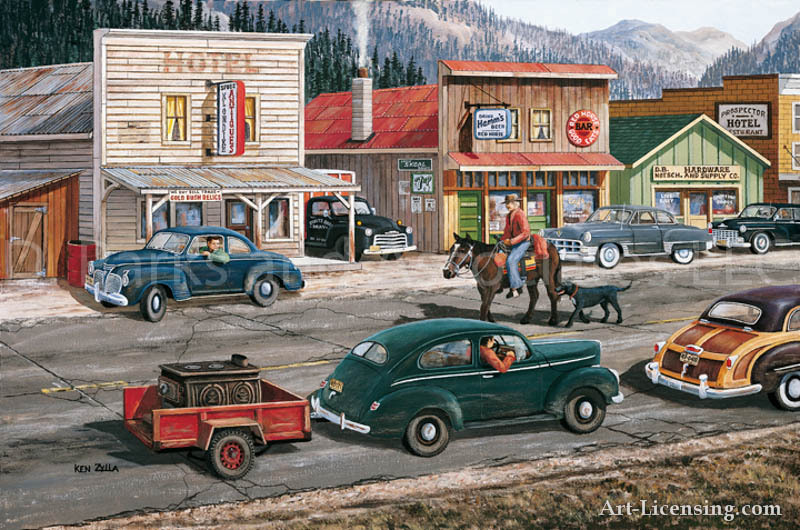 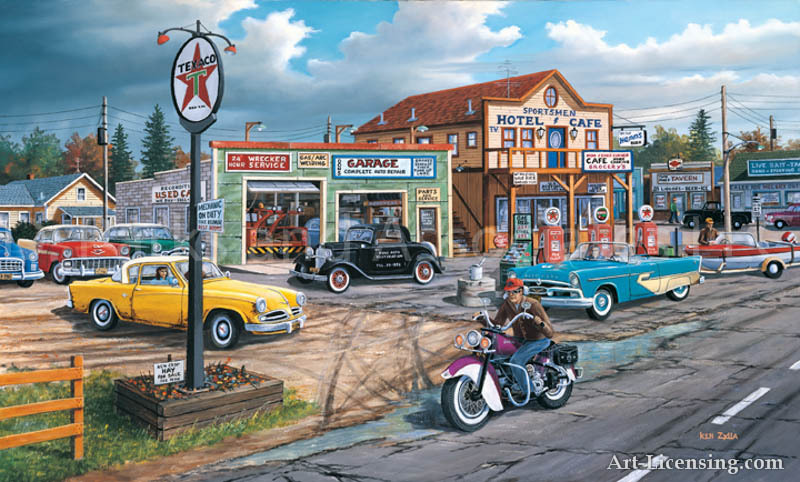 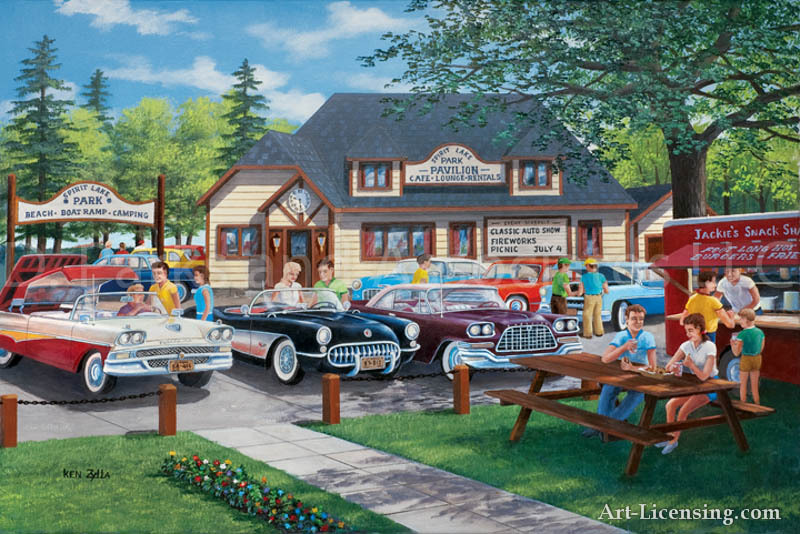 The colorful artwork of Ken Zylla shows classic and nostalgic Americana scenes such as small town streets, cars, trucks and dilapidated farms. 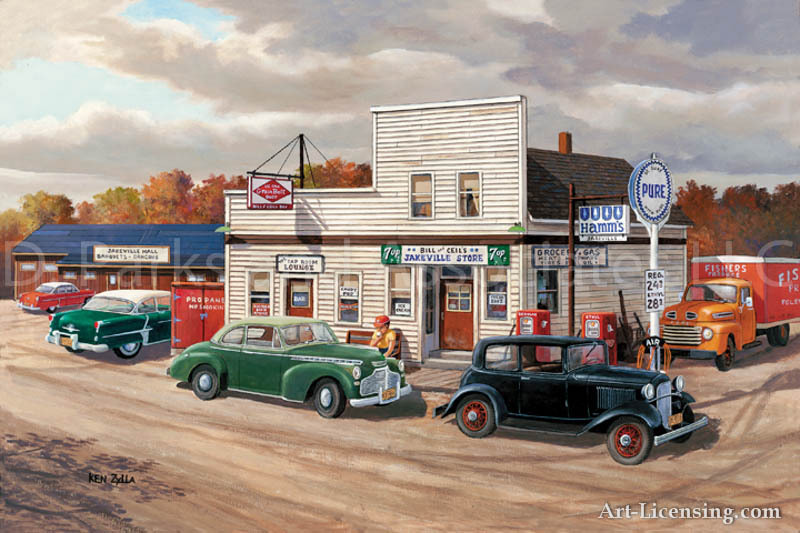 Working out of his studio and gallery in Rogers, Minnesota, he is quietly focused and thoughtful and his paintings reflect an attention to detail that brings them to life. 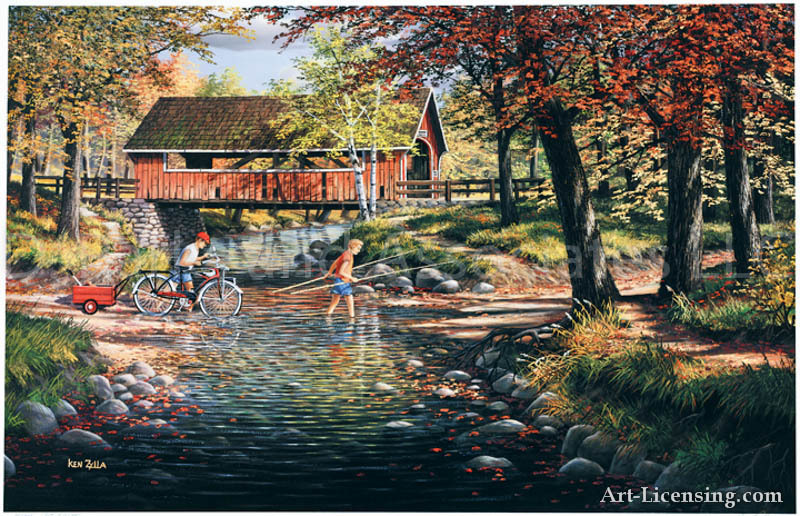 His blending of the elements, such as weather, sunlight, time of day, the seasons, along with his choice of subjects, bring each painting to a precise place in time and often tell a story. 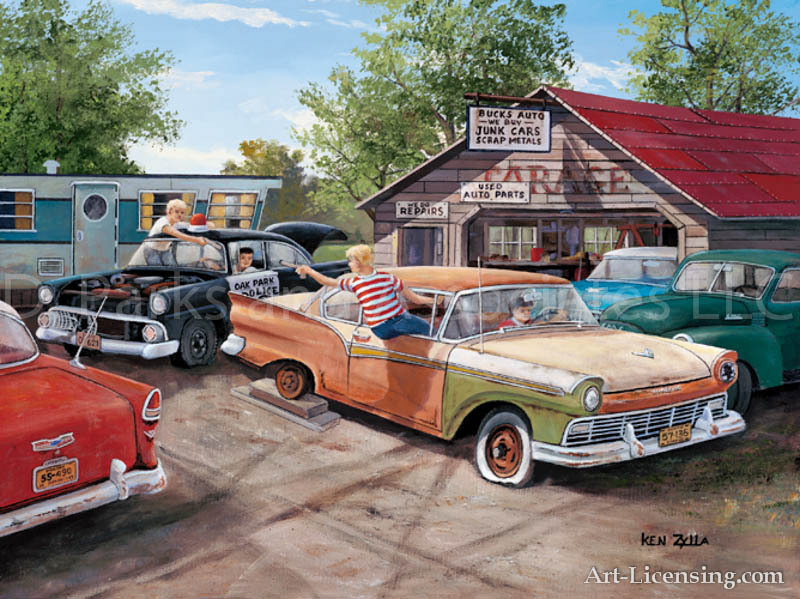 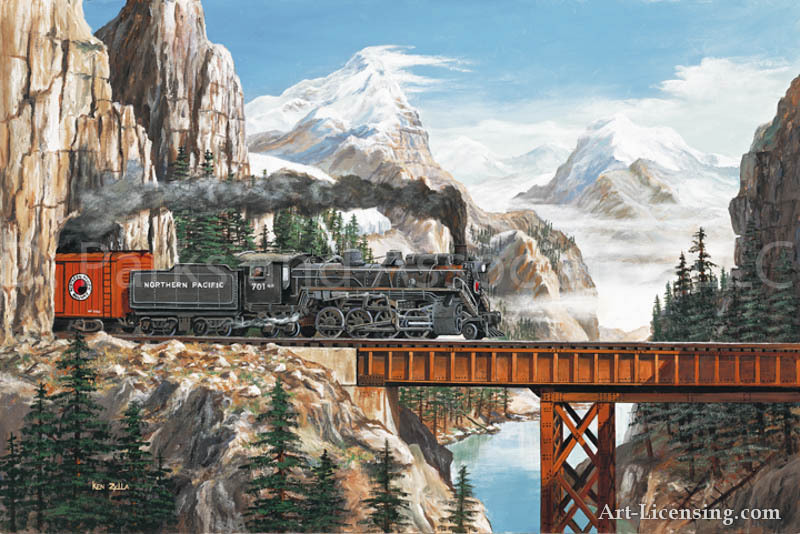 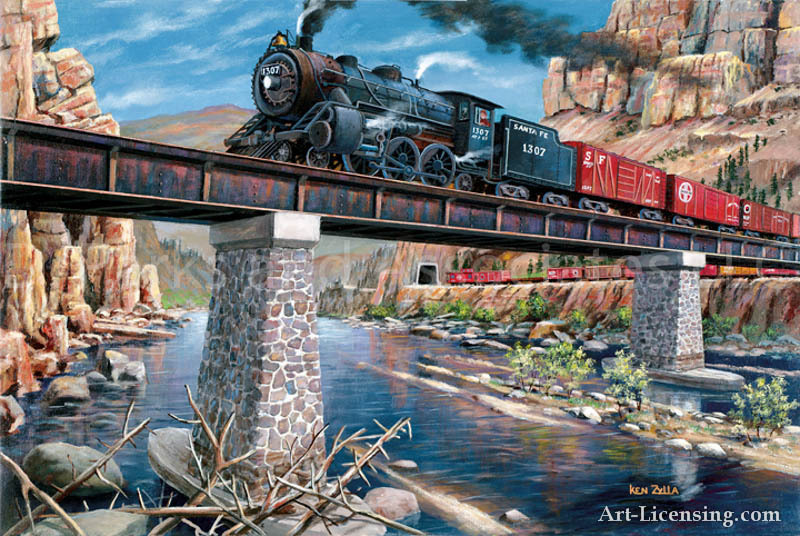 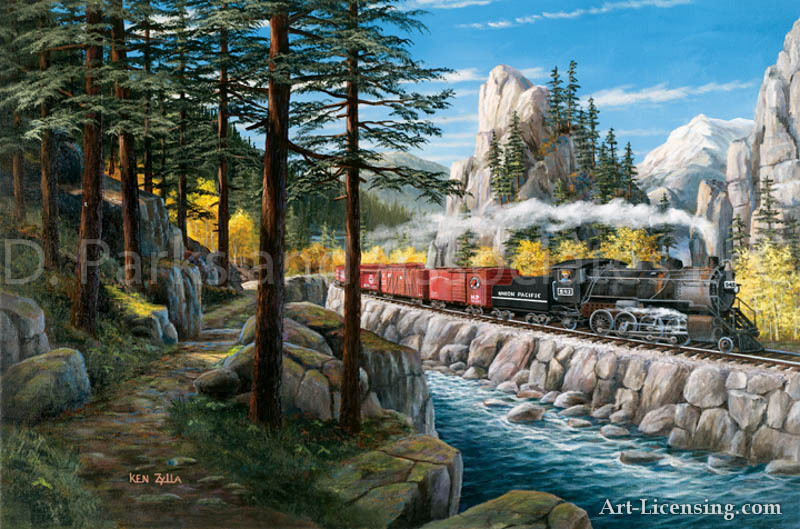 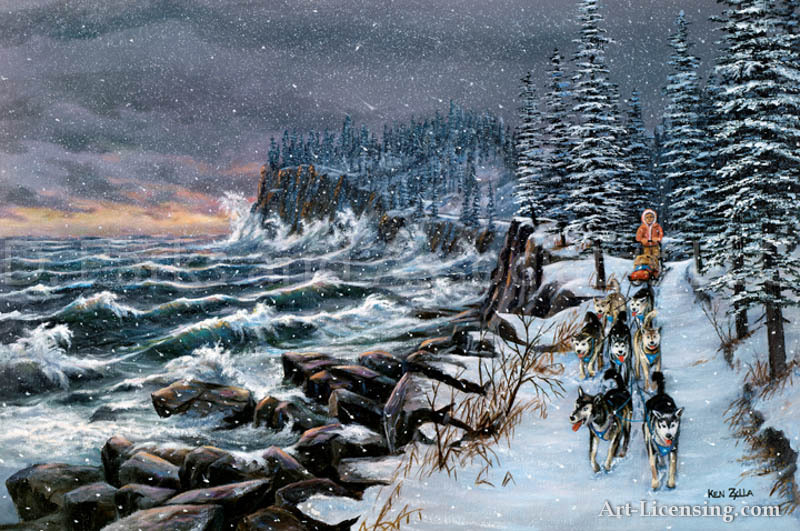 Ken Zylla is a self-taught artist and has been painting for over 40 years, first as a hobby and then as his full-time profession. 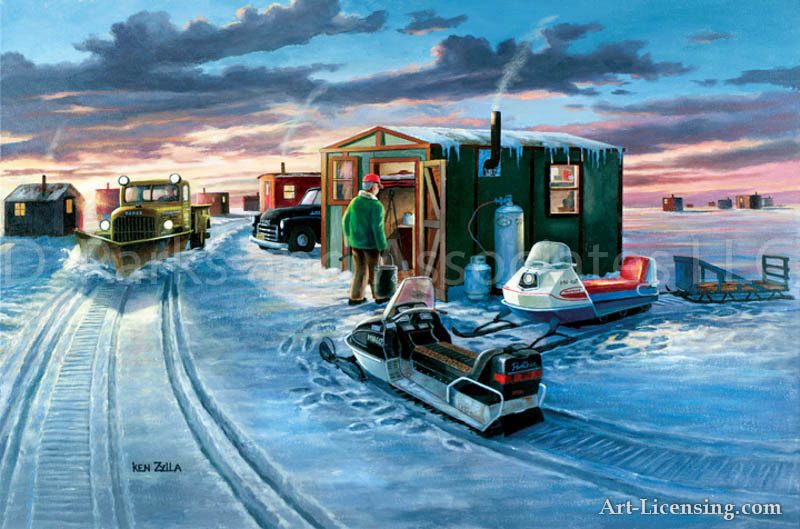 Zylla has had numerous successful art shows and his work is displayed in corporate and private collections throughout the United States and several foreign countries. 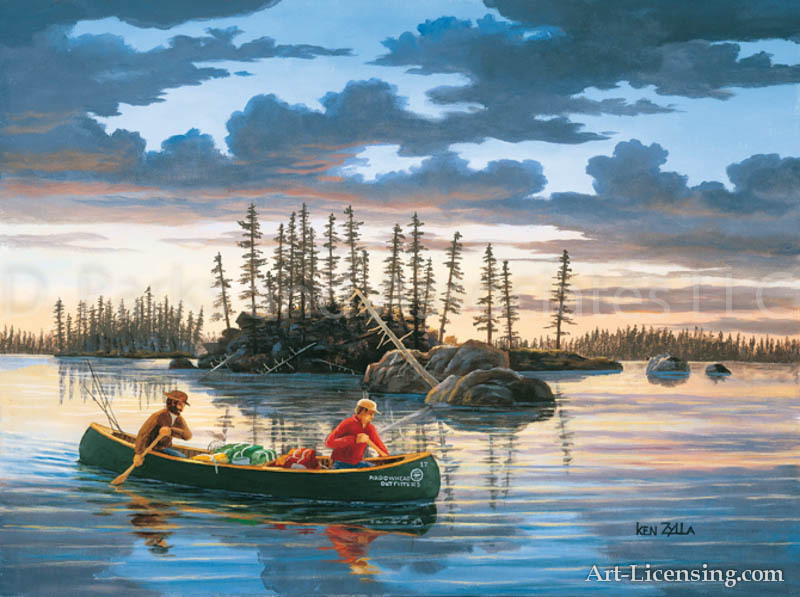 As an active member of several conservation organizations, Zylla lends support to their fund-raising efforts by publishing “Conservation Edition Prints” that are distributed throughout Minnesota and eleven other states. 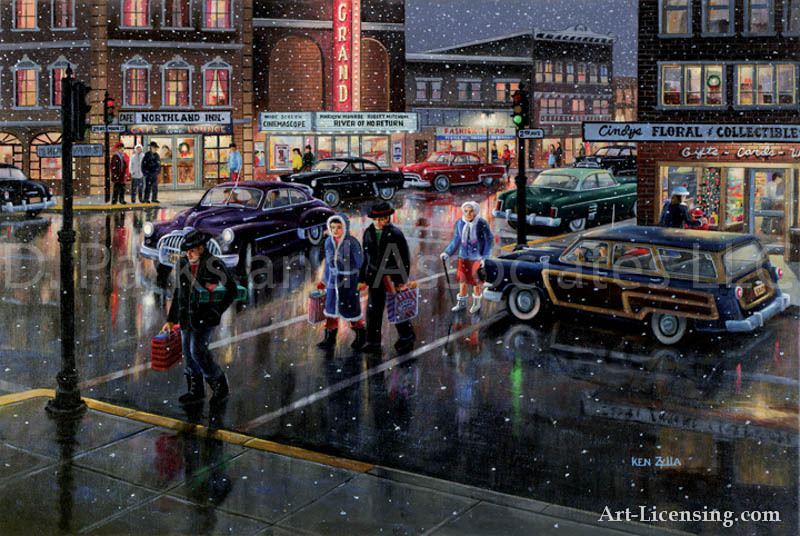 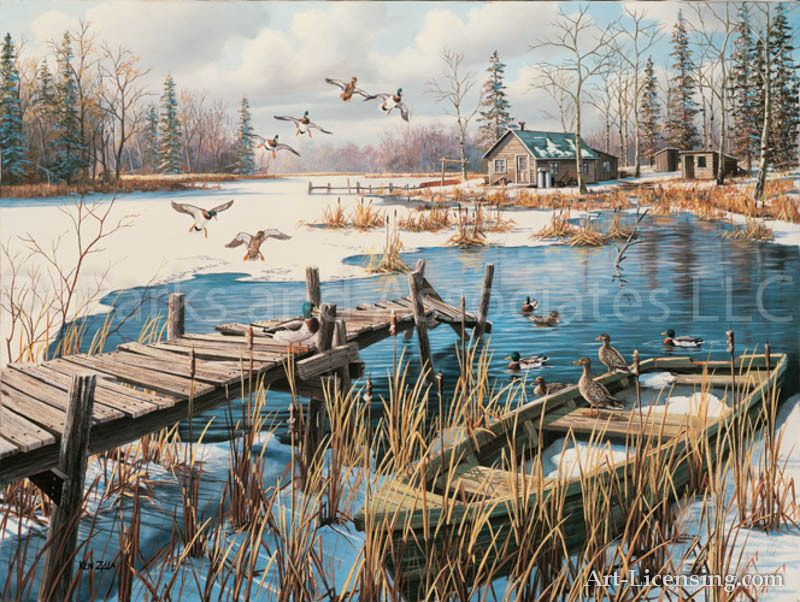 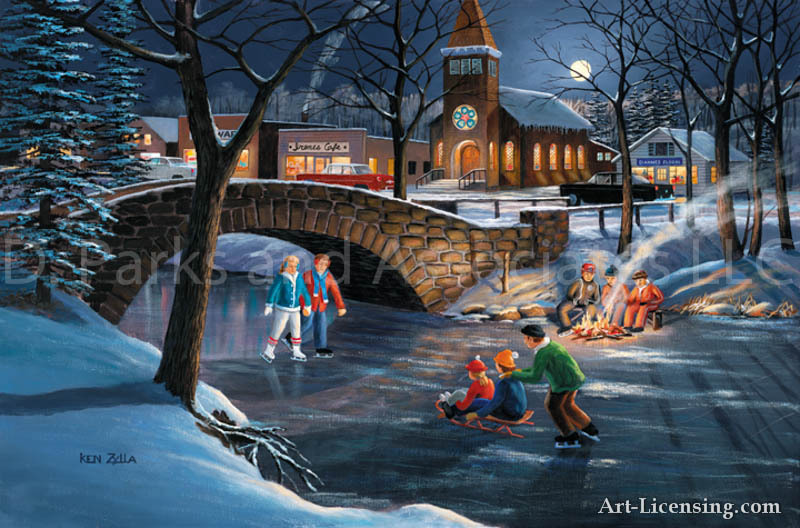 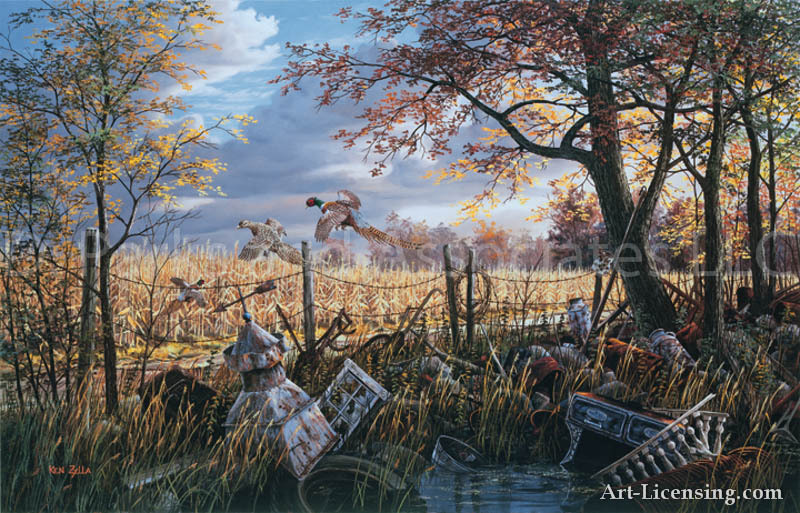 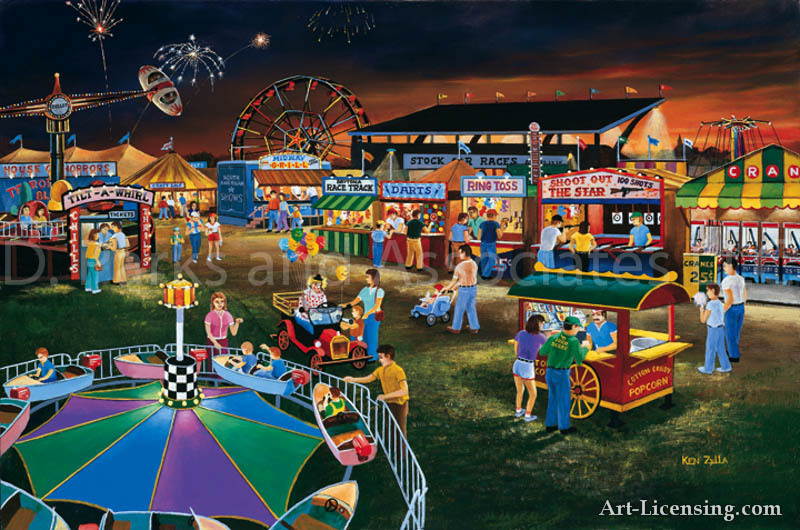 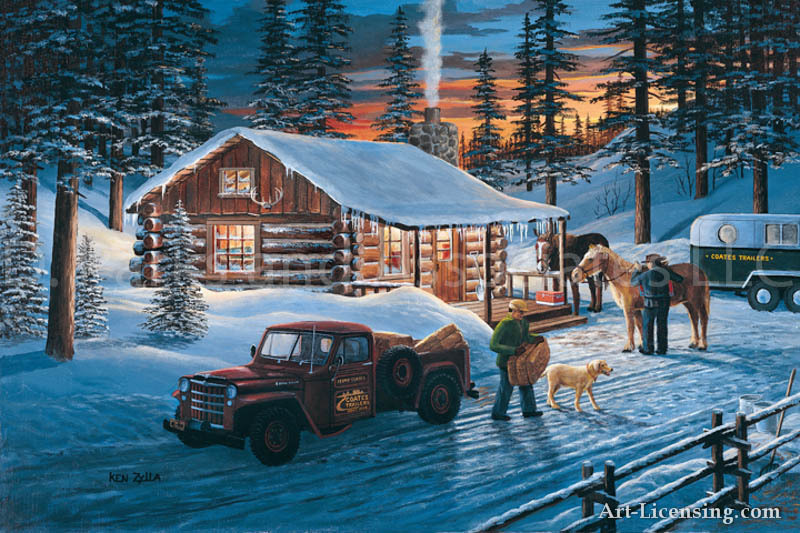 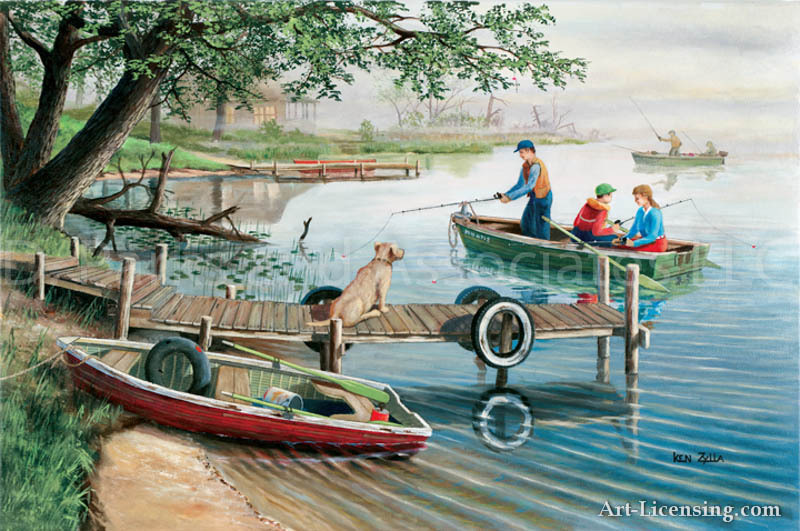 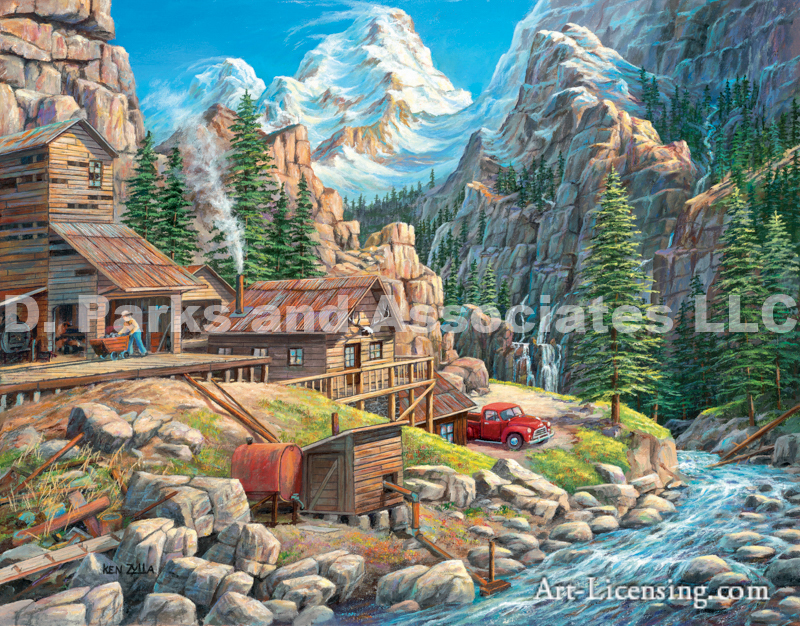 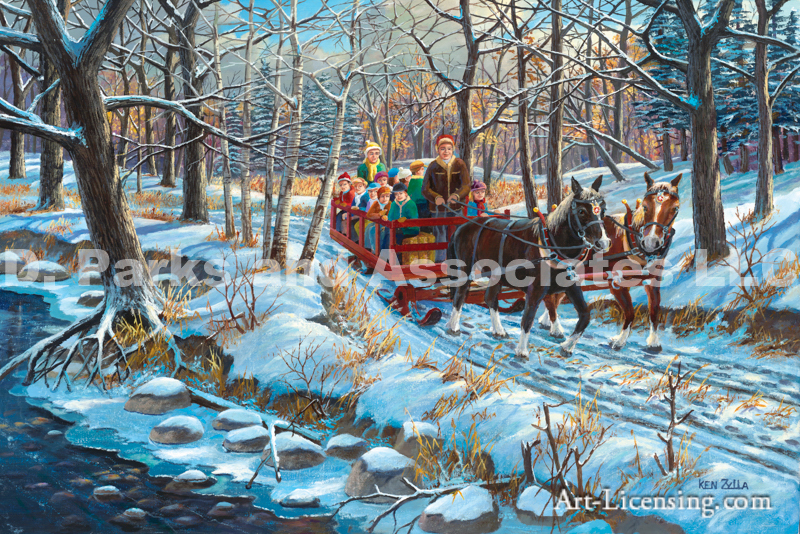 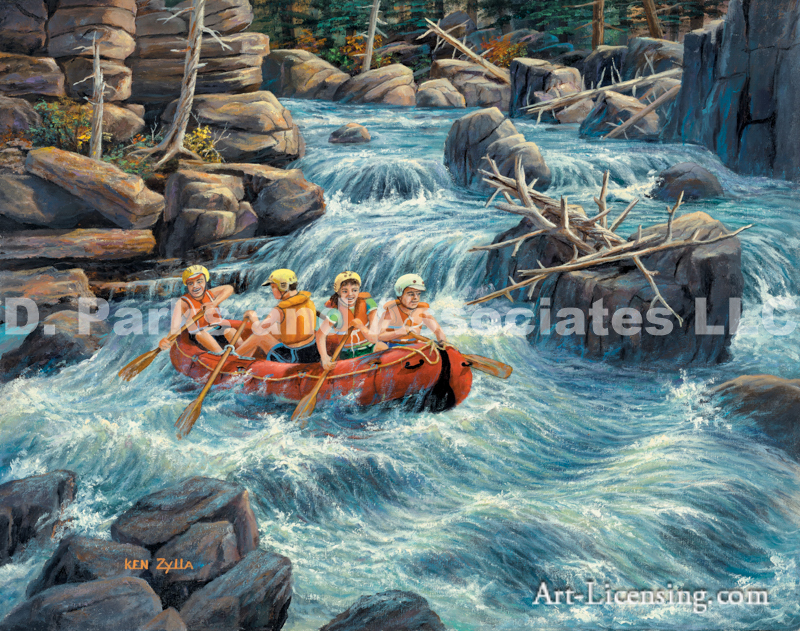 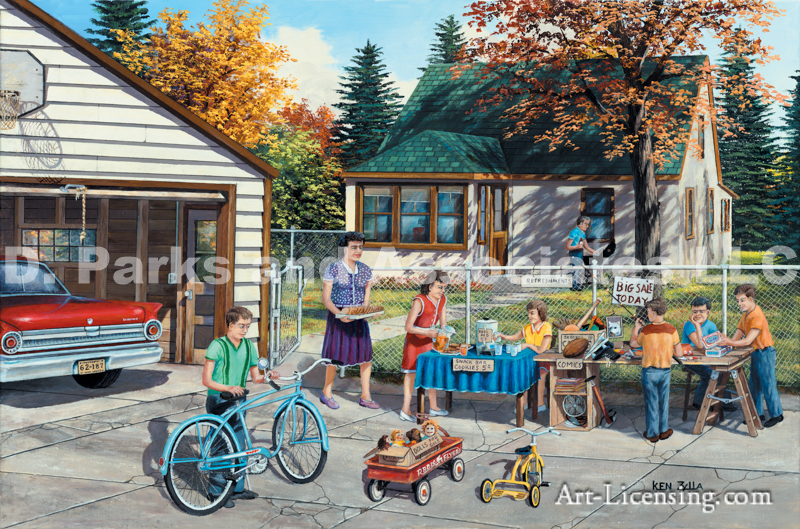 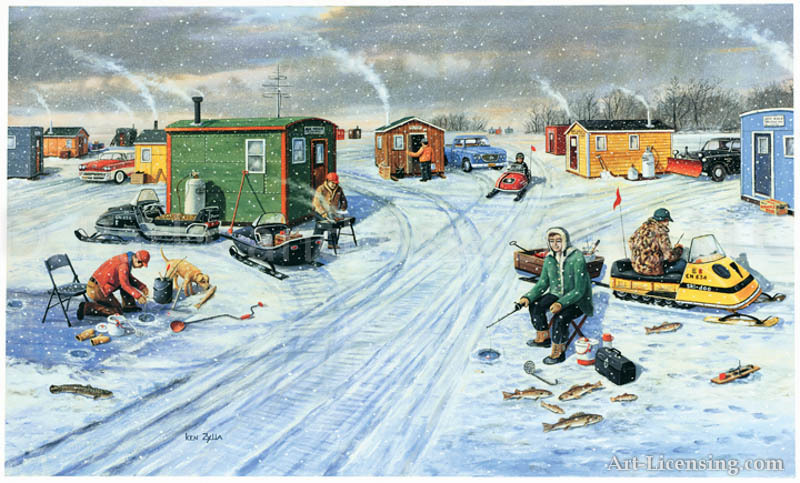 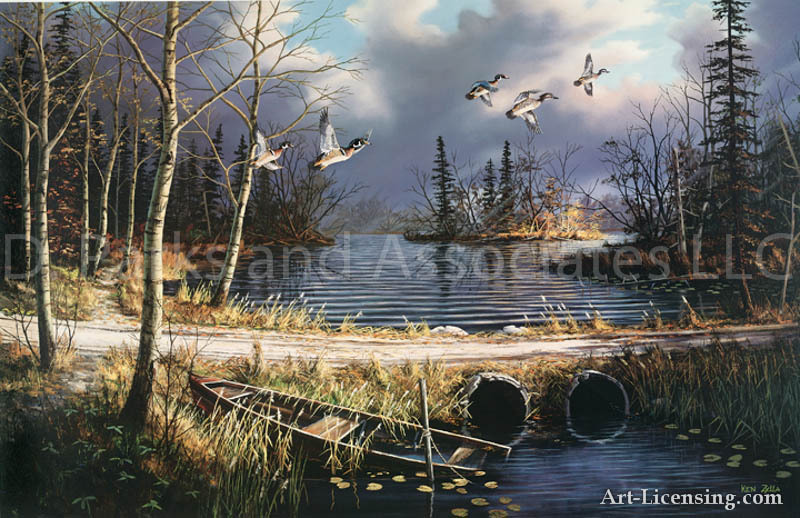 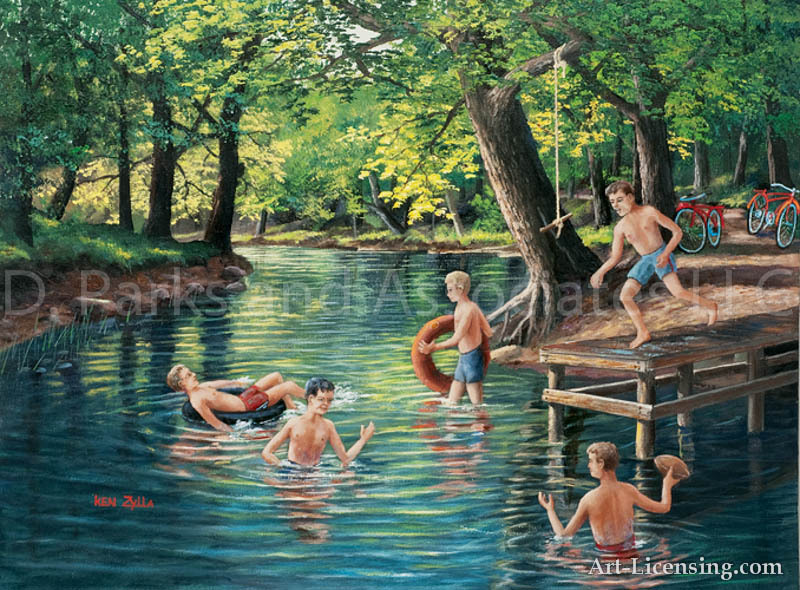 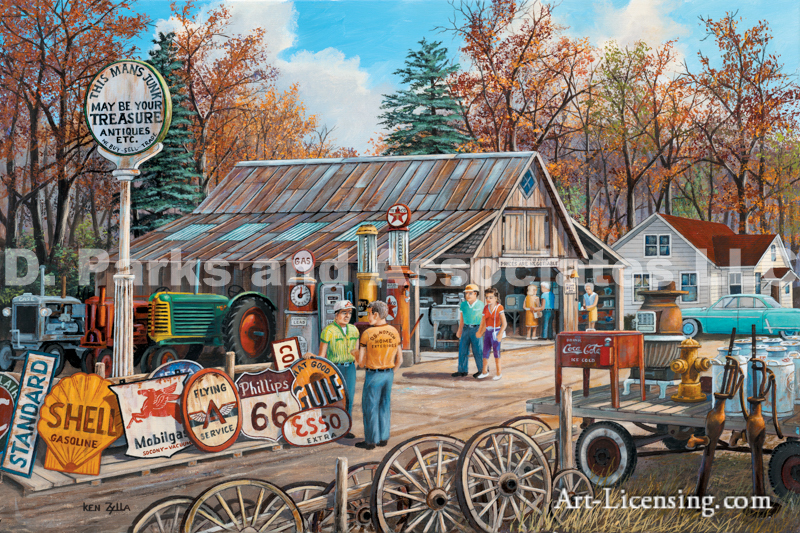 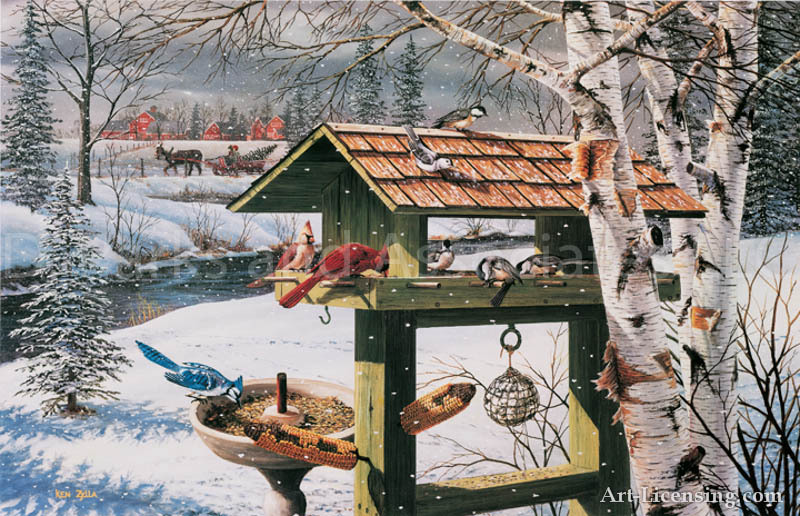 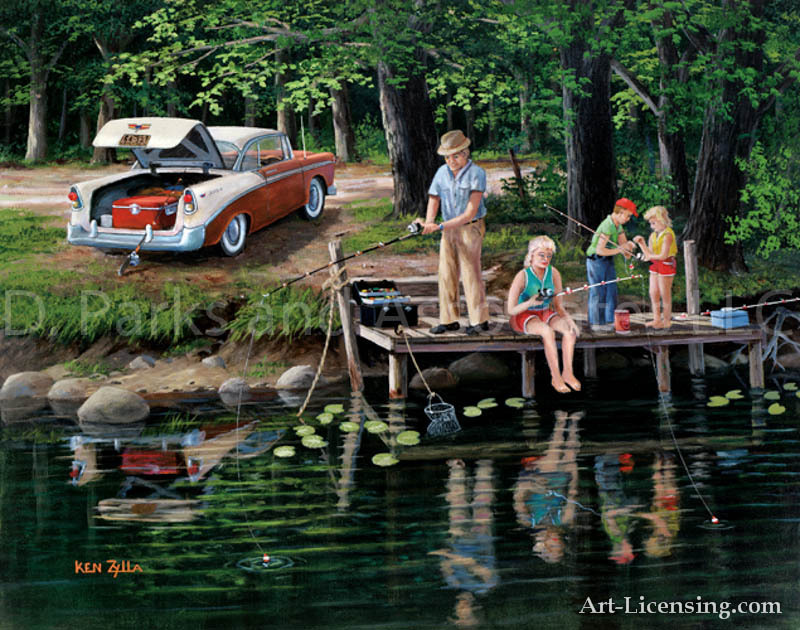 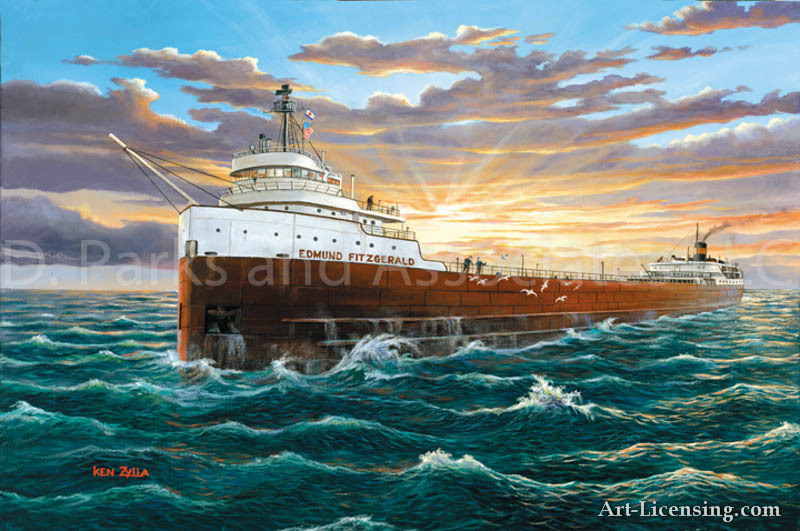 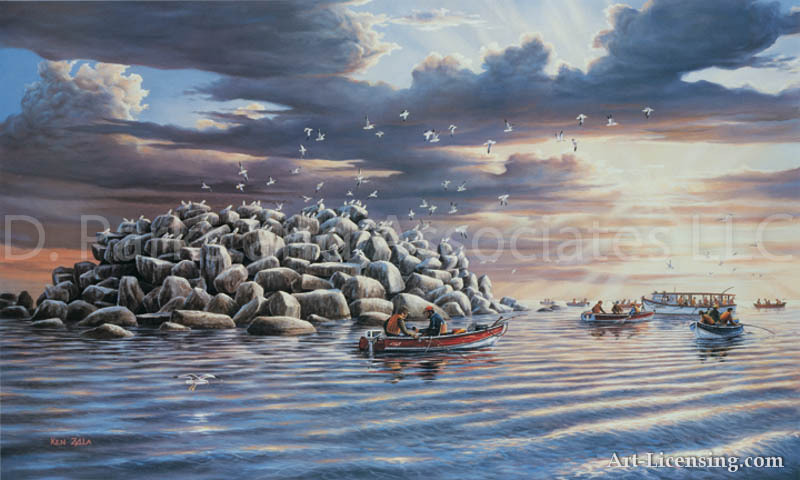 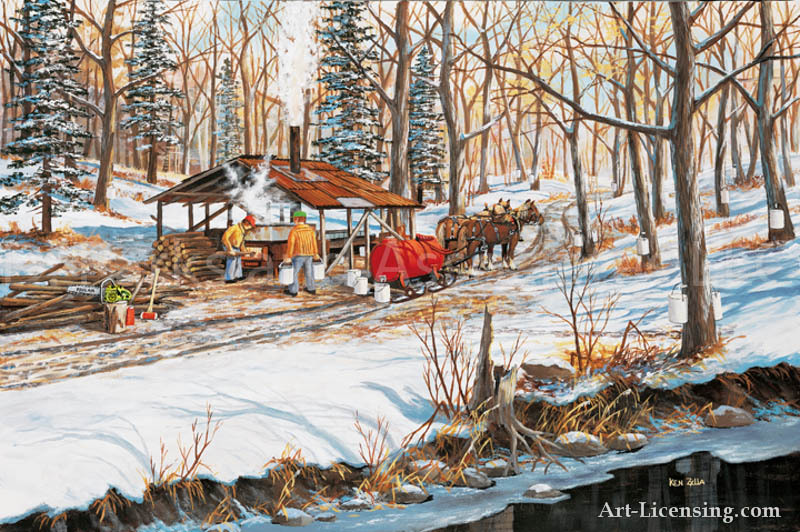 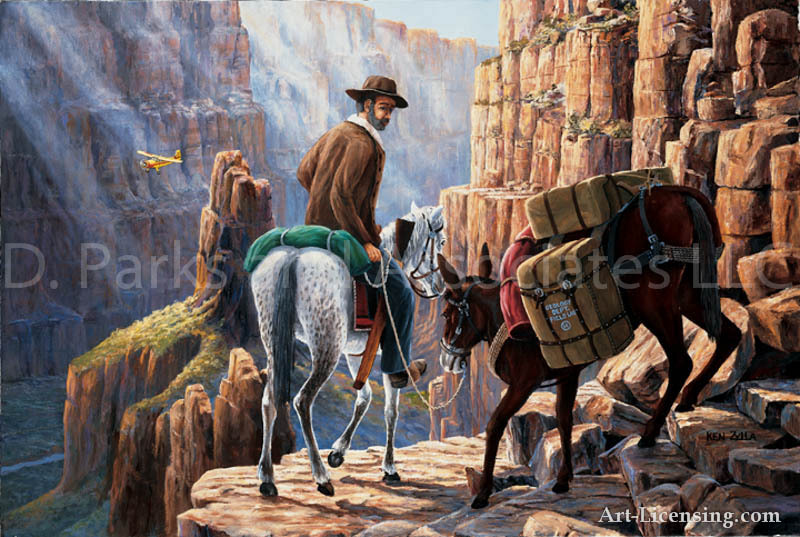 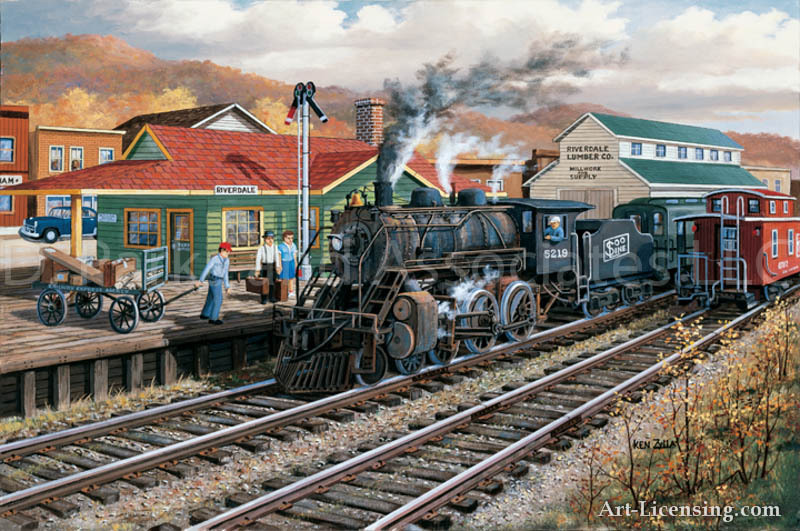 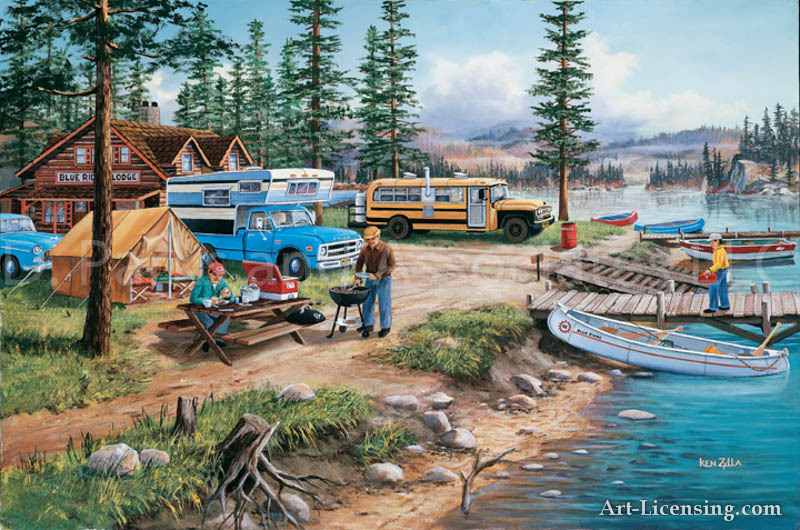 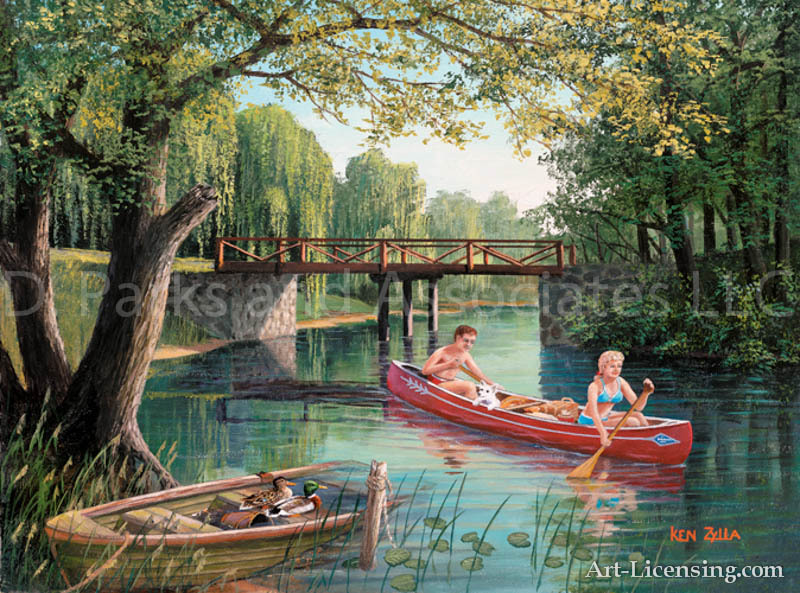 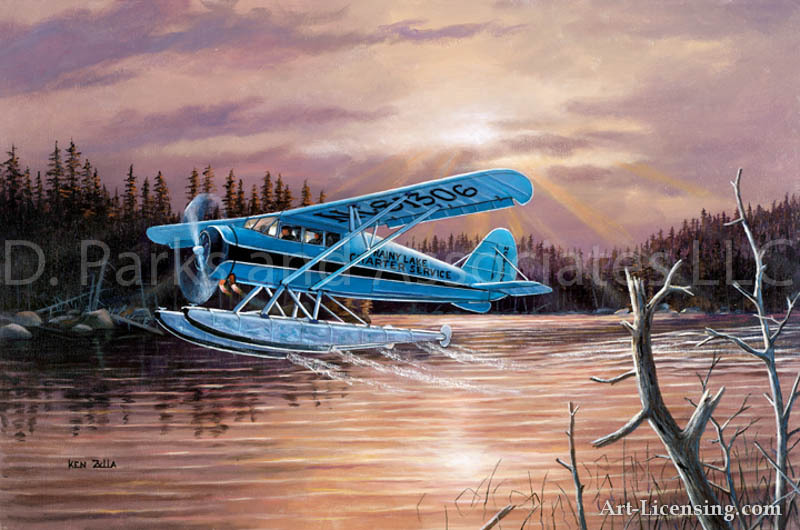 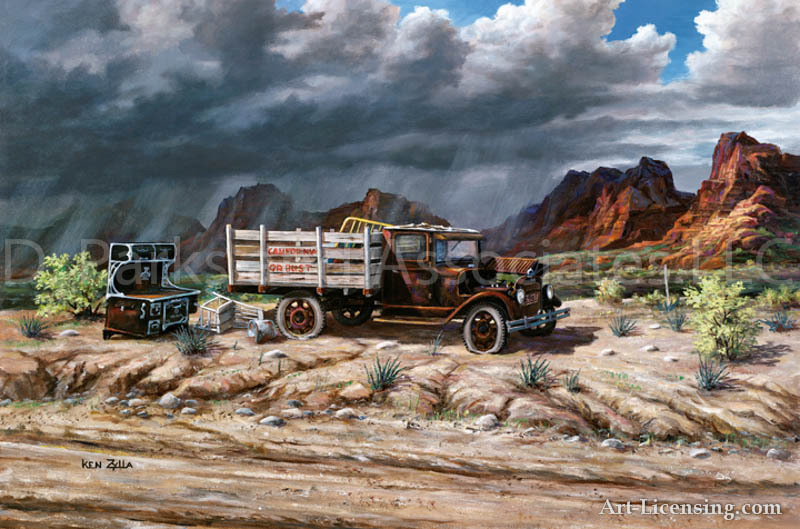 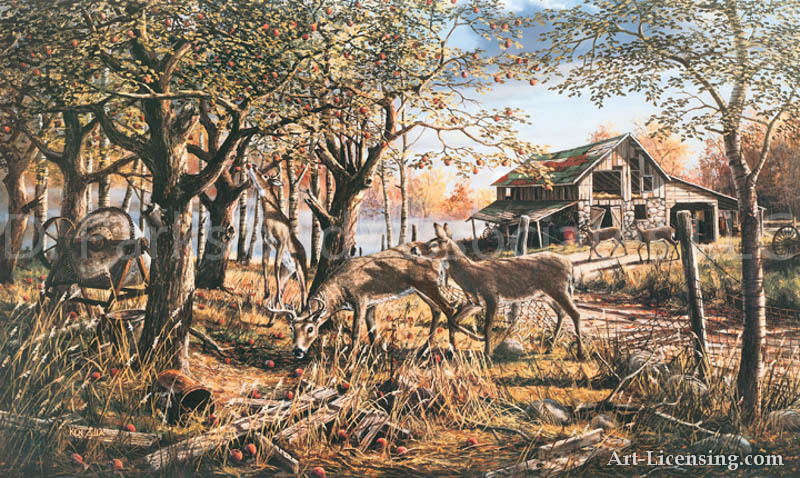 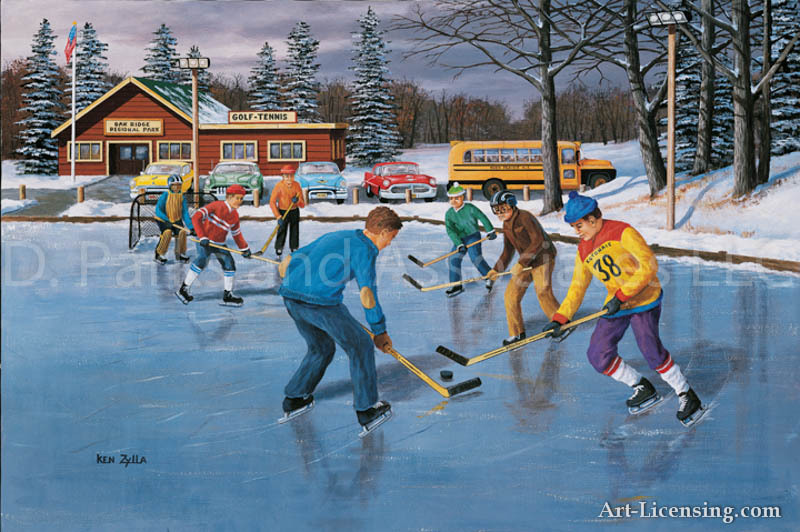 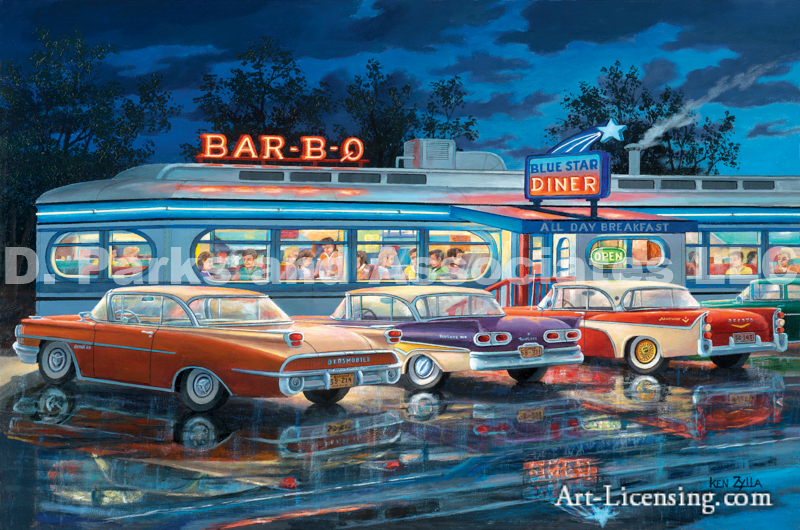 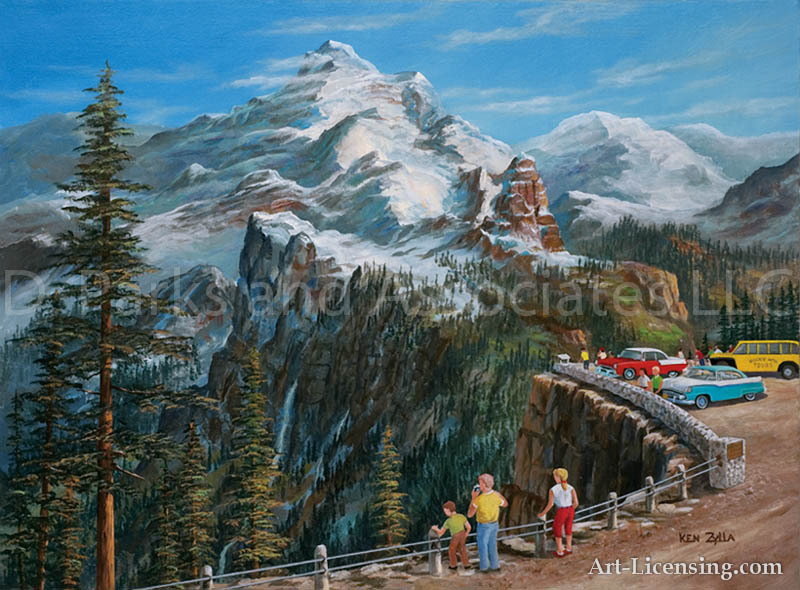 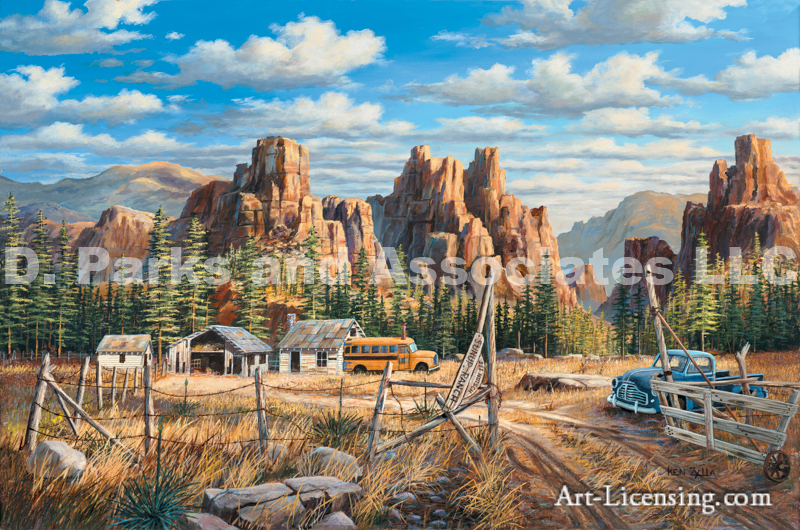 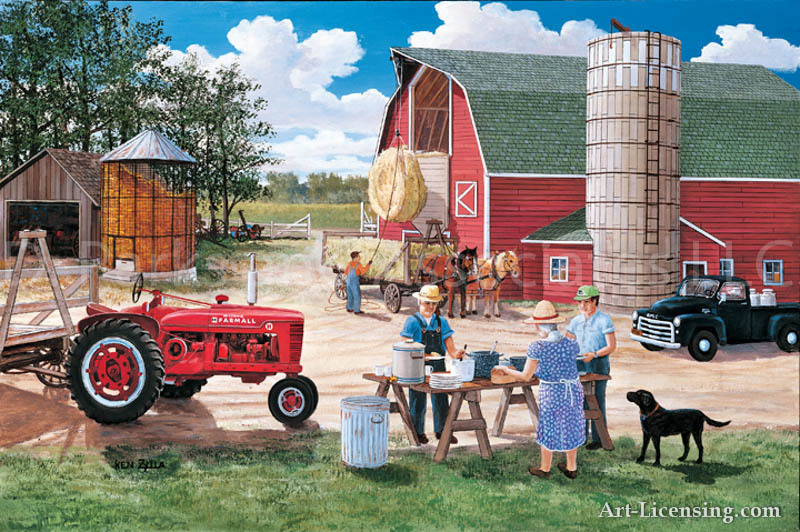 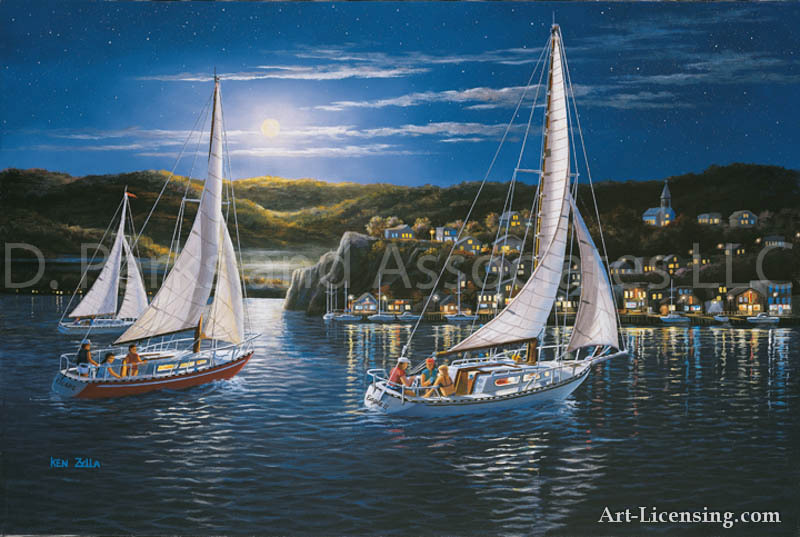 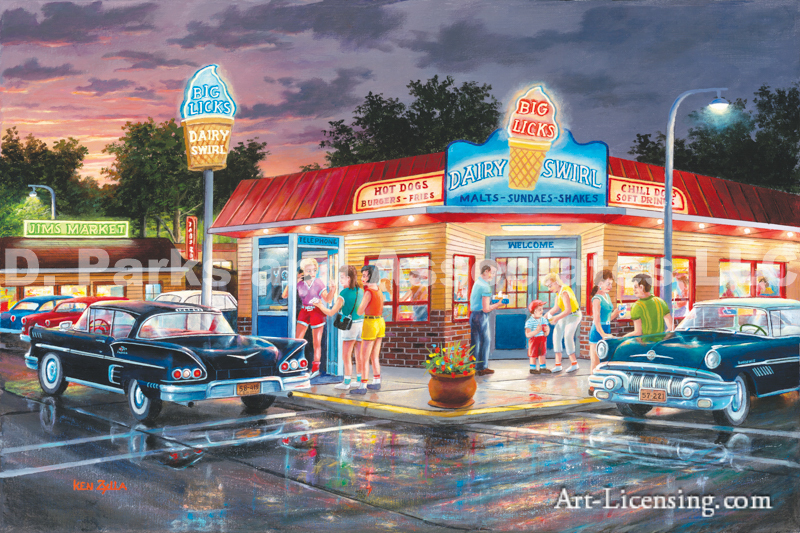 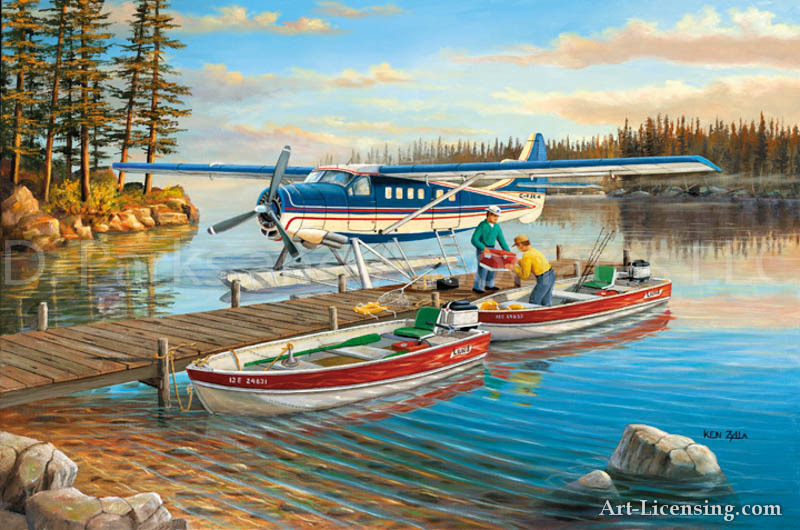 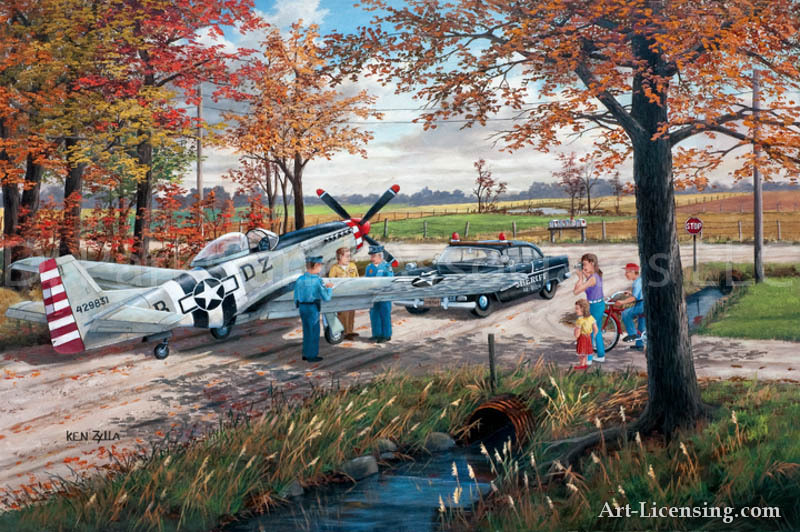 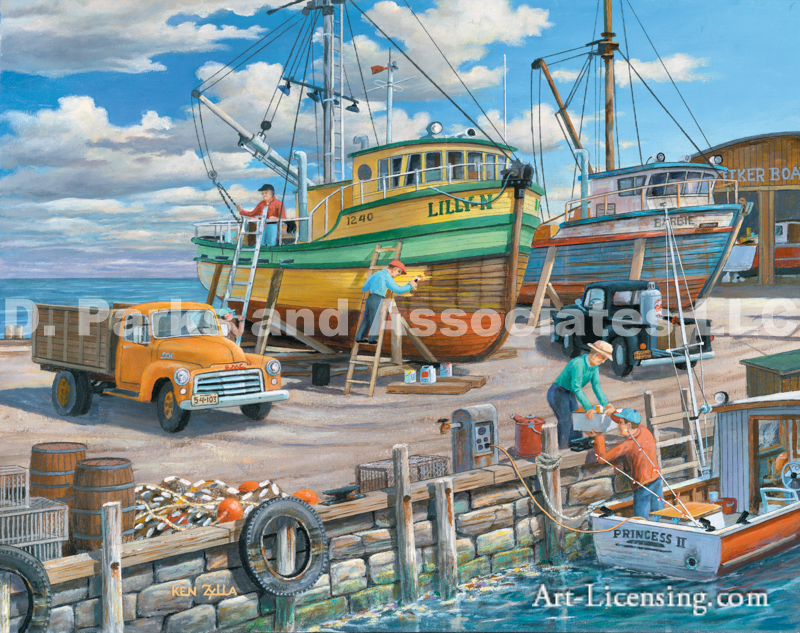 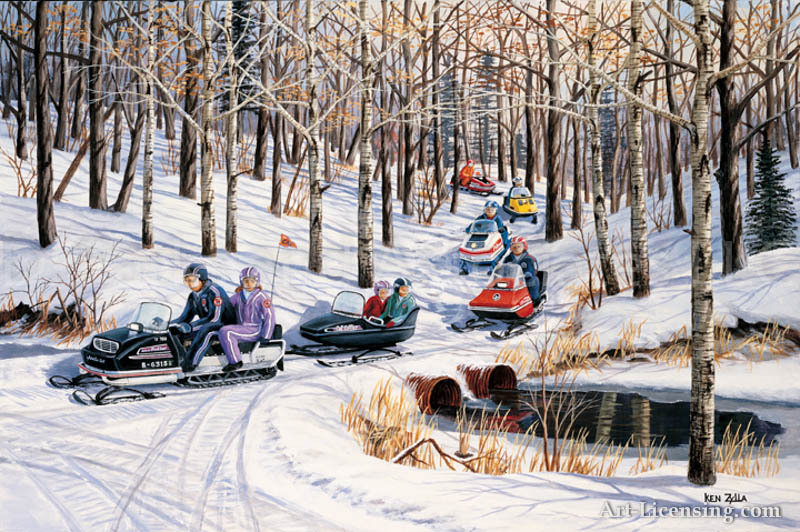 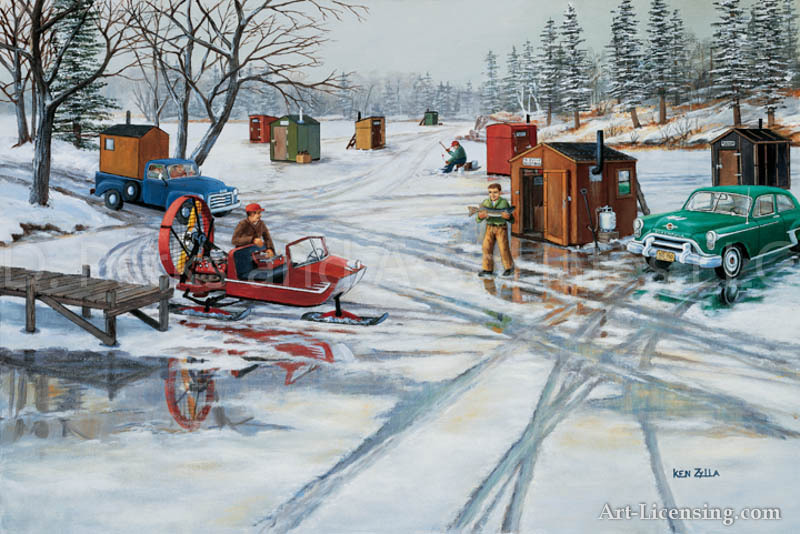 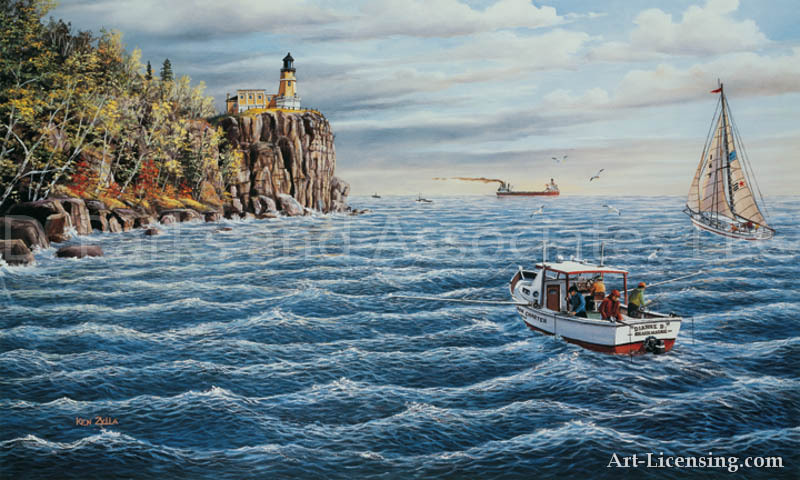 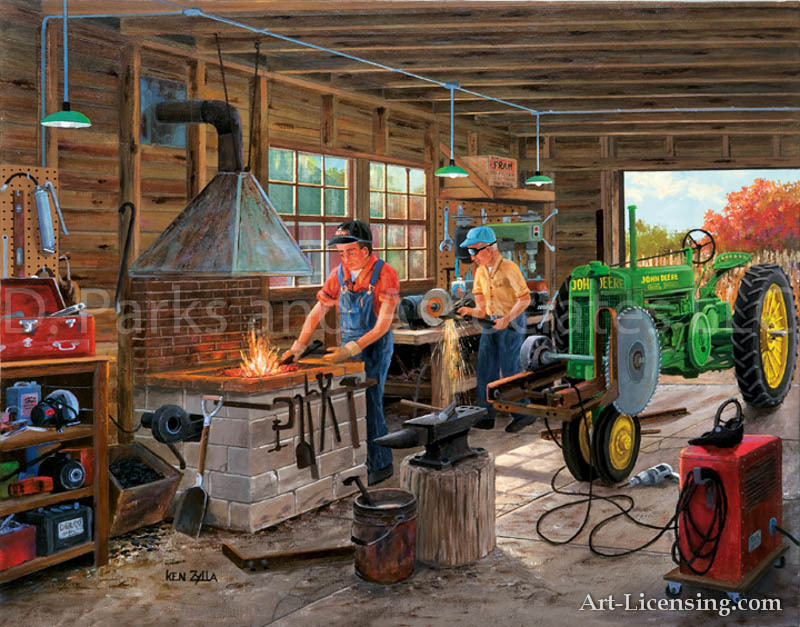 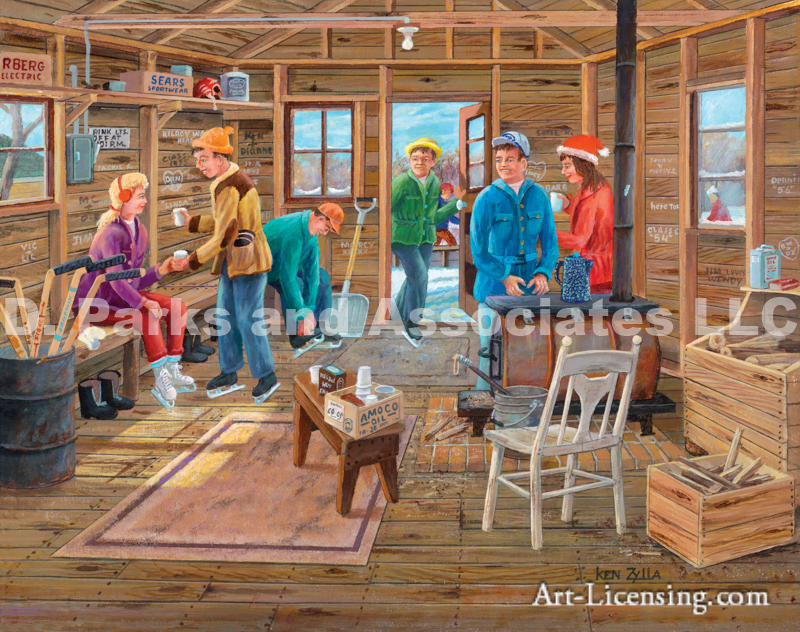 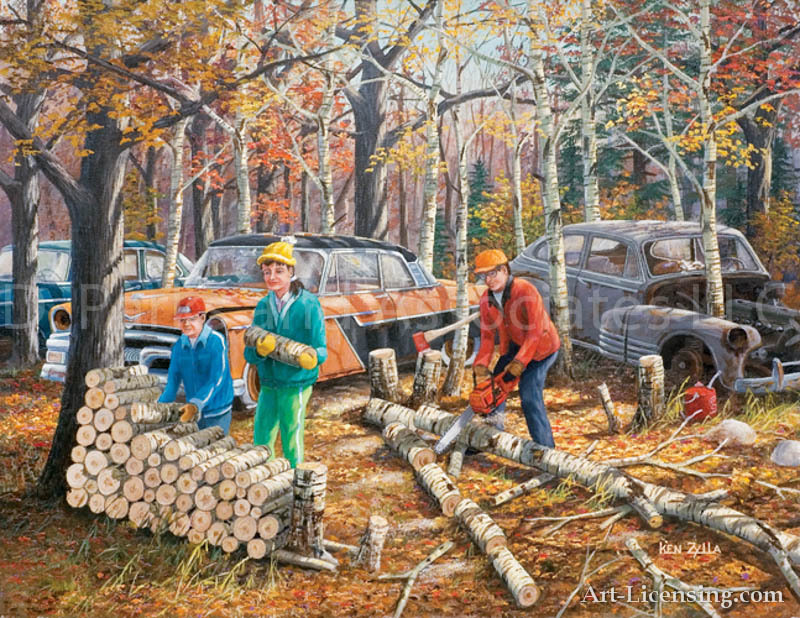 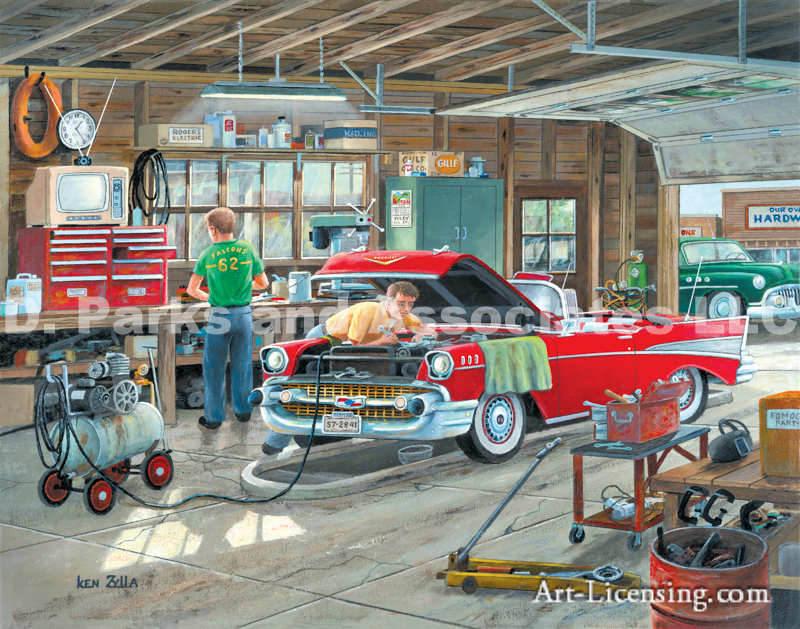 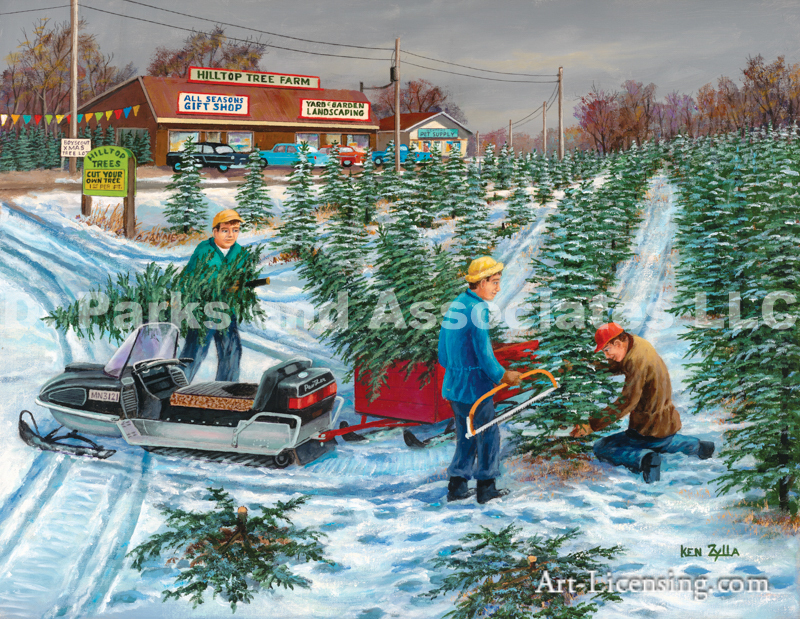 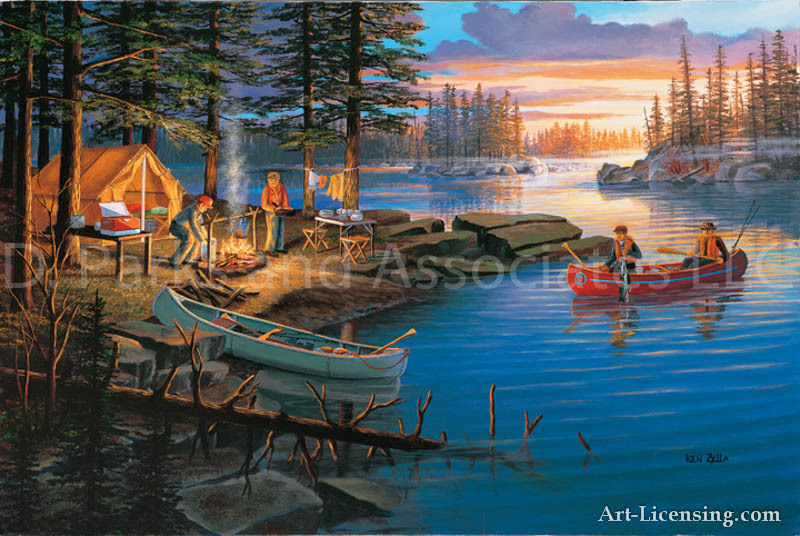 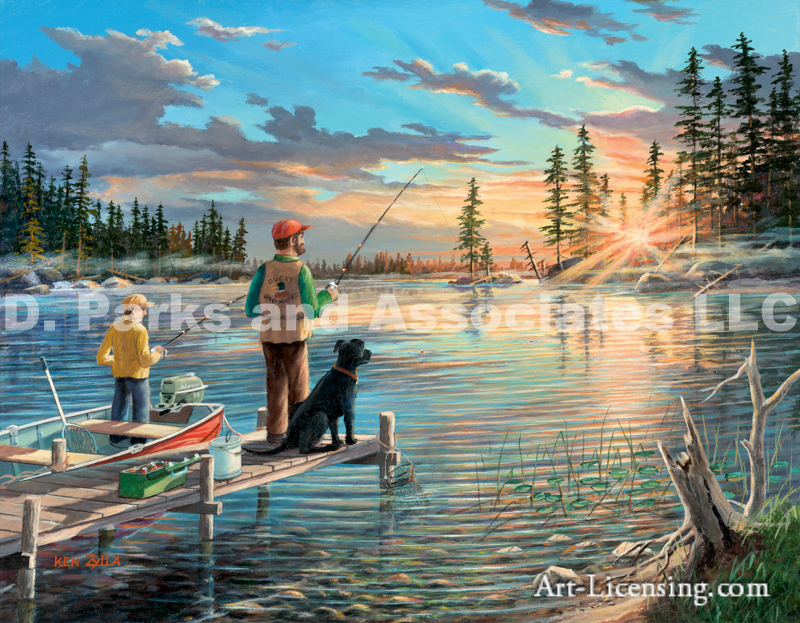 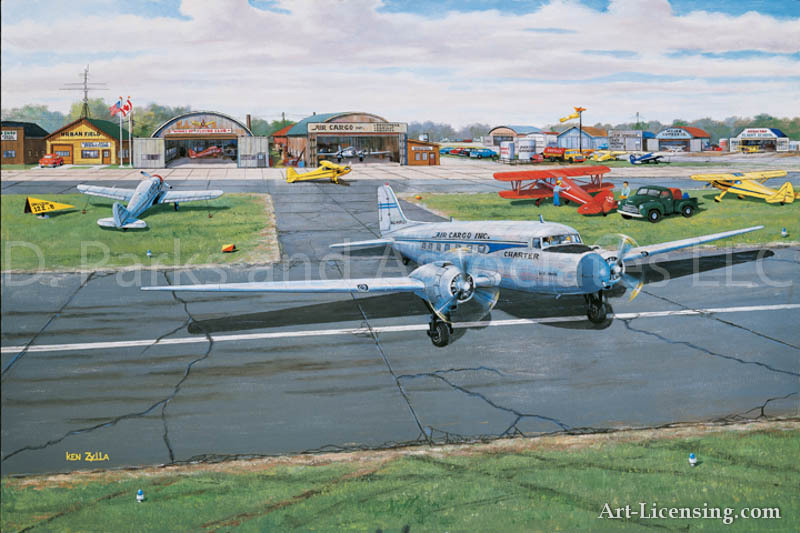 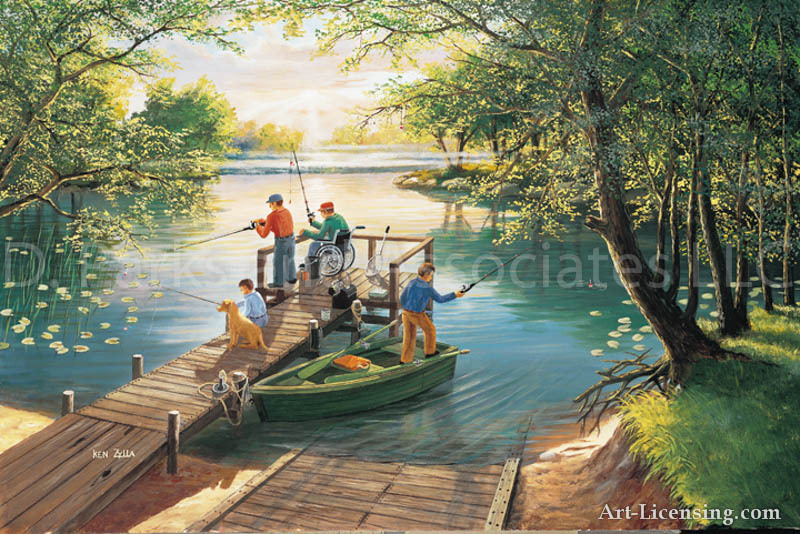 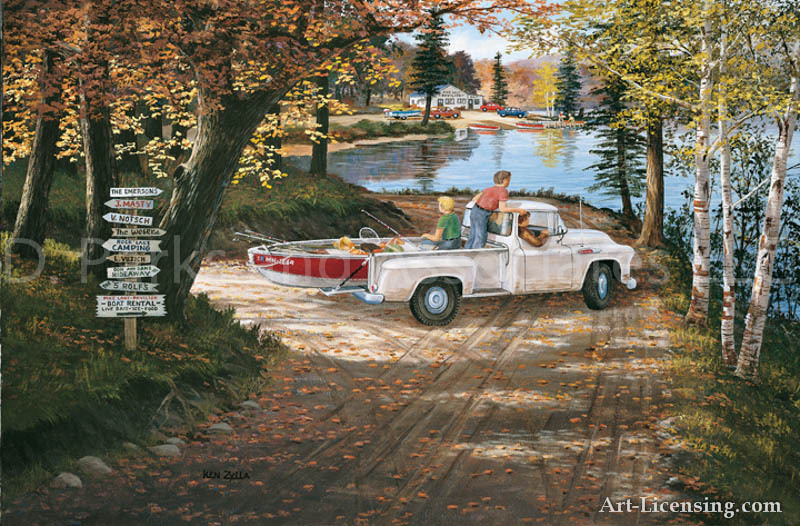 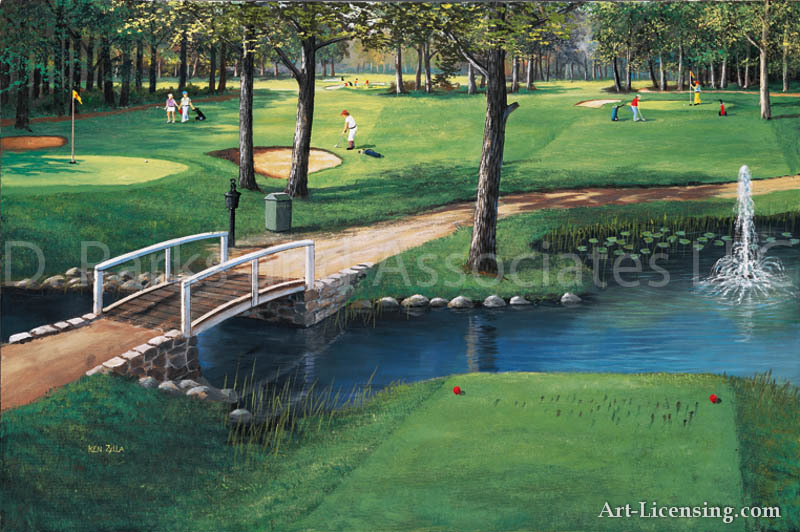 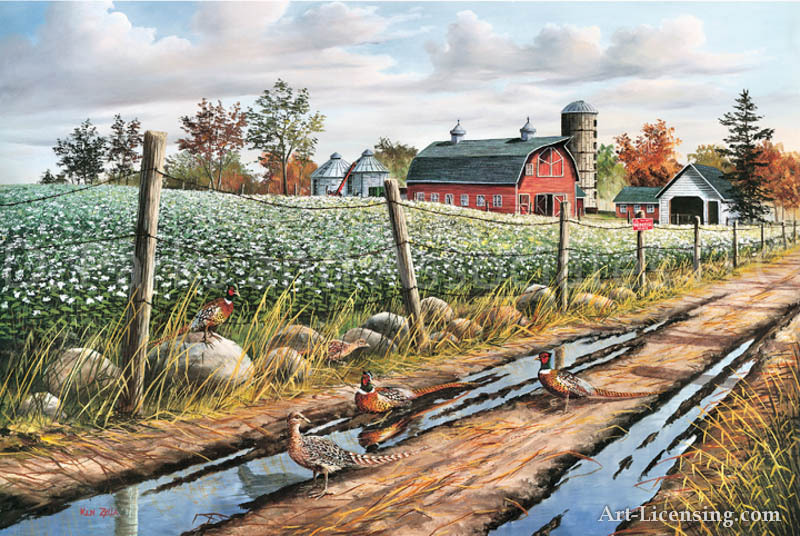 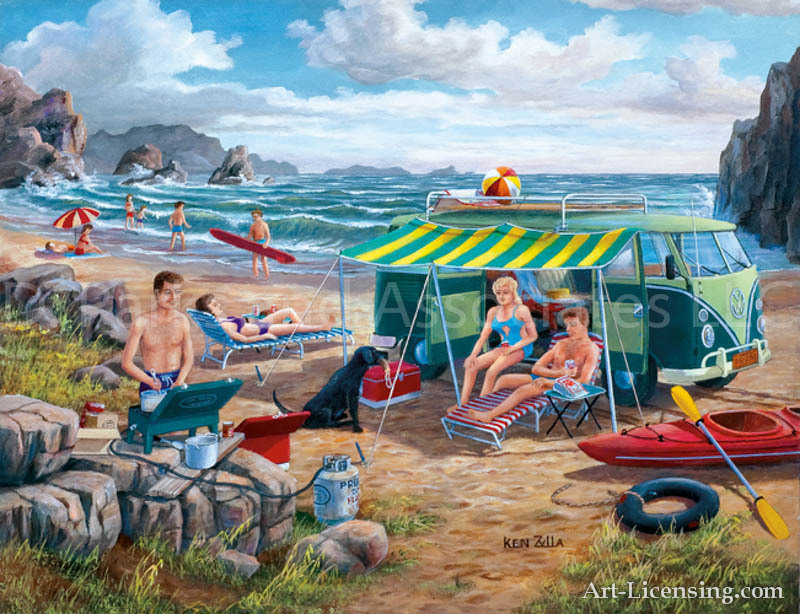 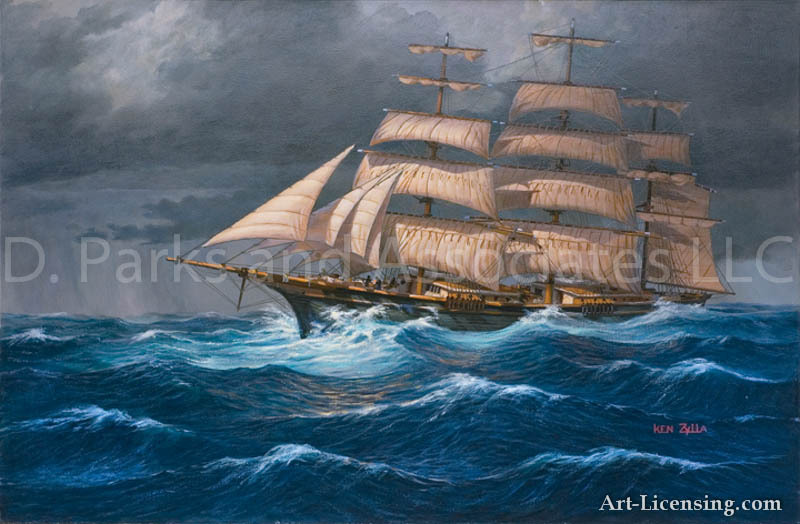 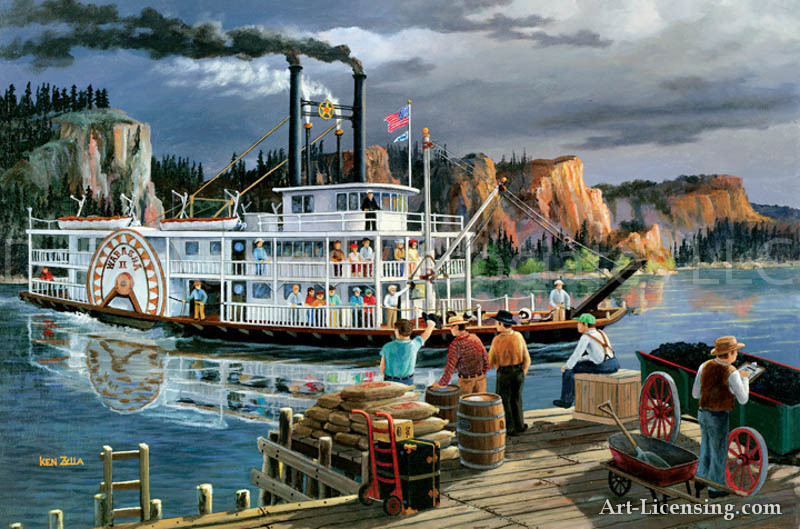 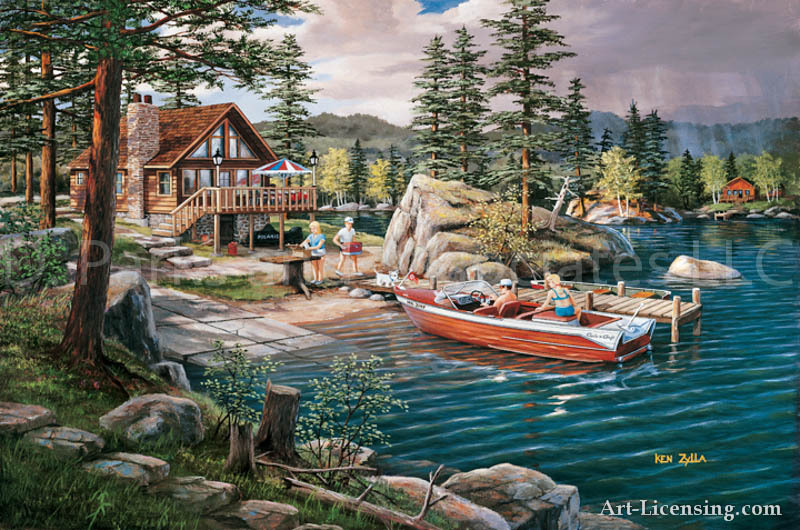 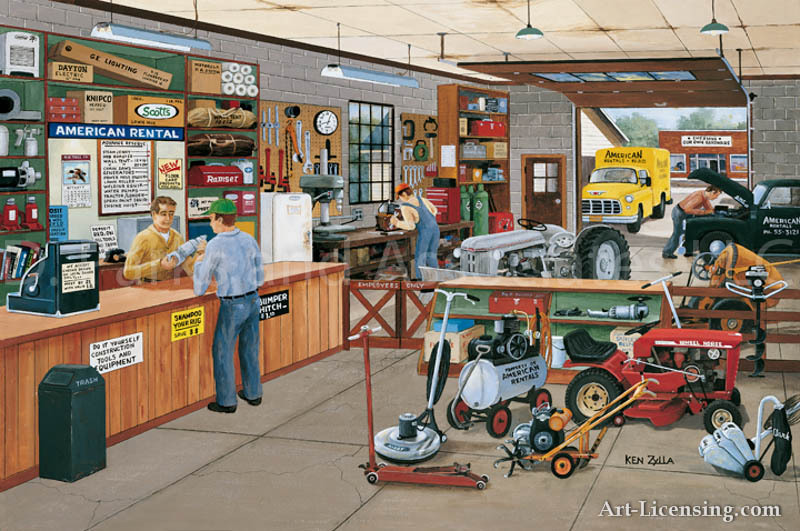 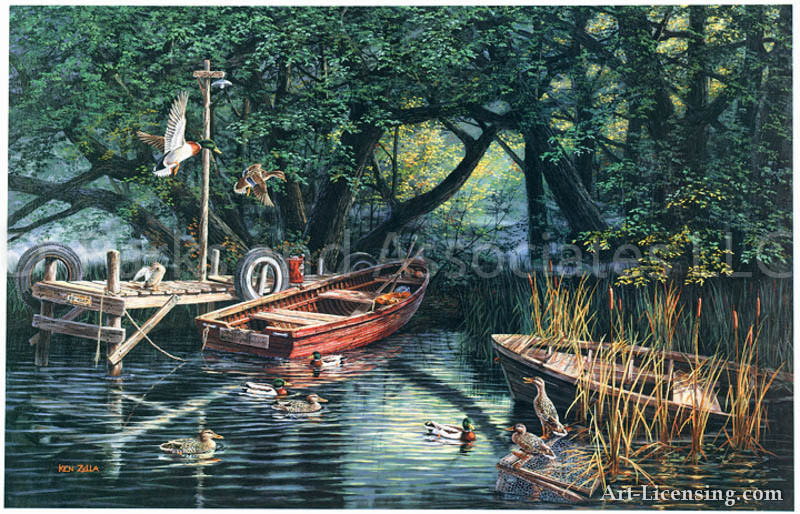 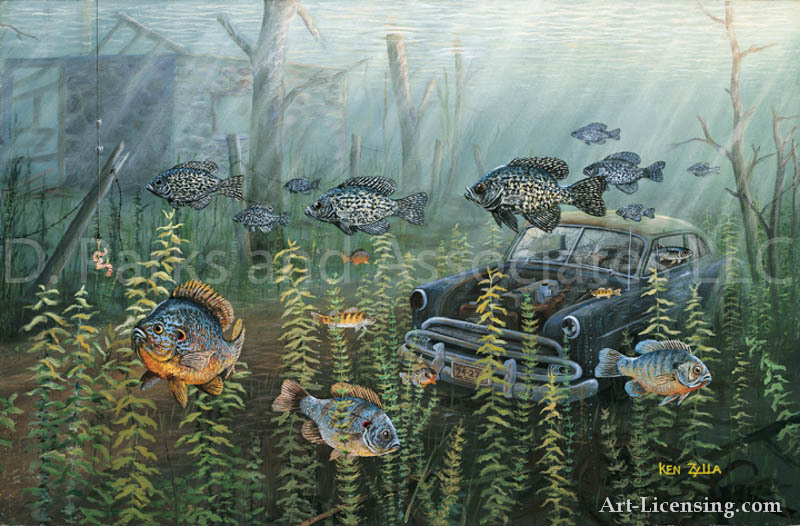 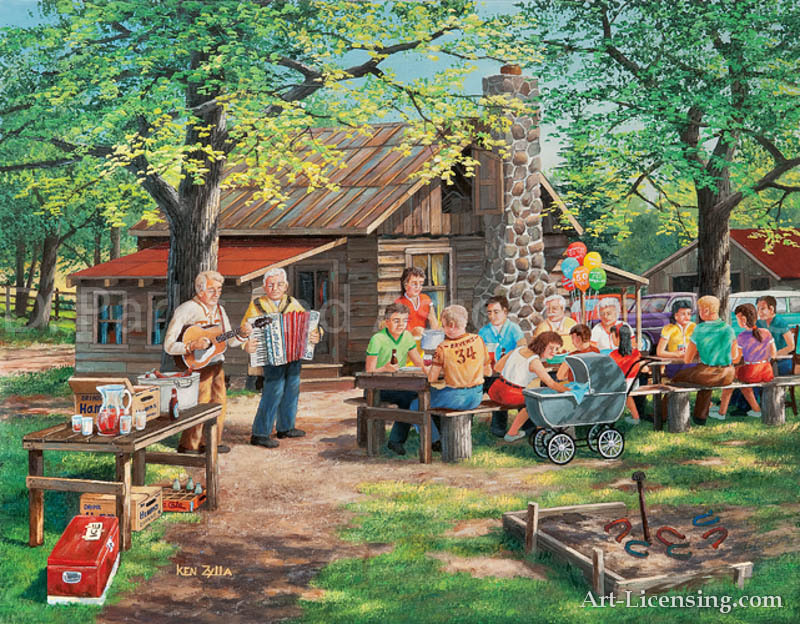 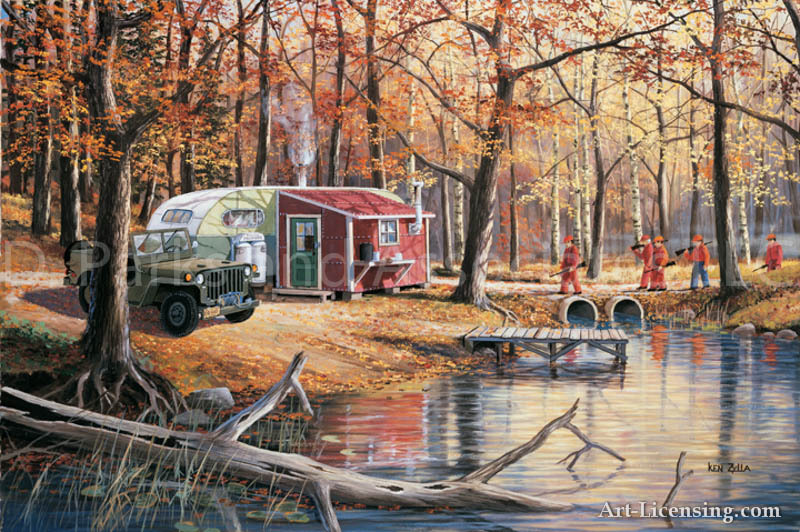 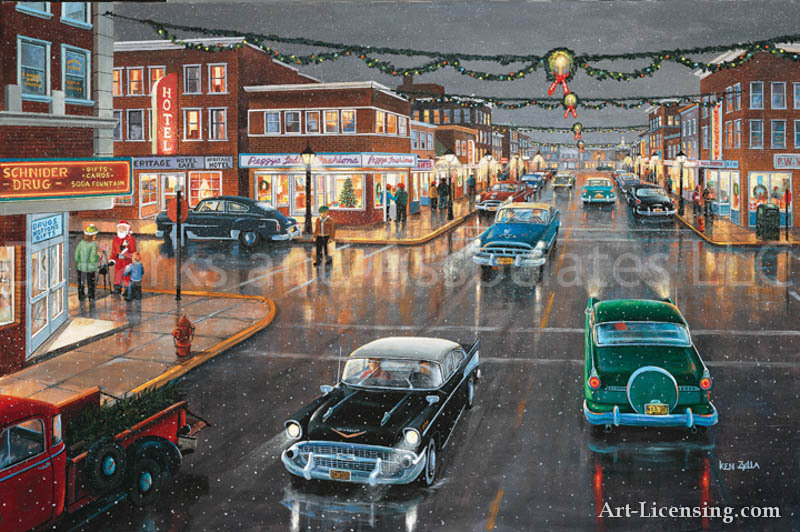 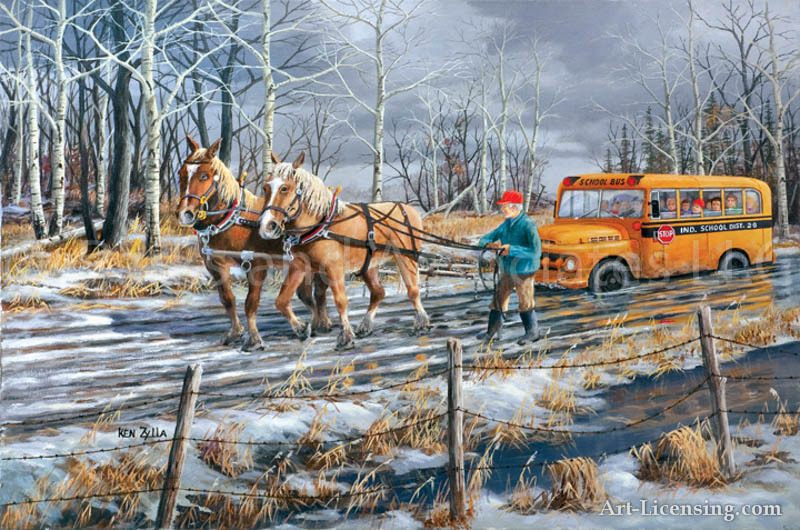 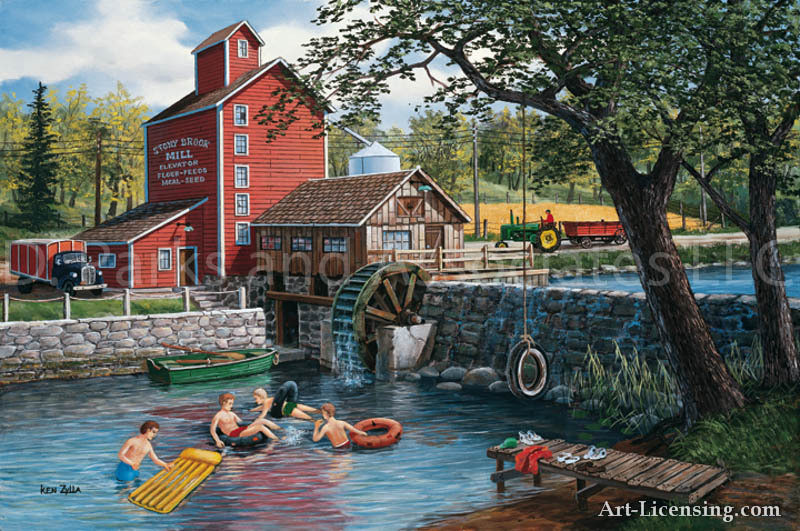 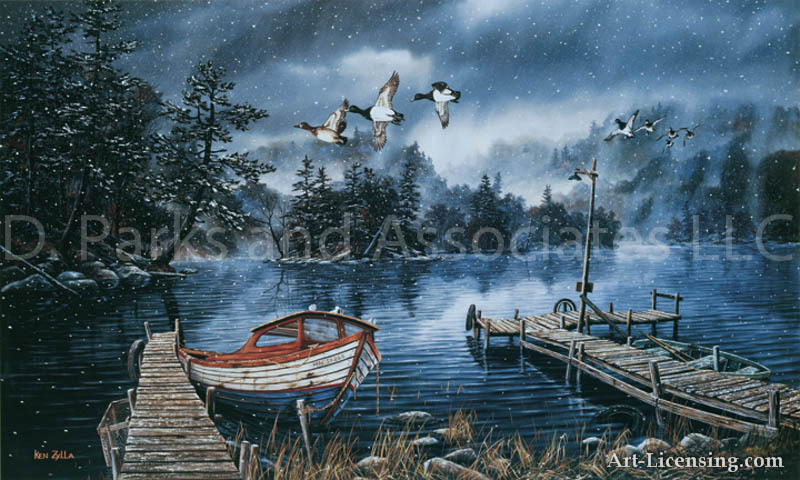 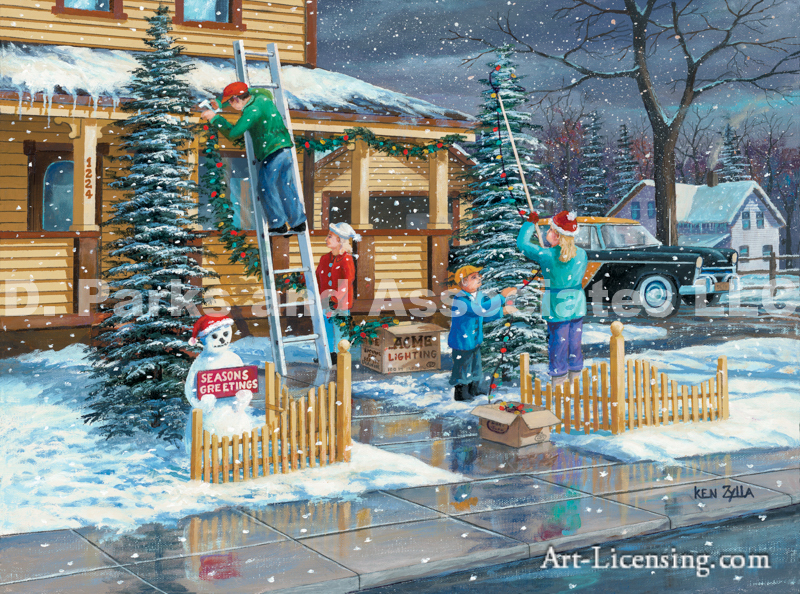 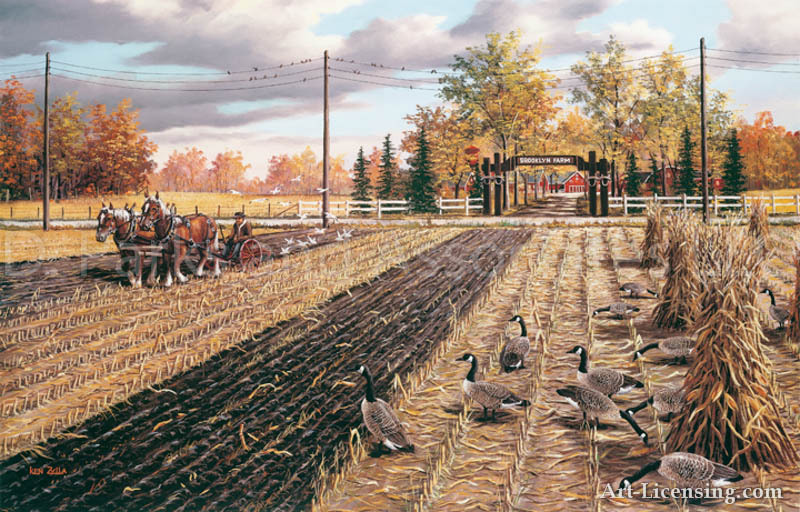 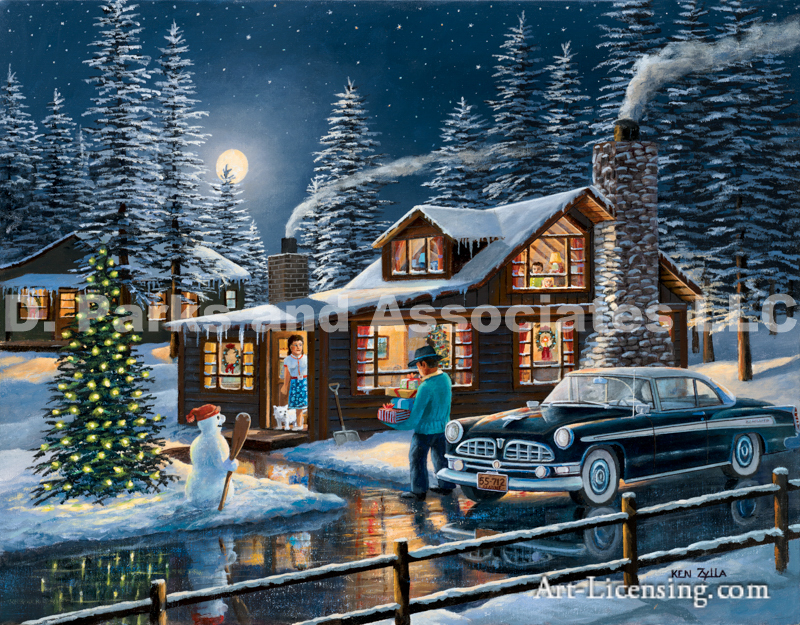 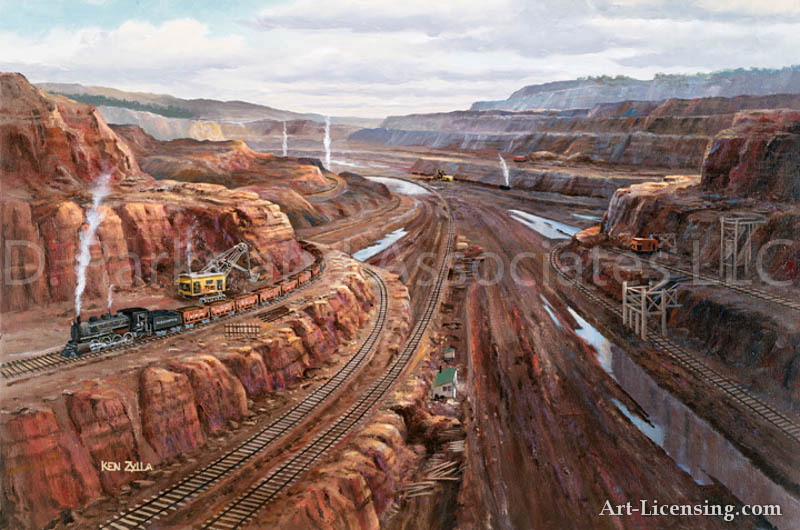 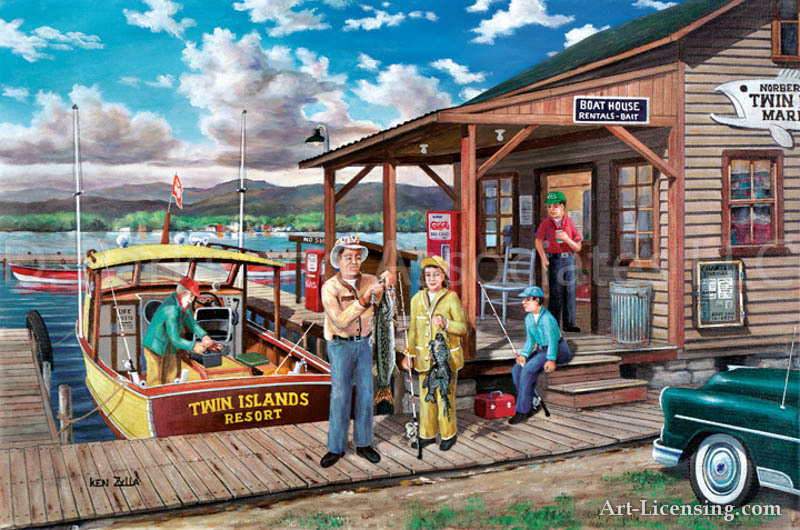 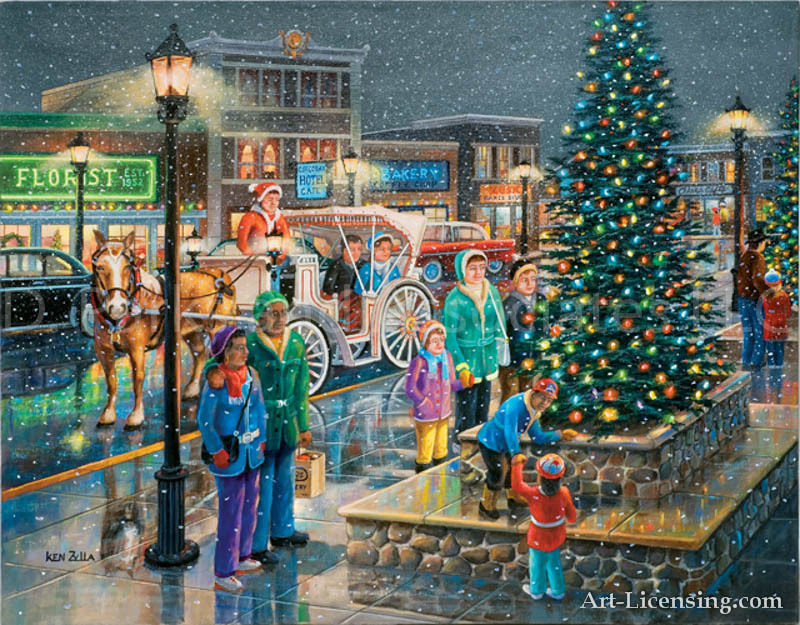 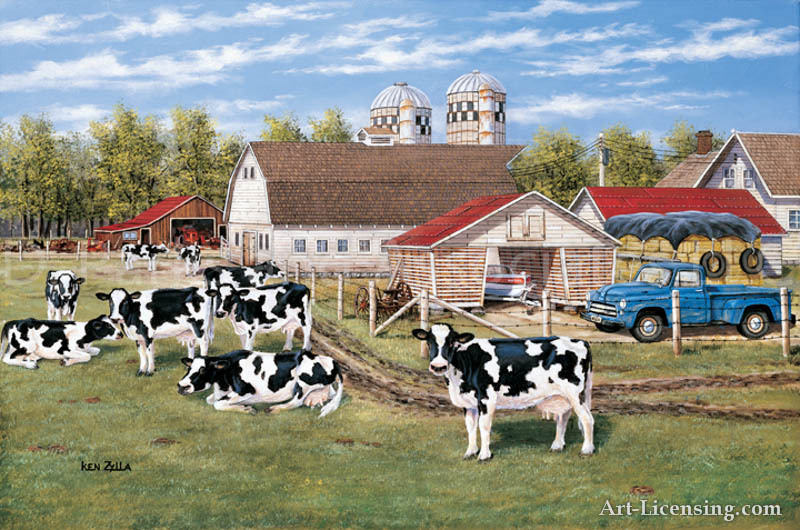 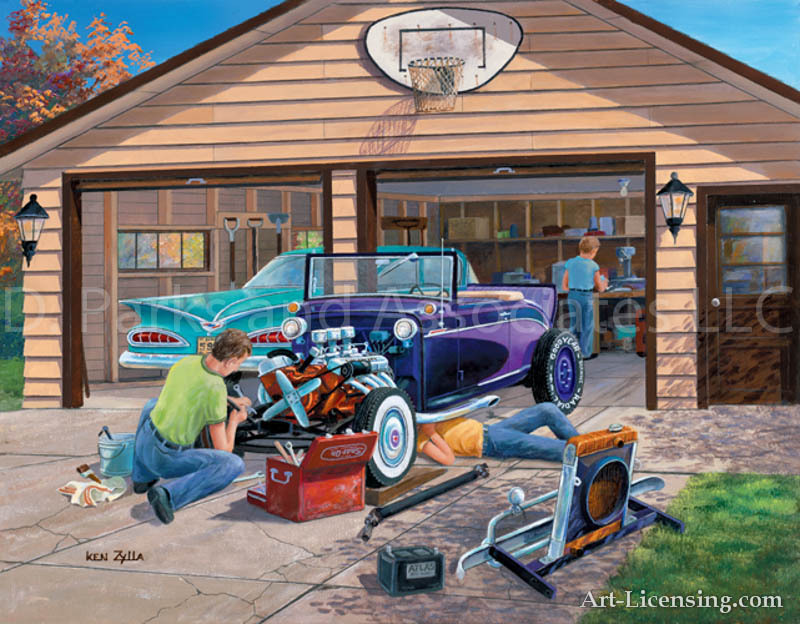 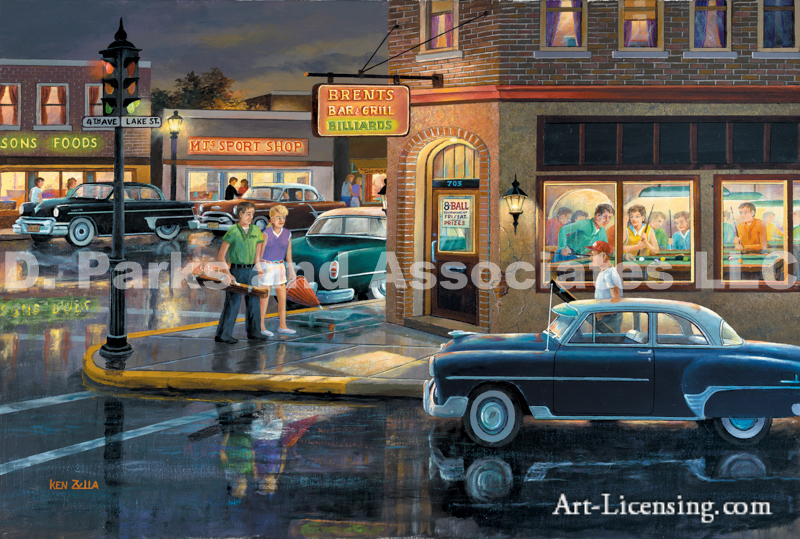 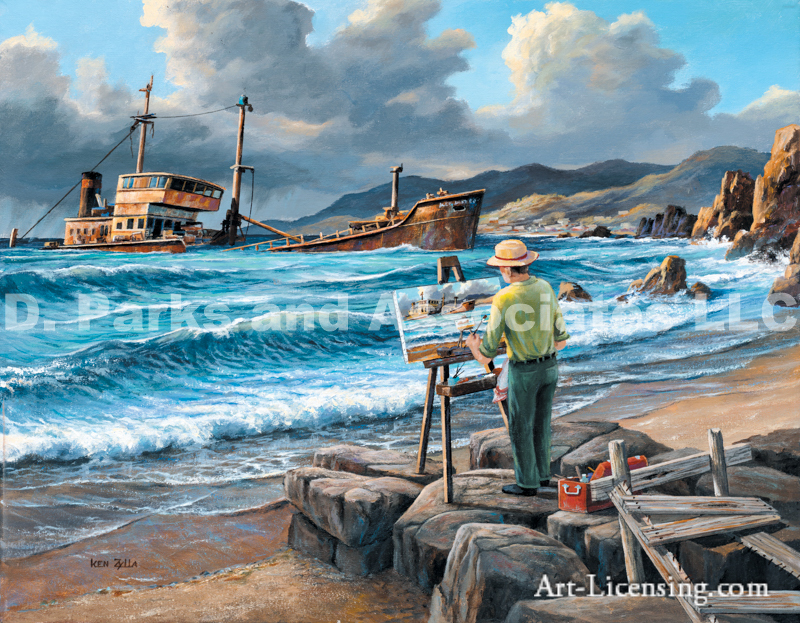 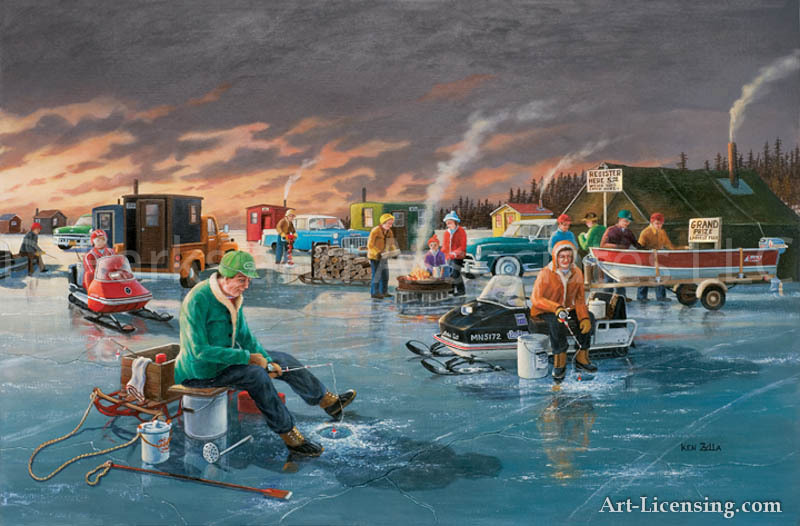 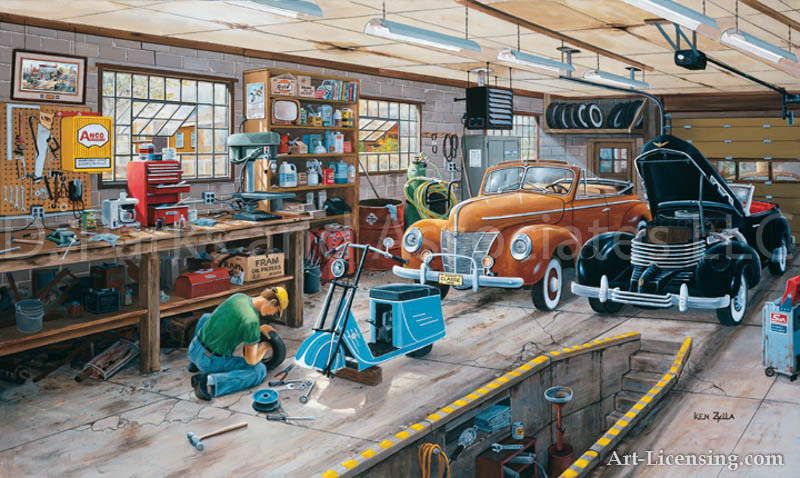 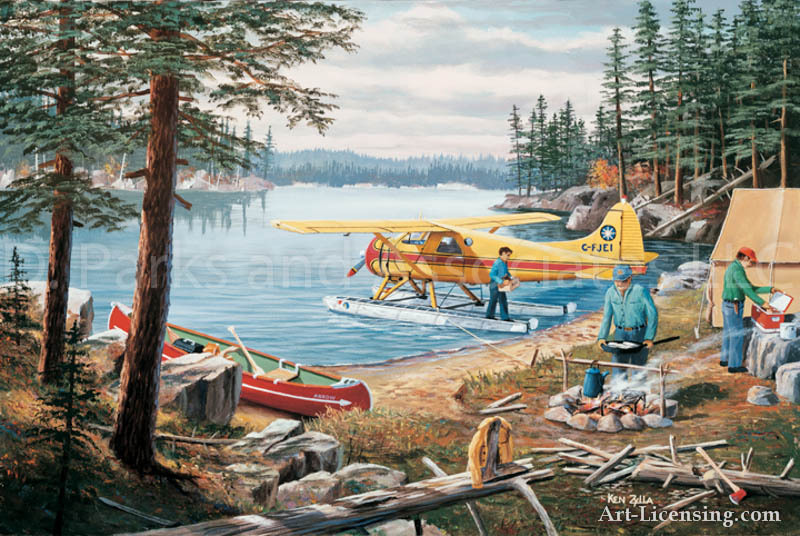 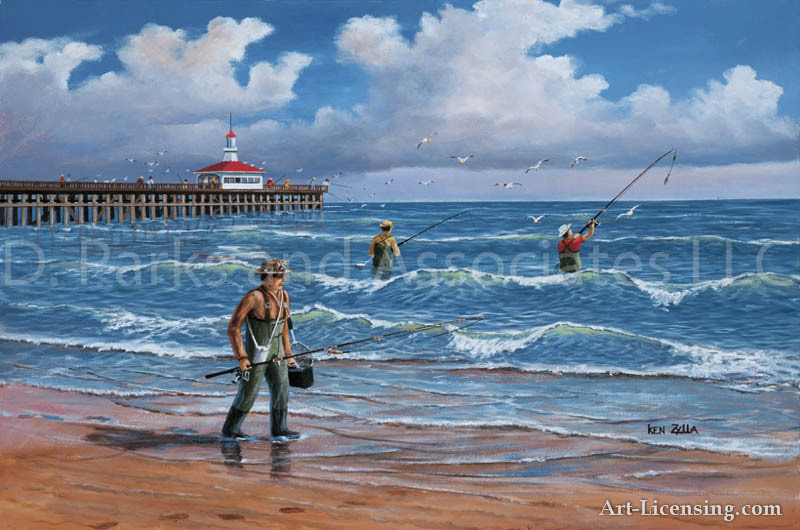 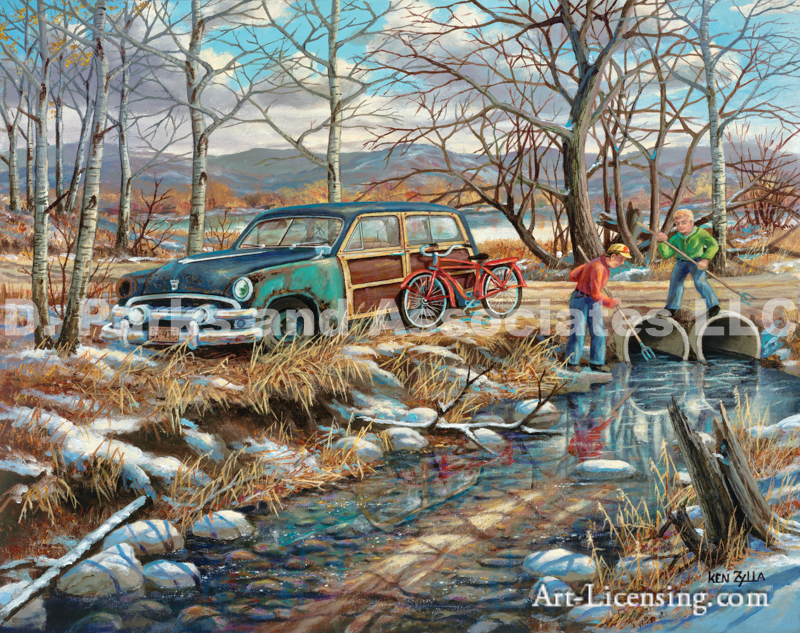 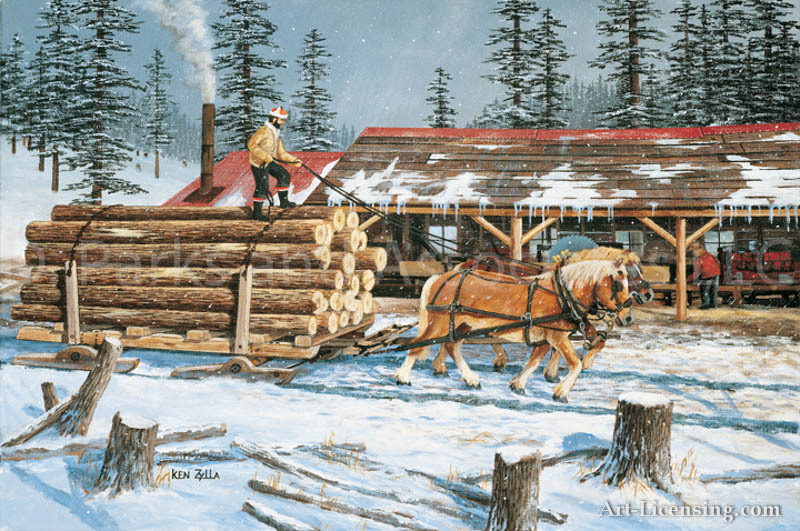 D. Parks and Associates LLC/Art-Licensing.com is licensing agency for Brown & Bigelow Inc. that has numerous images available by Ken Zylla. 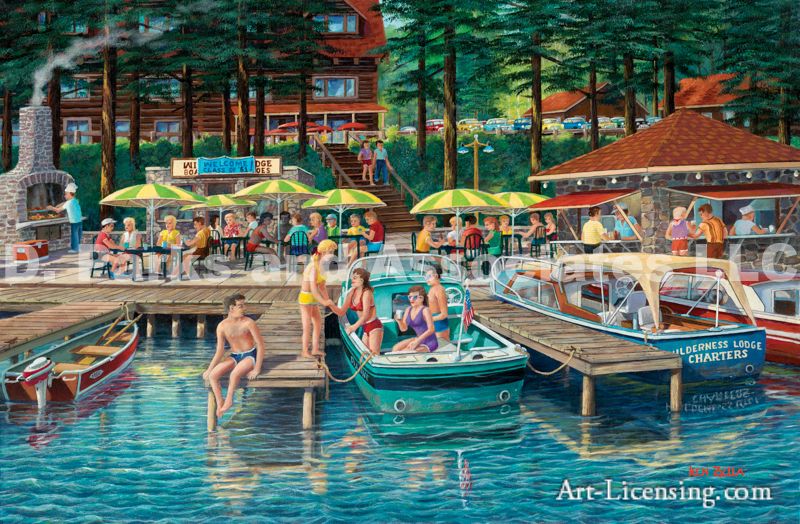 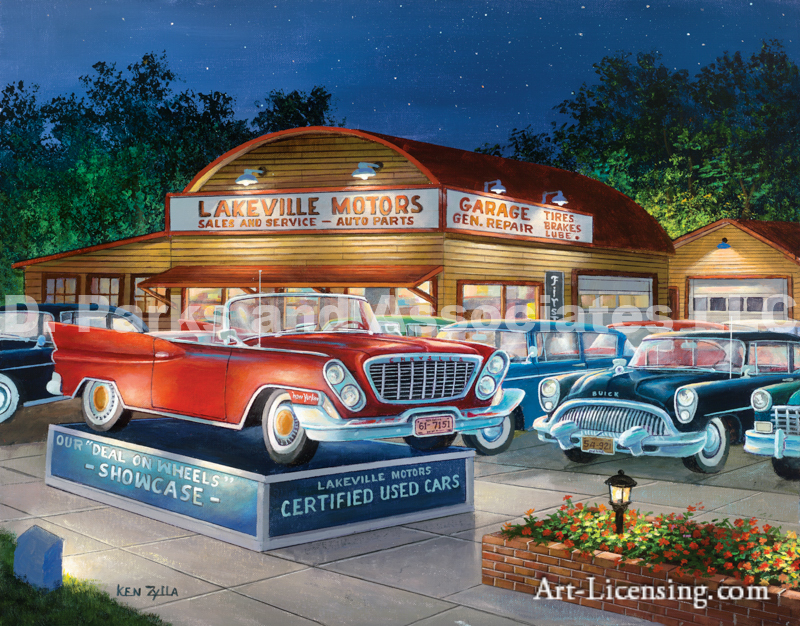 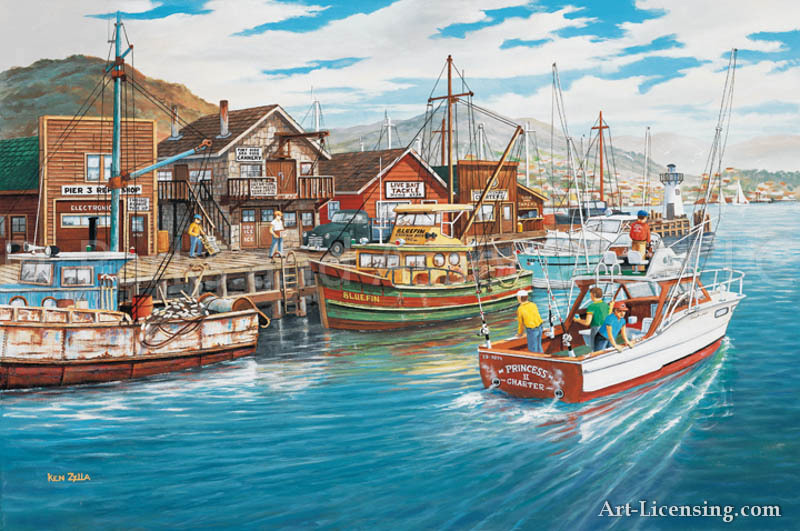 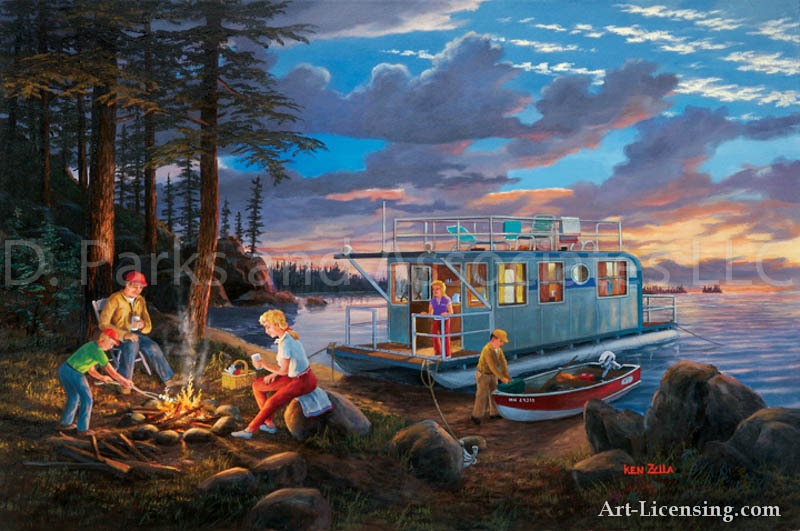 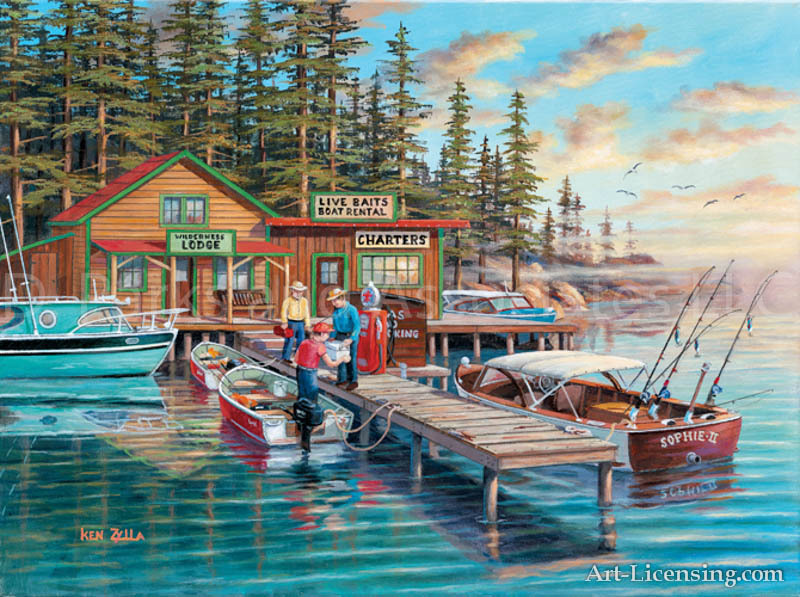 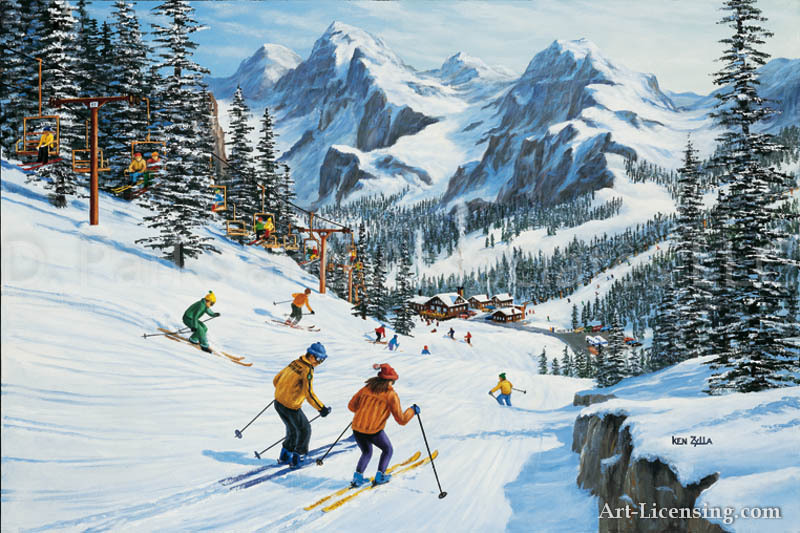 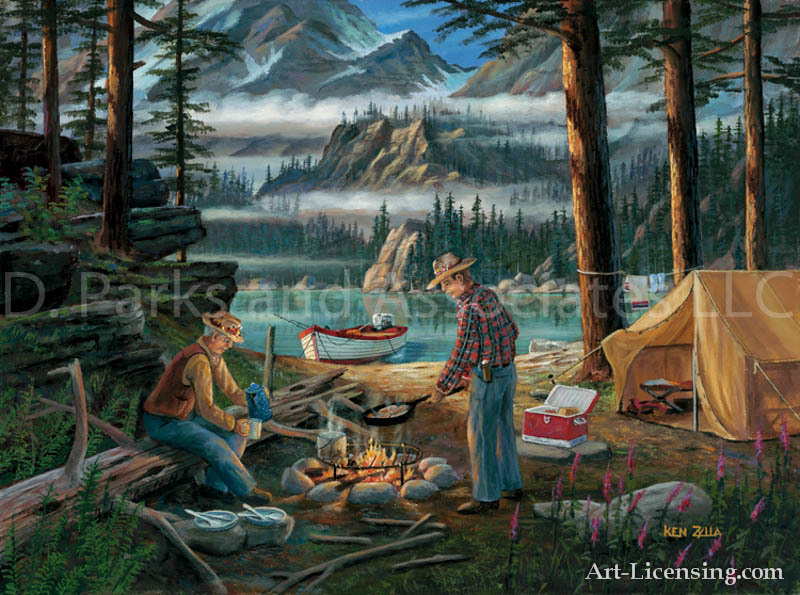 CLICK HERE to learn more about opportunities for licensing Ken Zylla’s artworks.